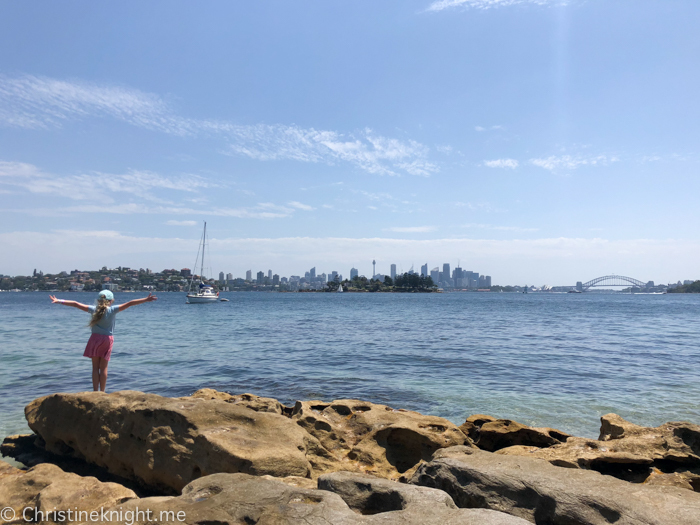 Sydney Life Archives - Adventure, baby! 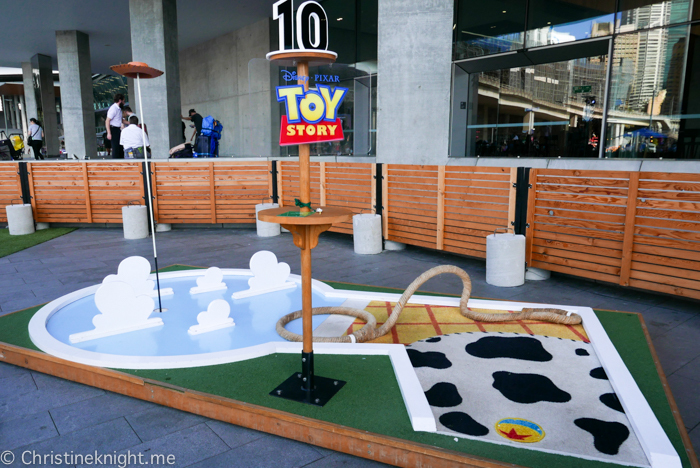 Tee off with Woody and friends at the pop-up mini golf experience, Pixar Putt in Darling Harbour, Sydney. 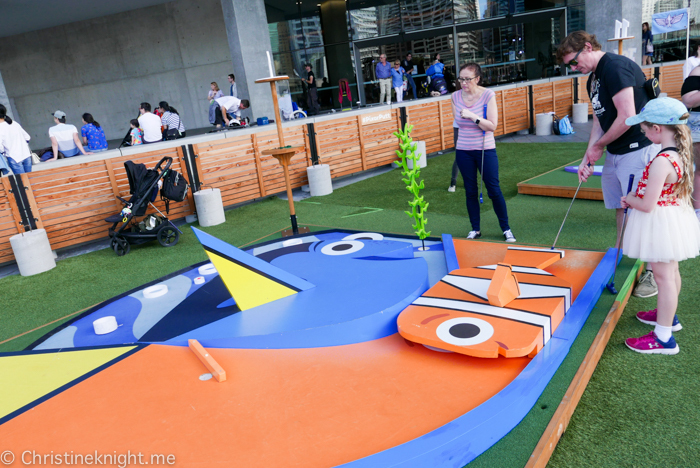 After making its successful worldwide debut in Melbourne in January 2019, with over 25,000 enjoying a round of Pixar Putt, now Sydneysiders can have a try at Pixar Putt in Darling Harbour from Saturday, 6 April to Sunday, 12 May, 2019. Tickets are now on sale for the attraction. 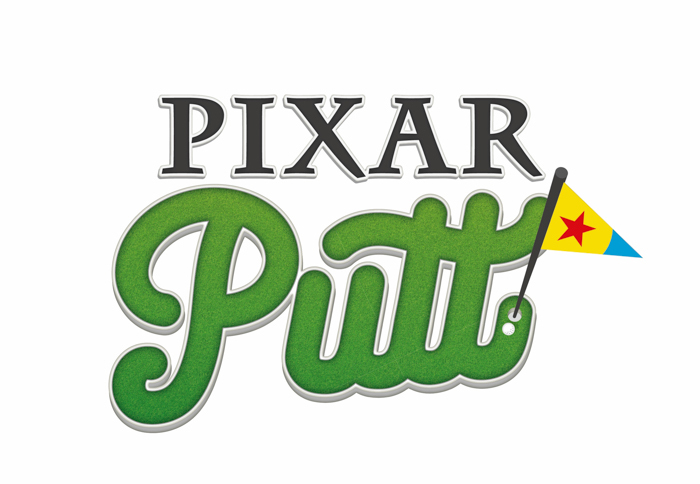 Due to Pixar Putt’s popularity, it’s highly advisable to book a session in advance. 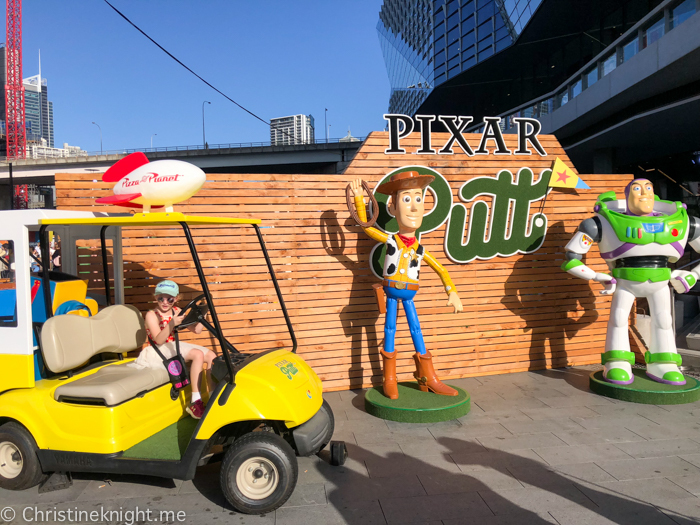 Pixar Putt was inspired by beloved stories, characters and icons from some of Disney-Pixar’s most iconic films including Toy Story, A Bug’s Life, Finding Nemo, The Incredibles, Ratatouille, Wall-E, Inside Out and Coco. 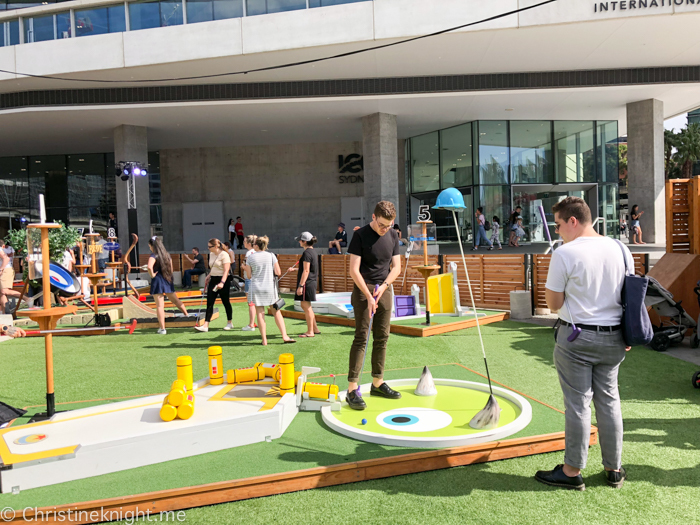 It is be located at the ICC Forecourt next to Harbourside, Darling Harbour, where guests can choose between playing 9-holes or the full 18-hole course. We chose 18 holes and it took us almost 2 hours to complete the course on a busy day. 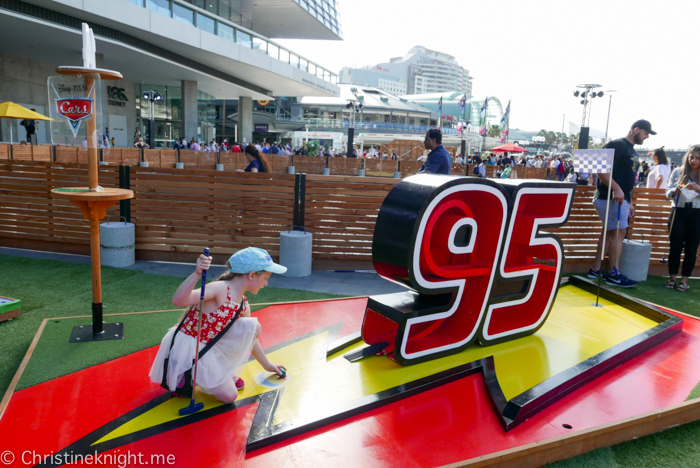 Bring a hat, sunscreen and water as the weather has been hot as hades. 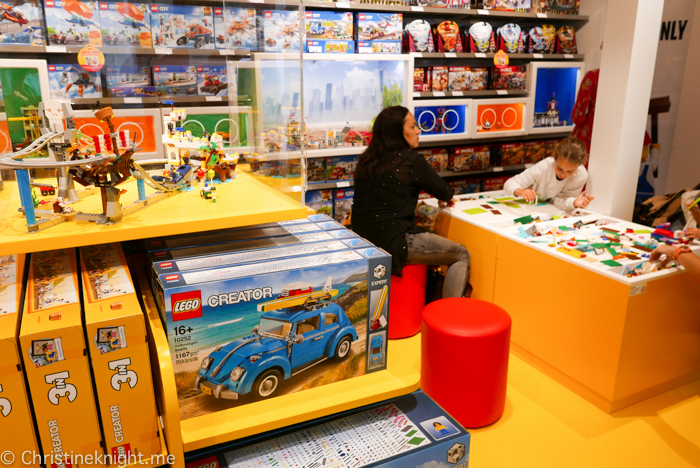 Sydney’s first LEGO® certified store has opened in Westfield Bondi Junction. 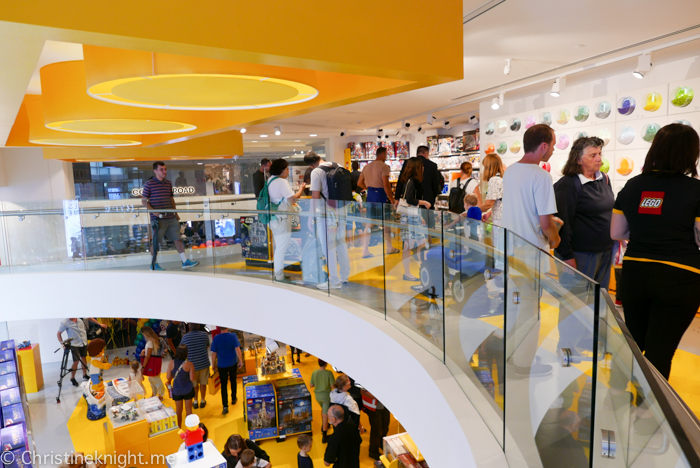 The LEGO® store has been designed to inspire creativity, with incredible brick creations and interactive experiences on offer throughout the 302sqm space, spread over two floors. 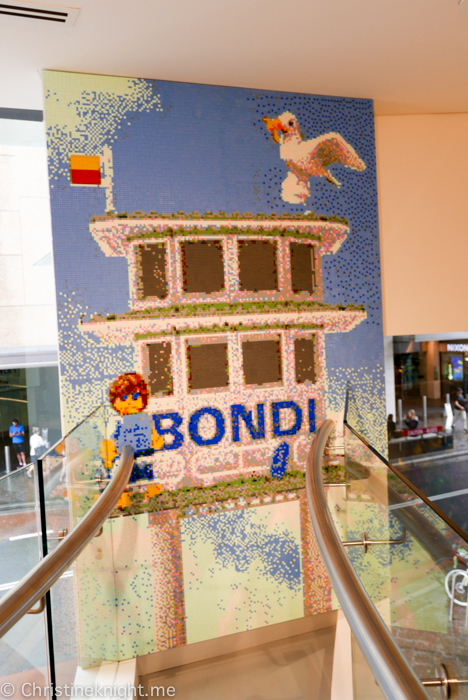 Unique Sydney icons have been created from LEGO®, including a wall mounted LEGO® Opera House and Harbour Bridge mosaic and a tribute to Bondi Beach. 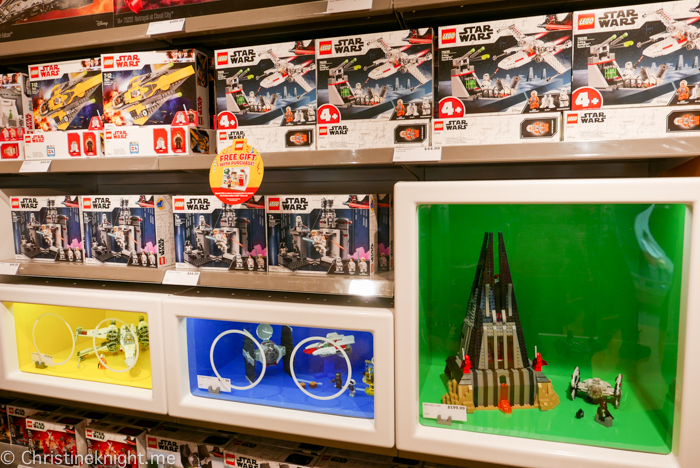 The store has several hands-on interactive brick experiences which will make it a popular spot to visit with the kids as well as to shop. 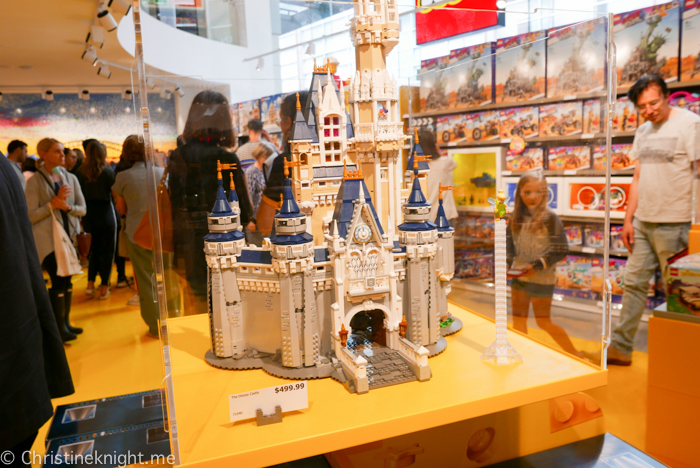 These include Build-Your-Own MinifigureTM stations with thousands of combinations (including heads, legs, torsos, hairs, hats and accessories), a LEGO® Pick a Brick Wall featuring countless combinations of bricks to choose from and several LEGO® Play tables. 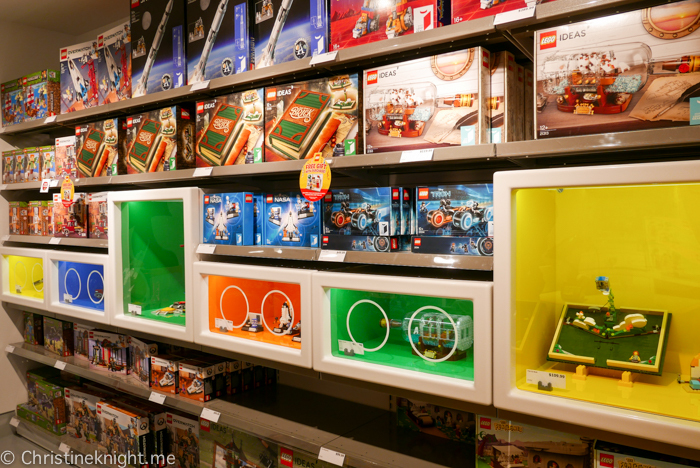 The store also features “The Brick Cave”, a dedicated area designed specifically for children’s parties, and custom LEGO® brick engraving service for personalisation. 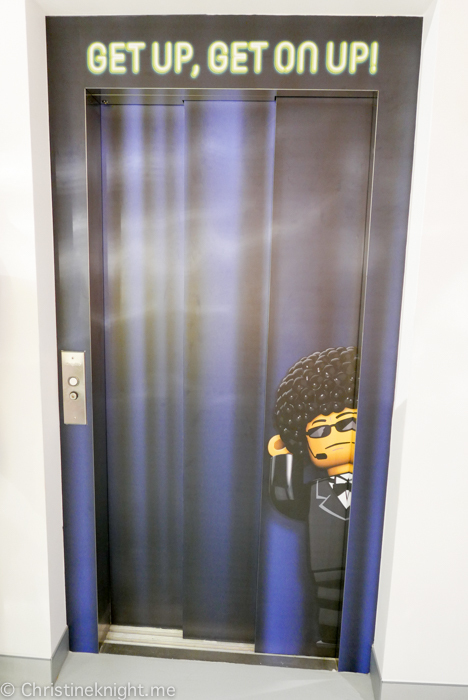 There is a dedicated elevator providing stroller / wheelchair access between the floors as well as a set of stairs. 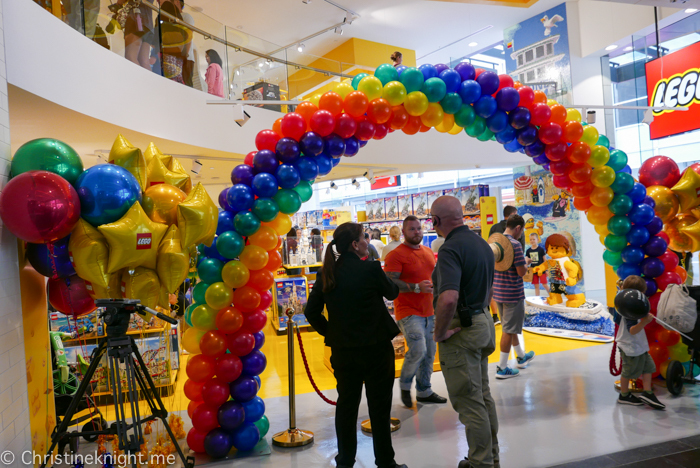 I loved the wide variety of LEGO® on offer, catering for all ages with sets for adults, teens, tweens, kids and preschoolers. 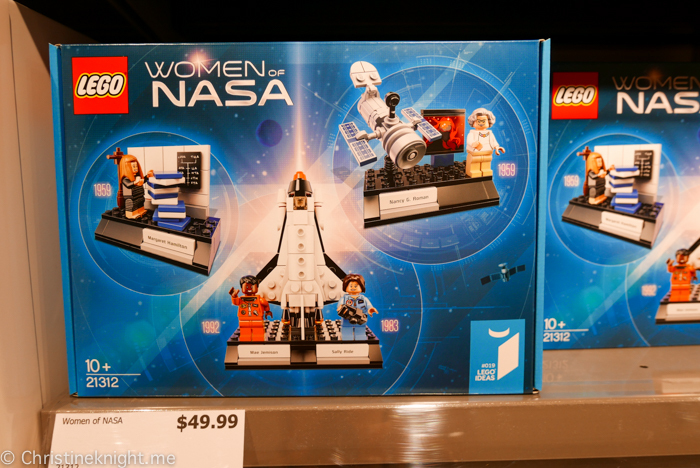 The Women of NASA will be on my list! When it opened in 1897, The Australian Museum became the first museum in Australia, with an international reputation in the fields of natural history and anthropology. 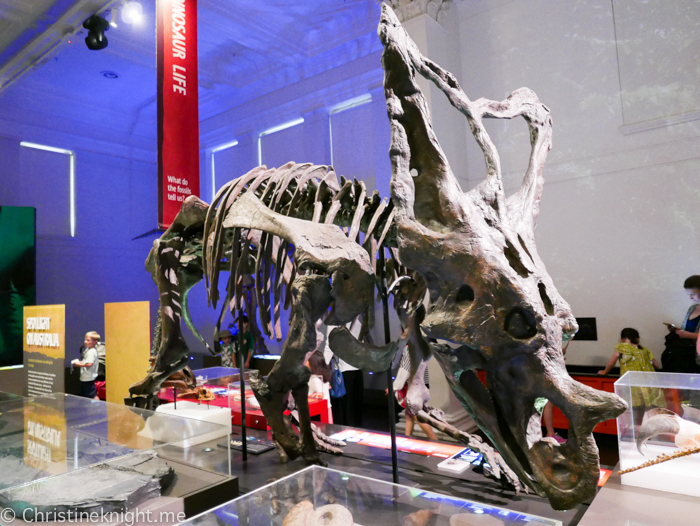 The museum’s dinosaur exhibition, containing 10 complete dinosaur skeletons and eight life-sized models is very popular with kids. The dedicated Kidspace area is a hit with littles aged five and under (as well as the slightly bigger kids who still like to sneak in!). 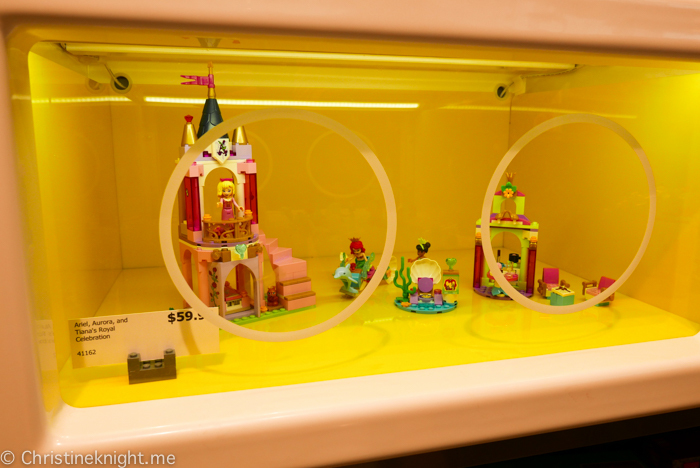 It’s full of nature-themed toys and games. 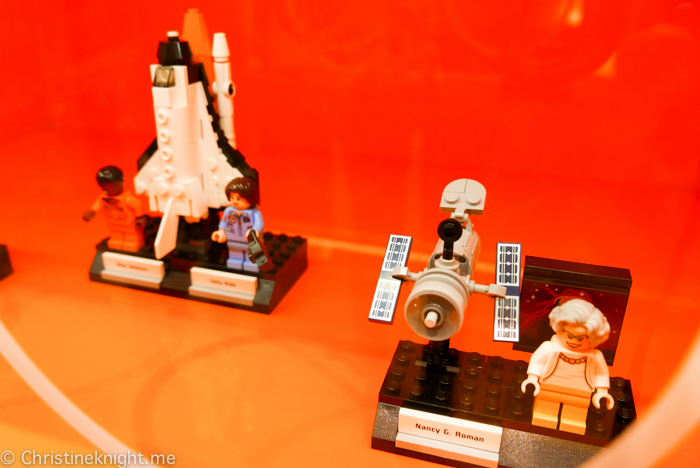 The Search & Discover public research centre is a hit with older kids. 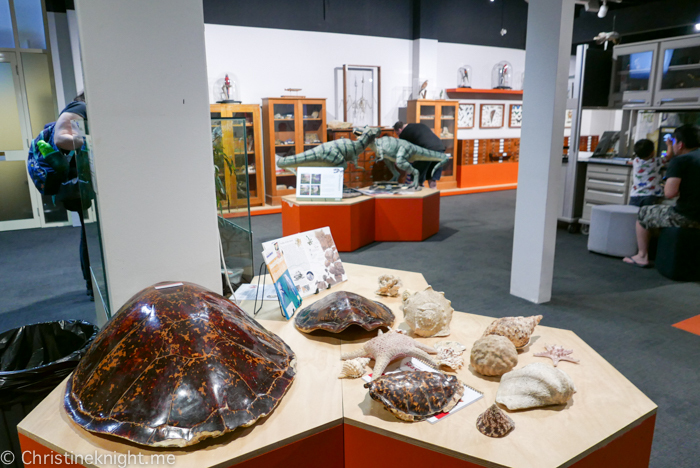 The permanent exhibition has a recommend time of one hour to see everything, however we have easily spent a lot longer than this in the single room, exploring all of the specimens and activities on offer. 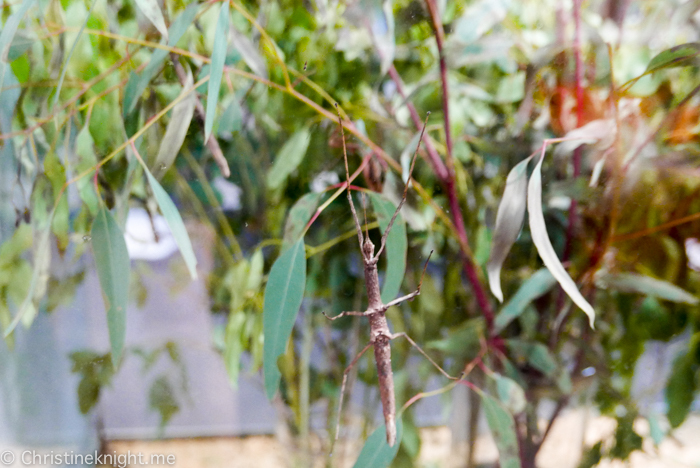 Hundreds of objects, animals, minerals and fossils at your fingertips in this interactive, hands-on learning space, plus a colony of stick insects on display. If you visit on a Tuesday morning you can watch the museum staff changing their leaves and help keep an eye peeled for escapees! 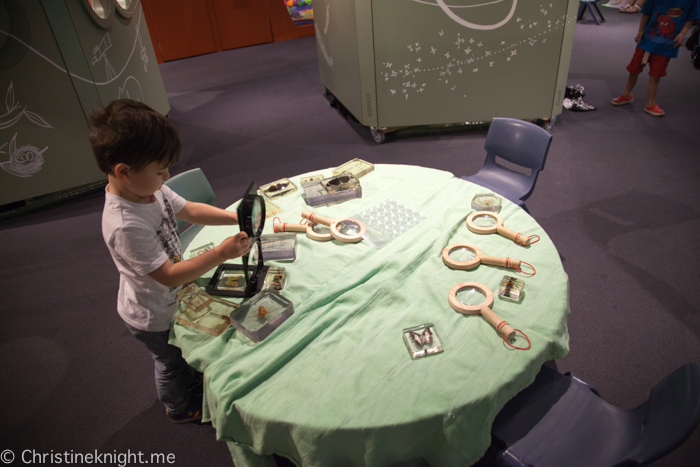 Kids can touch and interact with museum objects such as their easy-to-use microscopes. 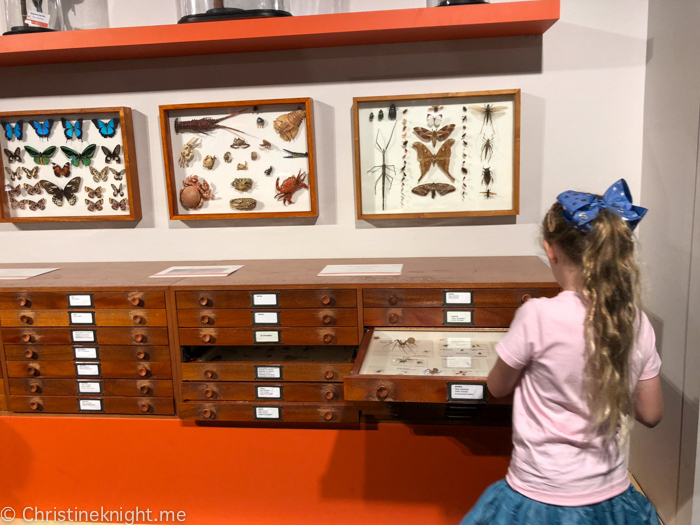 Those with assignments or a passion for science will enjoy the vast selection of identification guides, information sheets and books (including pictures books) that cover all areas of the museum’s areas of expertise; zoology, geology and anthropology. Books extend to other topics including botany, astronomy and general science. 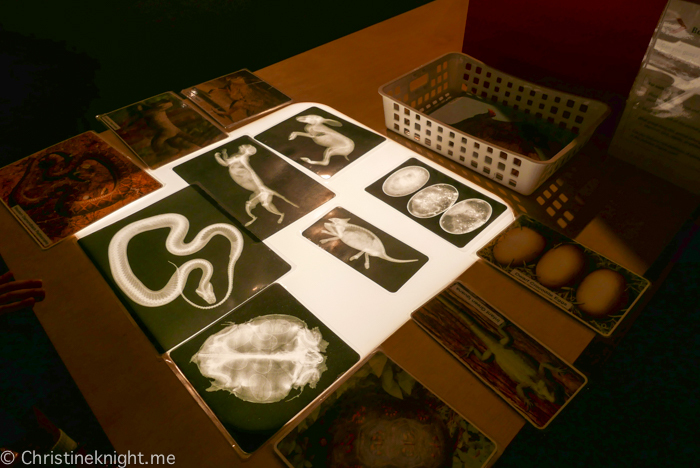 The specimen drawers were a hit with my future naturalist. The neatly arranged drawers hold a wealth of specimens letting curious minds get up close to tiny creatures. 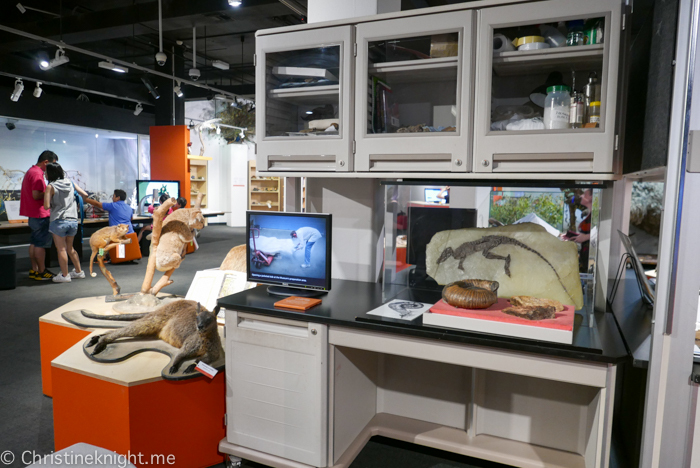 Other permanent exhibitions at the Australian museum include Surviving Australia, Pacific Spirit, Dinosaurs, Birds of Australia, First Australians Galleries and the latest addition, Wild Planet. 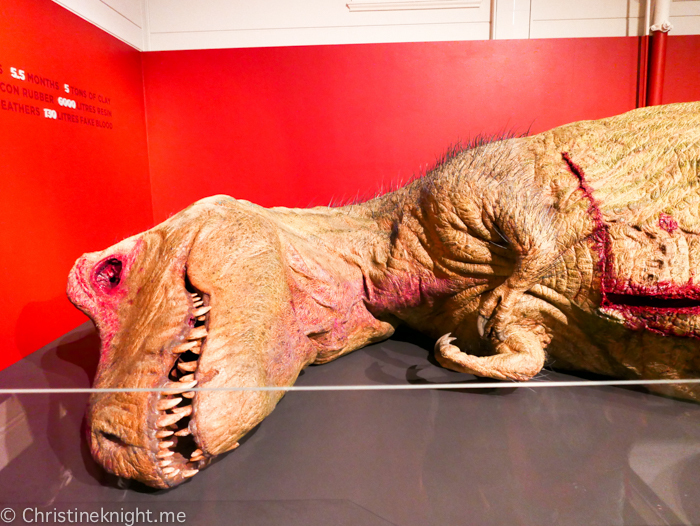 The dinosaur exhibition features the world’s first anatomically correct model of a T-Rex – a dissected 11-metre long replica created for the documentary, T-Rex Autopsy. Wild Planet features nature’s giants such as an elephant, rhinoceros, giraffe, lion, tiger and bear as well as a wealth of other smaller animals. Head to the cafe on level four for a bite to eat. 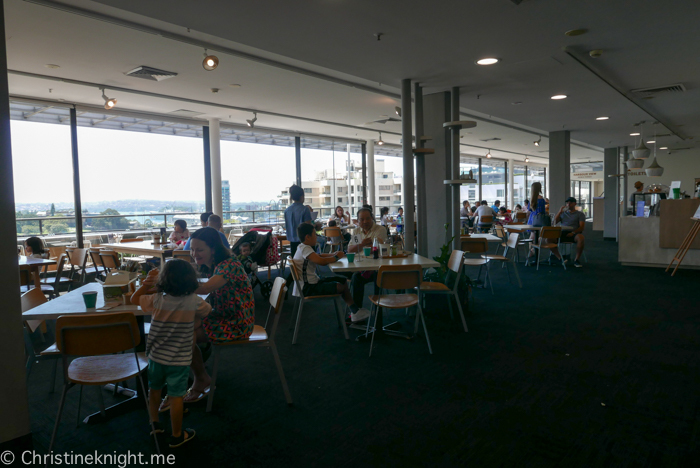 They have cute kids meals and basic meals for adults, with a stunning view of Sydney. Check out the museum’s calendar for upcoming events. 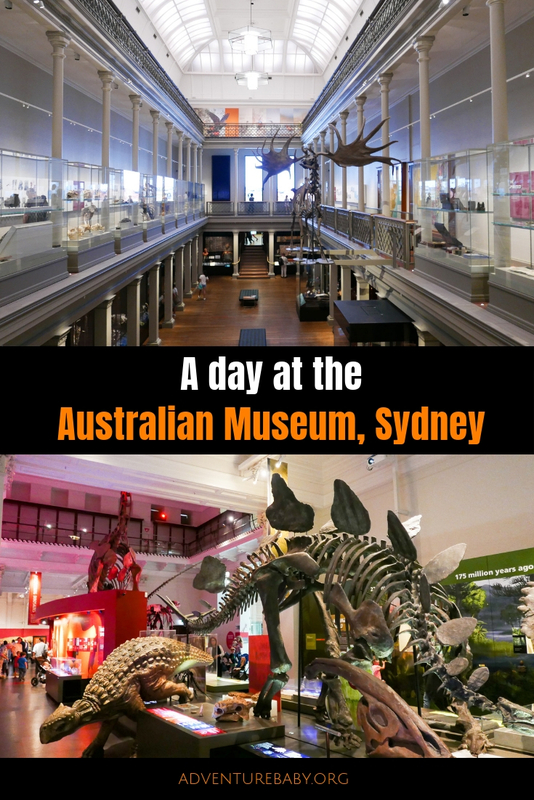 Keep the museum top of mind for things to do in school holidays in Sydney as they always run excellent science-focussed programs. 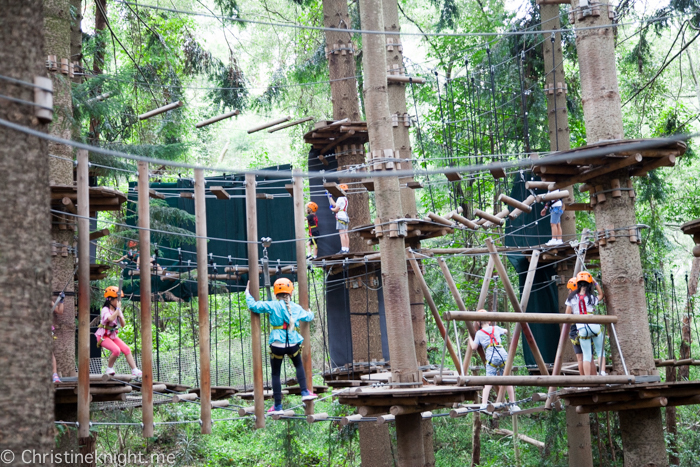 Climb, weave and fly through the tree tops on self-guided rope courses and elevated obstacles at TreeTop Adventure Park. 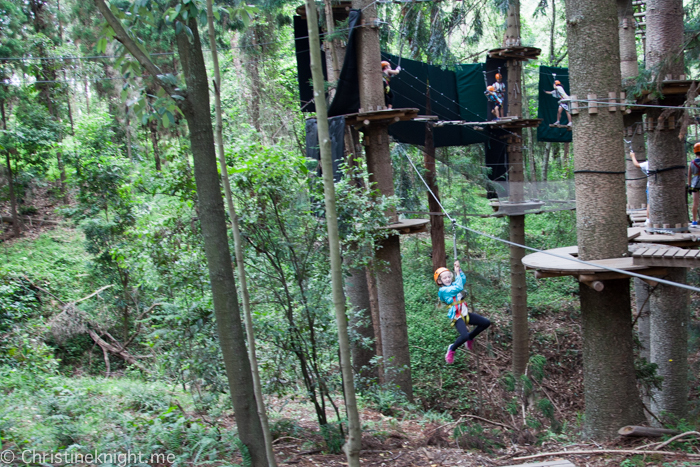 Put yourself to the test at TreeTops with over 100 challenges suspended in the air, including rope ladders, wobbly bridges, tunnels, cargo-nets and zip lines. 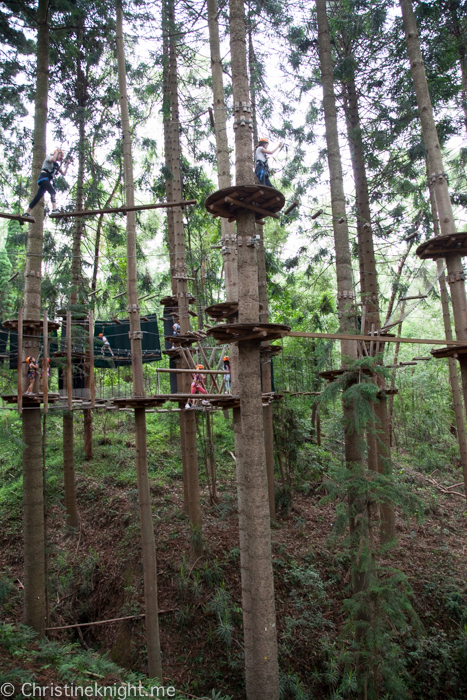 There are five Tree Top Adventure Park locations: Western Sydney, The Hills, Newcastle, Central Coast and Coffs Harbour. Each location is different but shares the same basic principles. 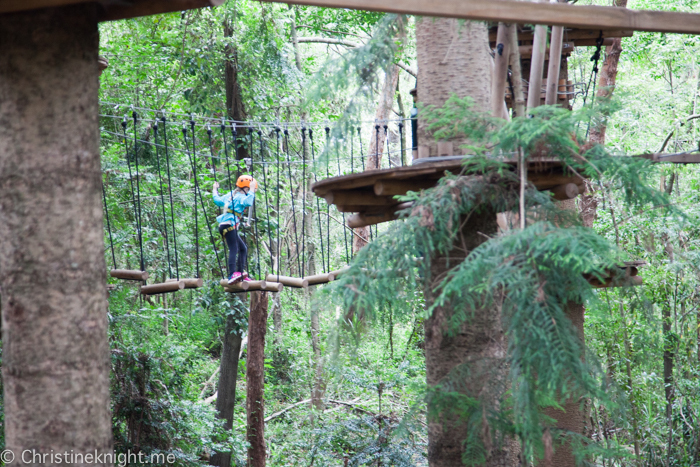 TreeTop Adventure Park has seperate courses for kids and juniors/adults, with the children’s course suitable for little ones aged 3 – 9. The next group, “Juniors/Adults”, consists of four courses for participants aged 10 + who are at least 1.4m tall. 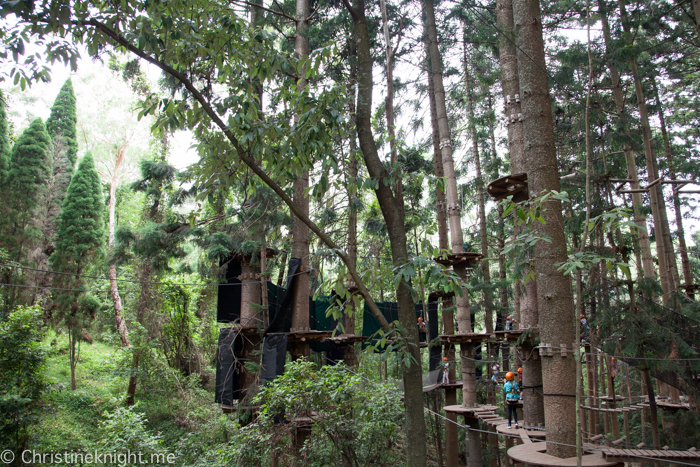 We have previously visited the TreeTop Adventure Park in Western Sydney – you can read about it here. 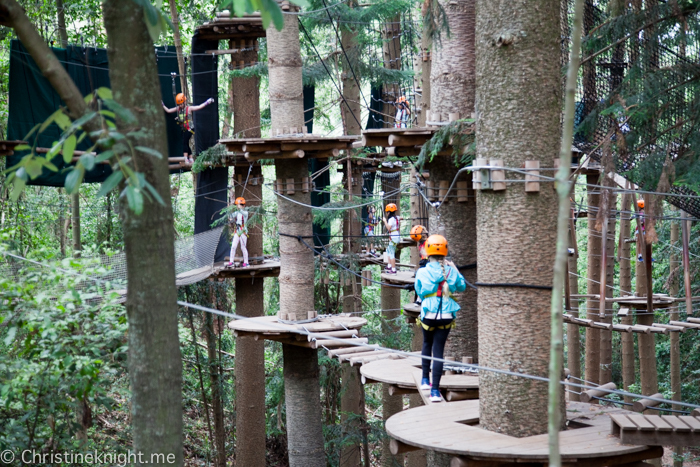 While all TreeTop Adventure Parks have similar difficulty levels the average height of the challenges at TreeTops Sydney – The Hills is 10m, and supervising adults must stay on the perimeter path rather than there being paths underneath the courses allowing on-ground adult supervisors to be close as there is at other TreeTops parks. 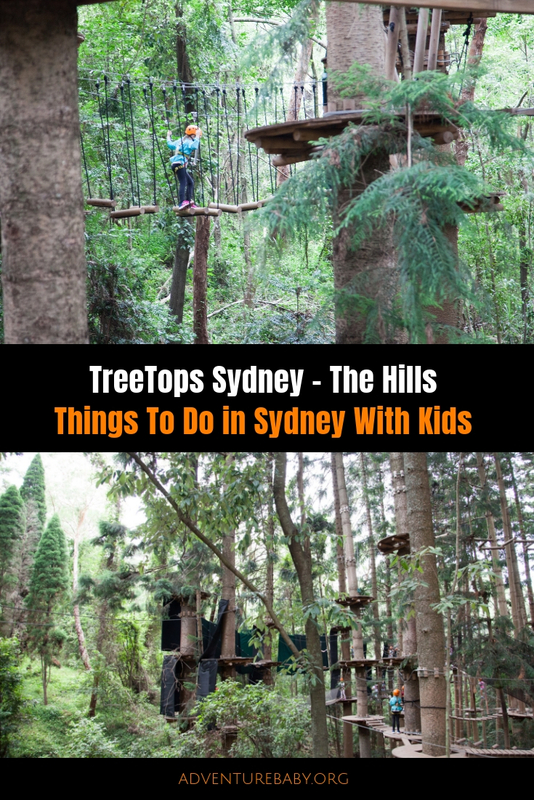 These two factors makes the TreeTops Sydney – The Hills slightly more challenging for younger or less confident kids. 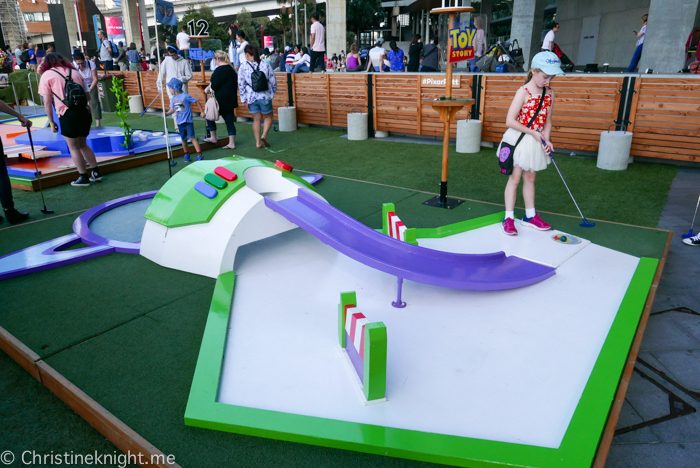 There are four children’s courses: White, Yellow, Orange and Purple. 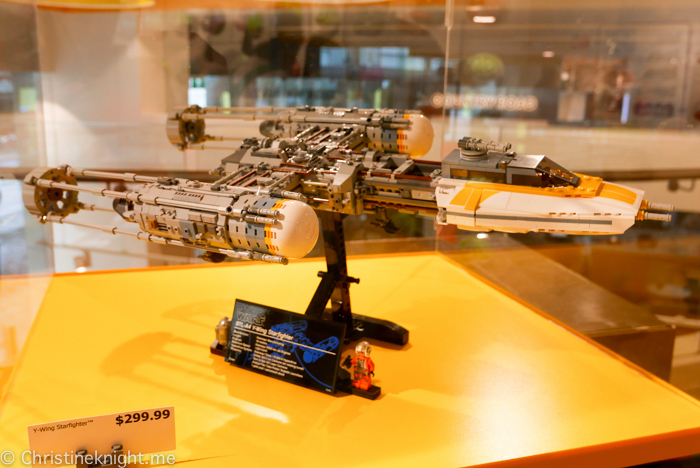 Children MUST be 3 years and older. Children’s courses designed for children 3-9 years old. 2 hour session including approx. 30 minutes ‘gearing’ time and training; and approx. 1.5 hours climbing time. Children can complete the courses as many times as they like within their session. At least one adult is required to supervise the children at all times from the ground (no fee. Adult supervisors are responsible for ensuring children in their care follow the safety rules and are behaving appropriately. 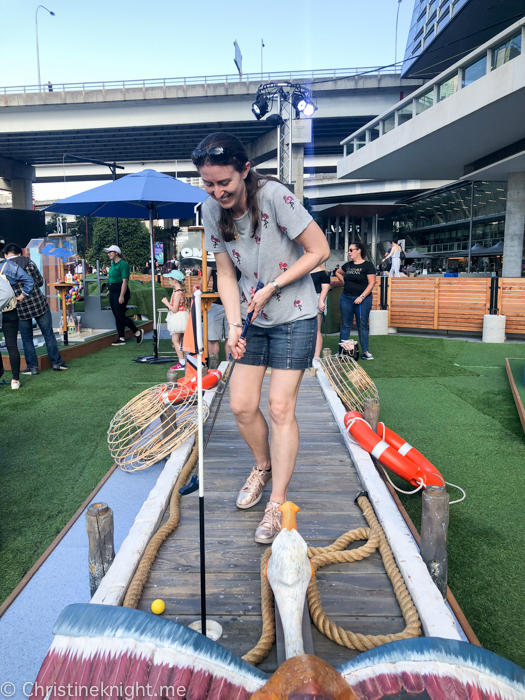 Adults can NOT climb on the children’s courses. The children are also supervised by instructors. All parks have similar difficulty levels, determined by each individual climber. 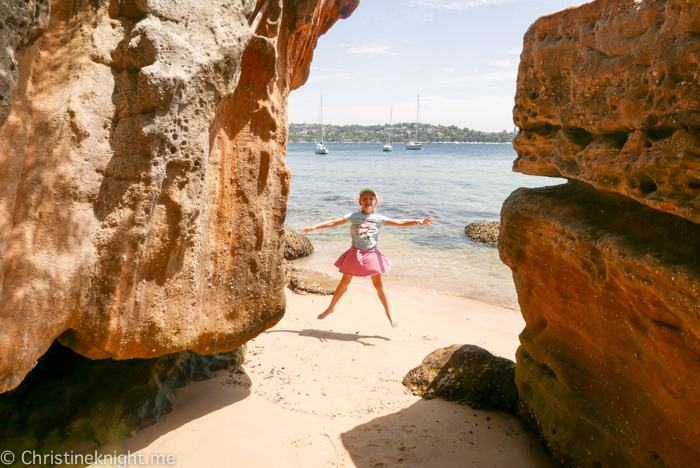 Sydney – The Hills could be slightly more challenging for younger or less confident children and a fantastic challenge for older or more confident children. Average height is 10 metres. 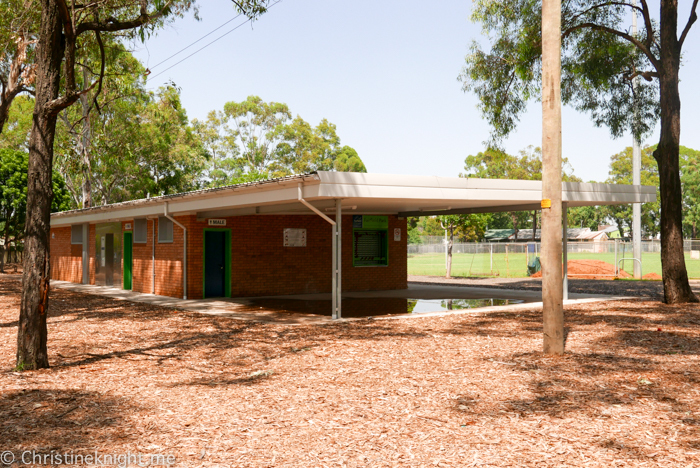 Central Coast, Newcastle, Western Sydney and Coffs Harbour parks have paths underneath the courses allowing on-ground adult supervisors to be close. Sydney – The Hills supervising adults remain on the perimeter path. 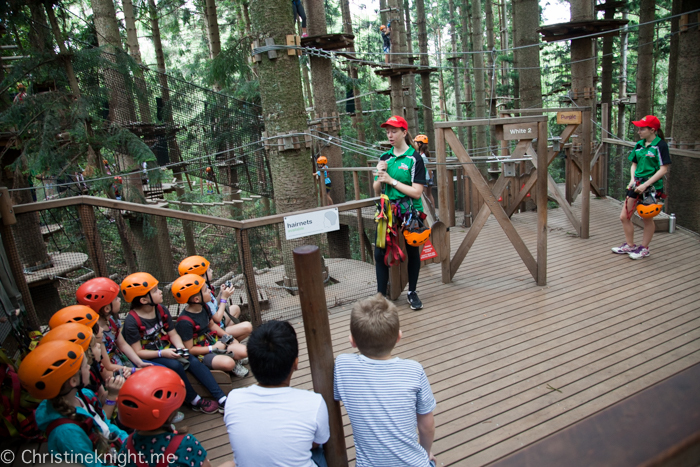 As with the kids courses, Sydney – The Hills adult/junior courses are slightly higher than other TreeTops parks, with the maximum height of some challenges being around 25 metres. There are four adult-junior courses: Green, Blue, Red and Black. Participants MUST be 10 years and older, at least 1.4m tall and under 120kg. One adult MUST accompany juniors 10-15 years old on the courses. One adult can supervise up to four juniors.Adult supervisors are responsible for ensuring juniors in their care follow the safety rules and are behaving appropriately. It is recommended courses are completed in order as instructed as they get progressively harder and higher. Courses can be completed once only per day (cannot be repeated). 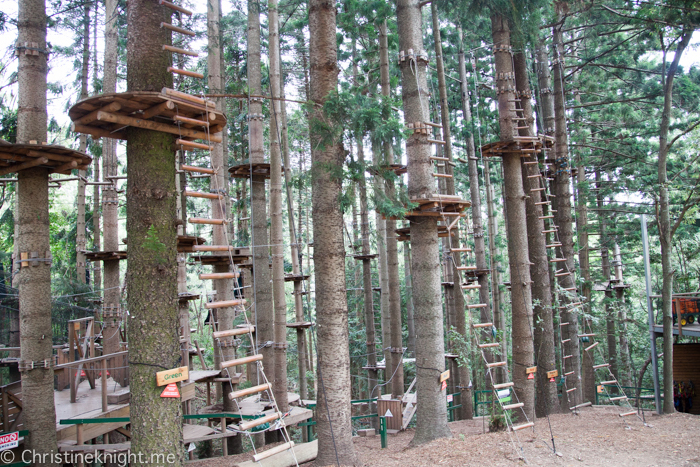 Participants MUST be over 16 years old to climb the black course. There are NO exceptions to age, size or weight. Check our booking Terms and Conditions. Participants MUST complete a safety training session prior to starting the courses. Sessions are led by qualified instructors and start at the booked time. Total time required to complete the safety training session and courses varies and is approximately 2.5-3.5 hours. Sydney – The Hills could be slightly more challenging for younger or less confident climbers and a fantastic challenge for older or more confident climbers. Highest point is 25 metres. Book your session online well in advance. The courses are popular and book out fast particularly during school holidays. 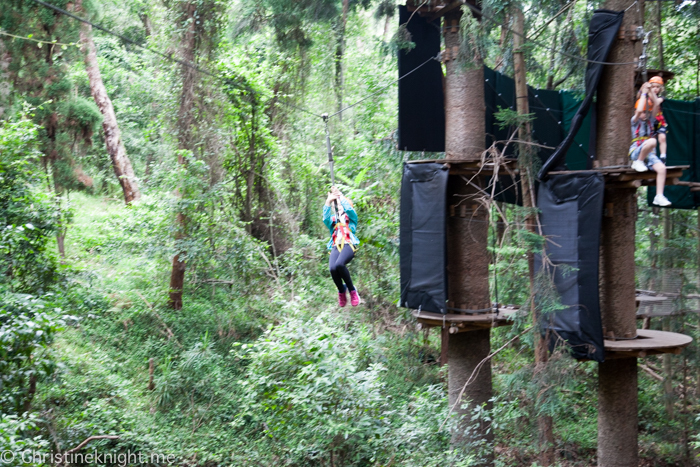 Arrive early – 30 minutes for TreeTops The Hills. The car park is a short walk from the main office where you must check in and sign a waiver, and a long walk from the actual courses. Participants must wear fully enclosed shoes (sporting shoes are recommended); no exposed skin from the ankle down (skin must be covered by shoes not socks). The course sessions have time limits and participants can do the courses as many times they like during that period. Kids have two hours including briefing and equipment preparation which takes about 30 minutes. Adult/junior course has three hours. Gloves are available to purchase at the office for $5 for kids. We didn’t feel like they were needed and bare hands were fine. Bring lots of water as it’s thirsty work. The bathroom is located near the main office so go before you walk to the start of the courses as it’s a long way back again. I would suggest leggings or long shorts/track pants to be worn as we had some banged knee incidences. Tie back long hair and remove jewellery. Bring sunscreen and insect repellent. 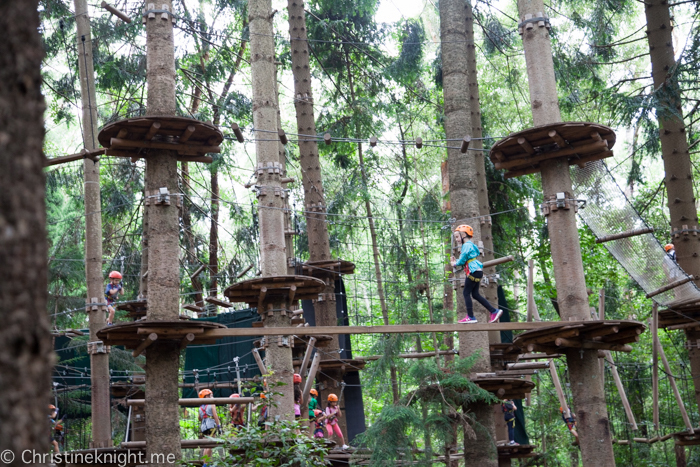 TreeTops is open in all weather conditions (except lightning and extreme high winds). Bring a rain jacket or poncho if it looks like rain on your scheduled day. There are no lockers available for valuables. No items can be taken on the course including phones and cameras. 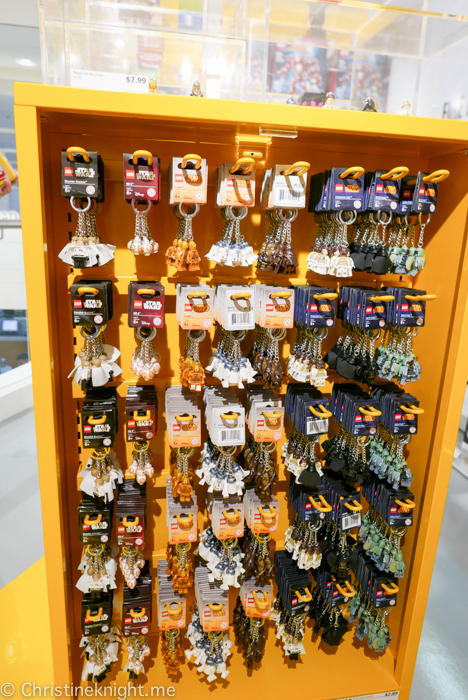 Adults climbing should leave their keys at the TreeTops office. Once you are in your safety harness absolutely nothing is allowed in your pockets or hands, this includes jewellery, phones, wallets, keys and cameras. Toilet facilities, ample picnic / lunch areas, free, unlimited onsite parking, BBQ facilities. 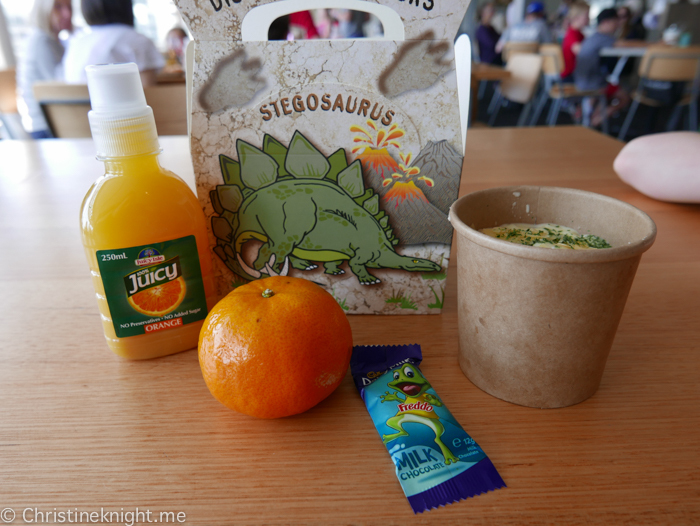 No food sold on site, however there is Cafe Saligna inside the forest area. 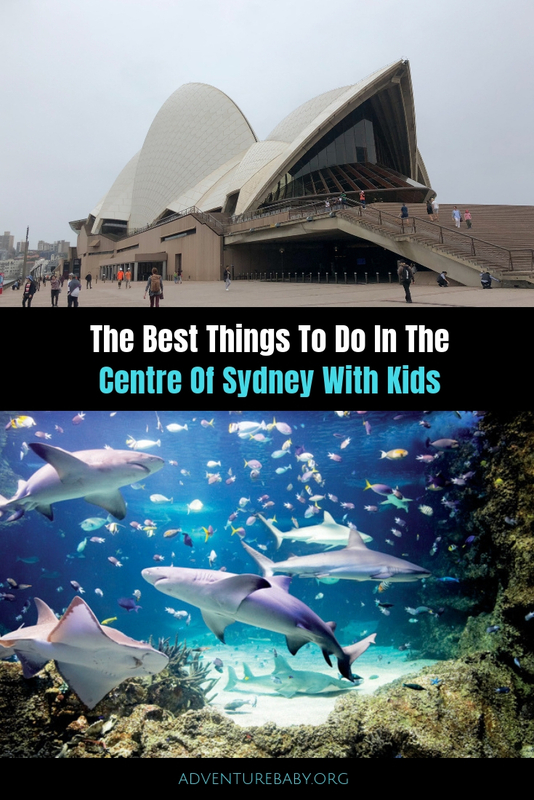 Find a list of the best things to do in Sydney with kids here. 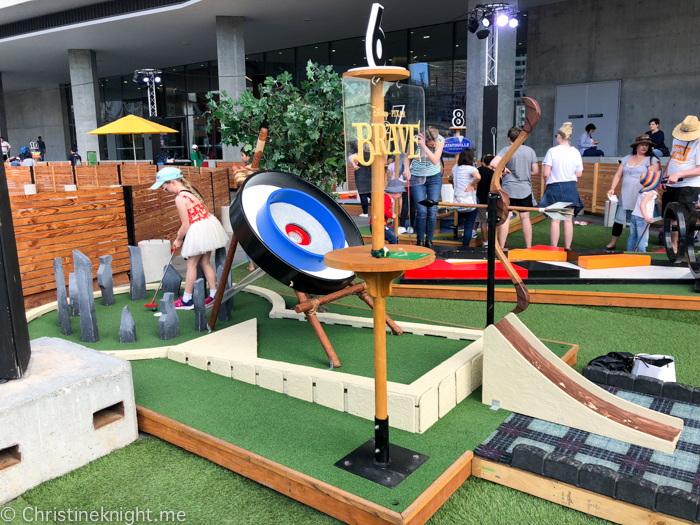 Find things to do in Sydney for free here. 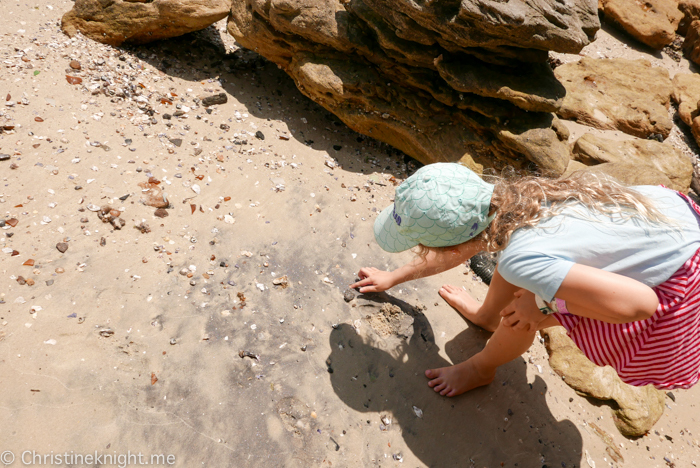 Get a list of the best kid-friendly beaches in Sydney. Find the best animal experiences in Sydney here. Visit the best kid-friendly restaurants in Sydney here. Find the best high teas in Sydney here. 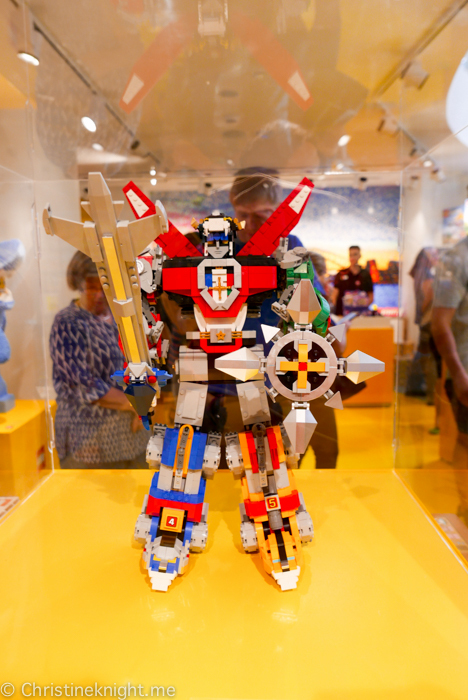 Head to one of the best museums in Sydney here. 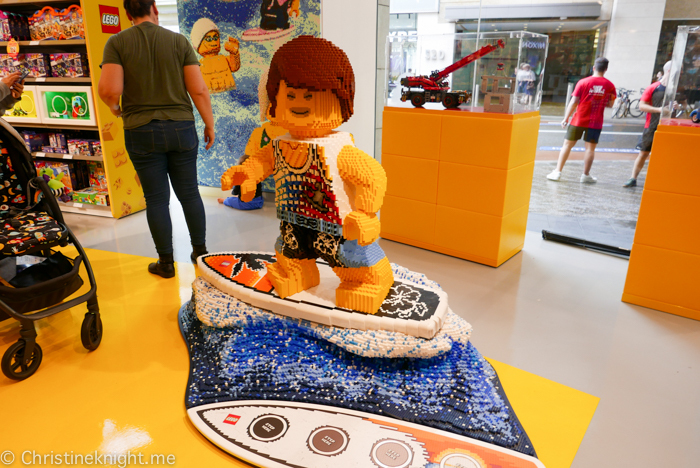 Check out things to do in Sydney on a rainy day here. 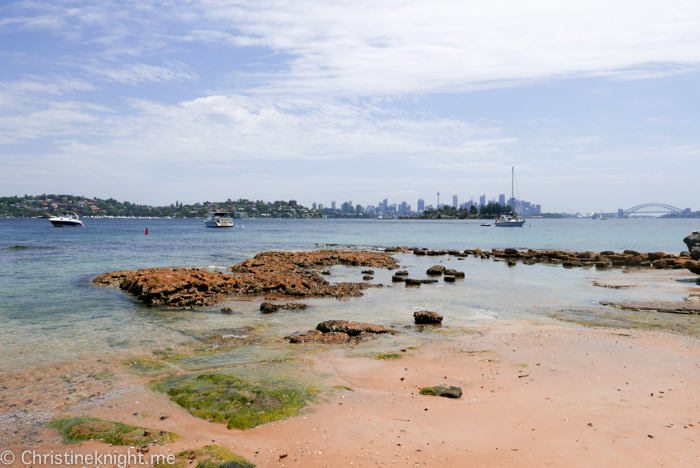 Enjoy one of the best ocean pools in Sydney here. 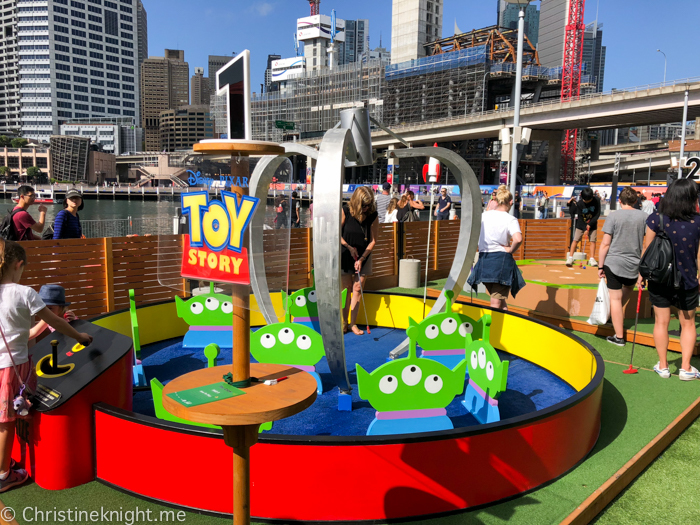 First time visiting Sydney? 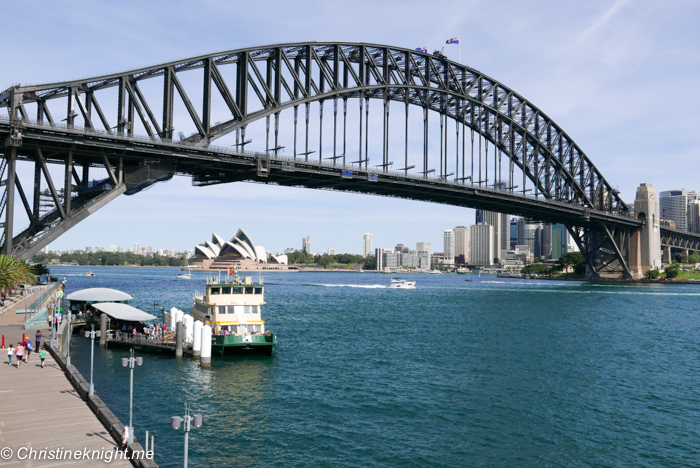 Get tips for first time visitors to Sydney here. 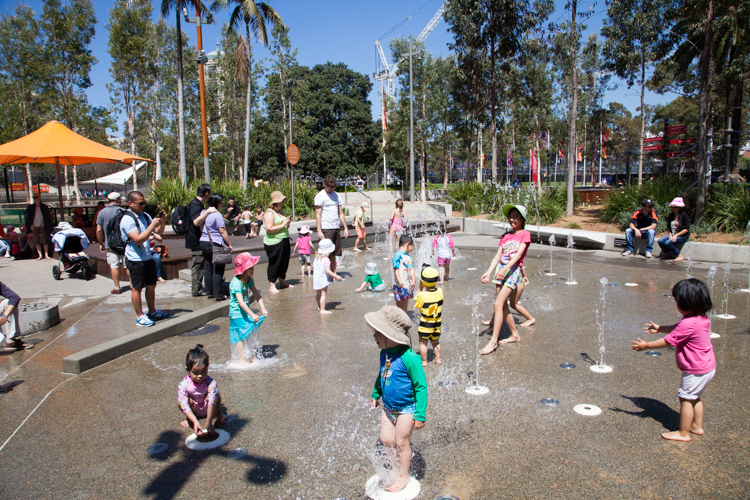 Cool down at one of these free water parks in Sydney. 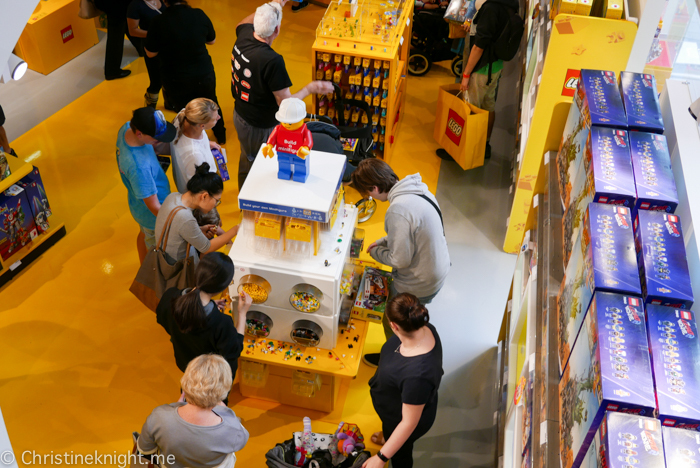 Heading to Sydney for a few days and want to entertain the kids without leaving the CBD? We’ve got you covered! 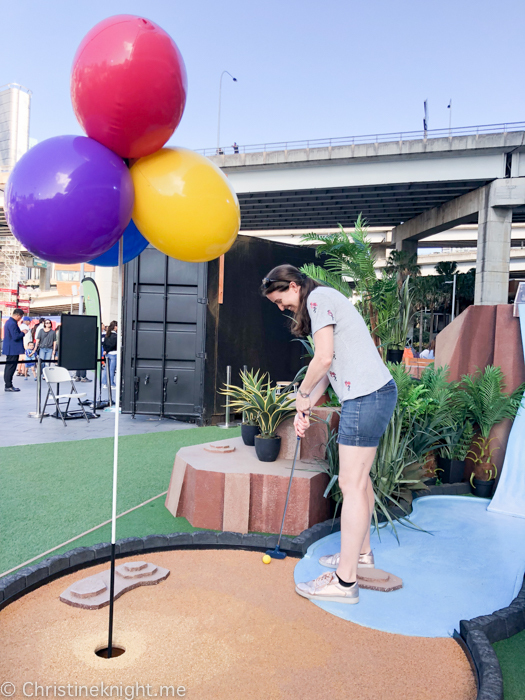 There are so many fun ways to enjoy the beautiful harbour city all within the centre of Sydney. 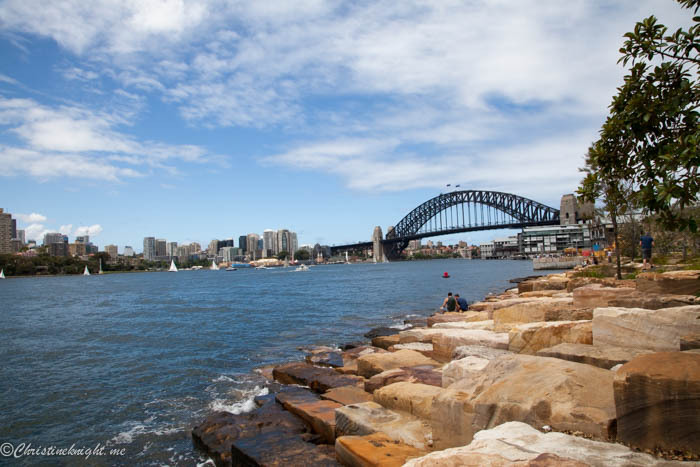 Visit the place of the first European settlement in Australia, as well as the traditional home of the Gadigal Aboriginal people in the Rocks. 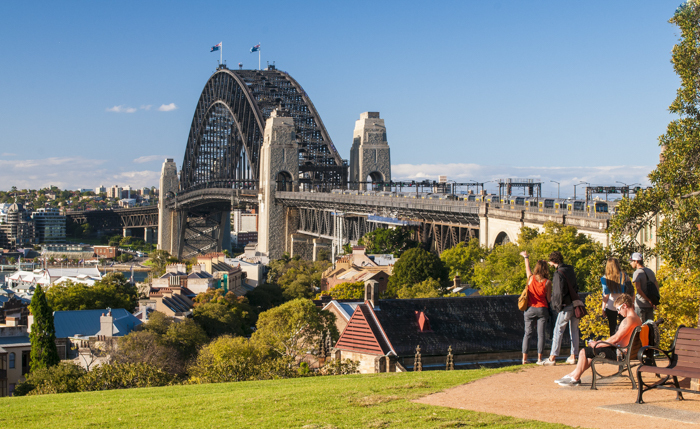 Wander the cobblestone streets, enjoy panoramic views of Sydney Harbour including the Sydney Opera House and Sydney Harbour Bridge and take a look at a few of the heritage sites and buildings in the area. There are over 100 historic sites and buildings, the oldest house being Cadman’s Cottage, built in 1816. 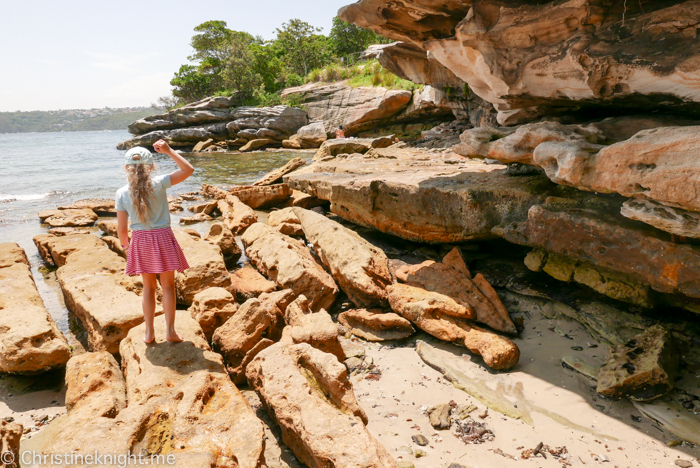 Drop by the Rocks Discovery Museum, a free museum located inside a restored 1850s sandstone warehouse with an interactive kids corner upstairs, or grab one of the best scones in Sydney at The Tea Cosy (their kids’ Devonshire tea is adorable and delicious). 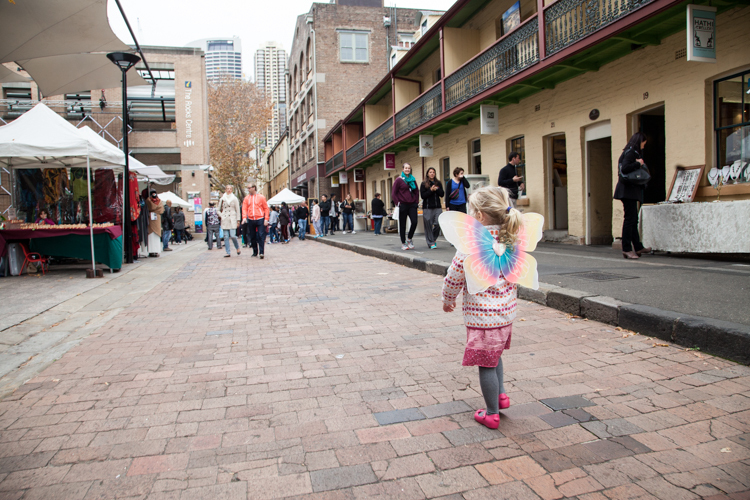 A visit to the Rocks is one of our favourite things to do in Sydney with kids. The world’s tallest steel arch bridge connects the northern suburbs of Sydney with the CBD. 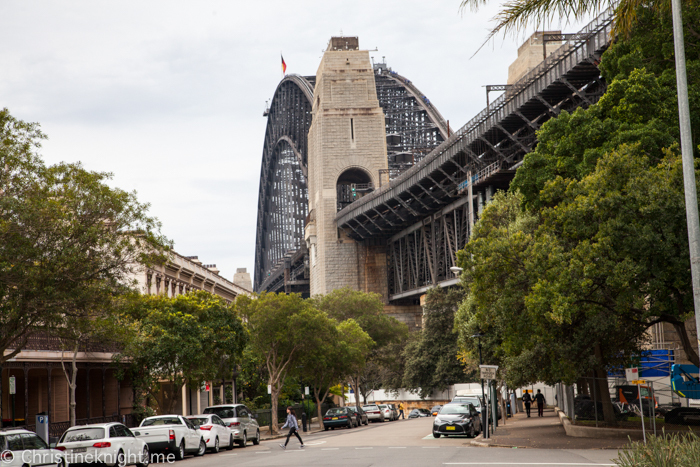 Take a stroll over the Sydney Harbour Bridge – the two access points to the pedestrian walkway are up Cumberland Street in The Rocks in the CBD and near Milsons Point train station in the north. If you and the kids are feeling energetic, climb 200 stairs to the Pylon Lookout for stunning views (admission fees apply). 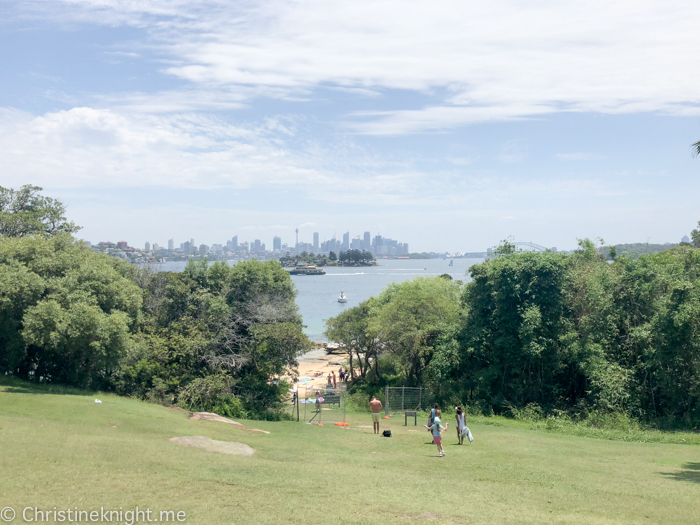 Located in The Rocks, the hill is is a gorgeous spot for a picnic with a view, as well as being home to the Sydney Observatory, a heritage-listed museum and public observatory. Sydney Observatory runs and family tours and activities throughout the year which are perfect for mini star gazers. 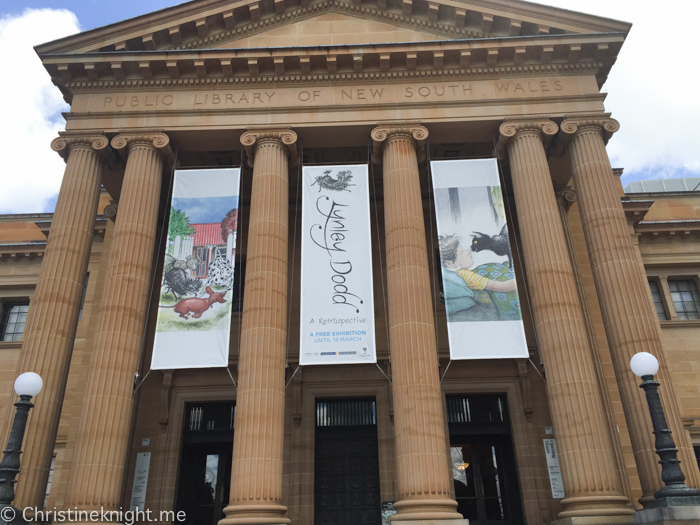 It’s free to wander into Australia’s oldest library (it was established in1826) and check out their exhibitions which include, at time of print, the touring May Gibbs: Celebrating 100 Years exhibit. 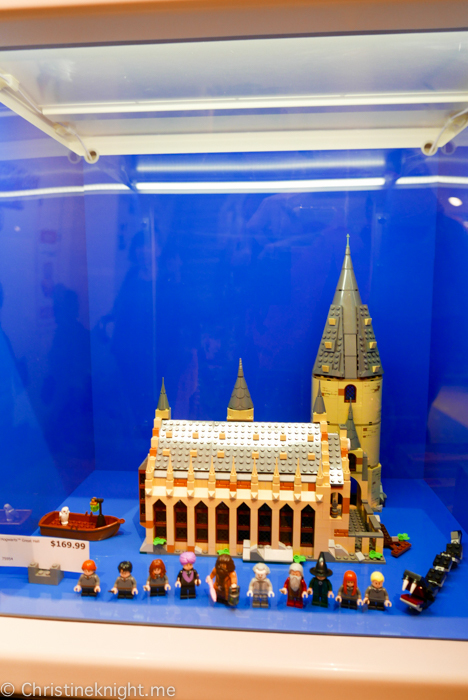 The library also runs free activities for kids during school term for under 5s and school holidays for older children. Check out their calendar to see what’s on when you visit. 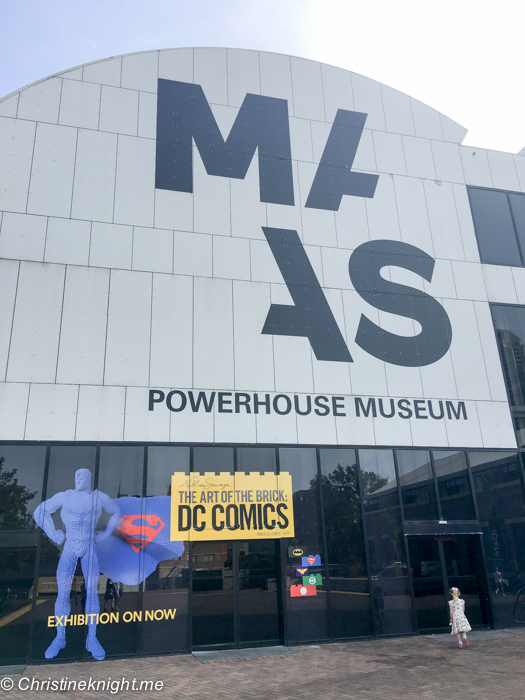 Located in the old Ultimo Power Station building adjacent to Darling Harbour, the Powerhouse Museum is the flagship branch of the Museum of Applied Arts & Sciences ((MAAS) in Sydney. The museum’s collection encompasses science, technology, design and decorative arts, engineering, architecture, health and medicine, fashion and contemporary culture. Locomotive No. 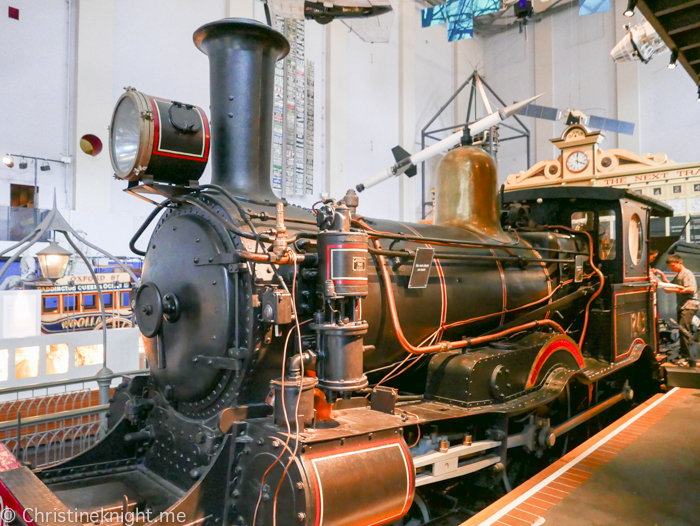 1, the first steam locomotive to haul a passenger train in New South Wales, is a popular drawcard just inside the museum’s entrance, as is the ever-popular interactive Wiggles Exhibition. 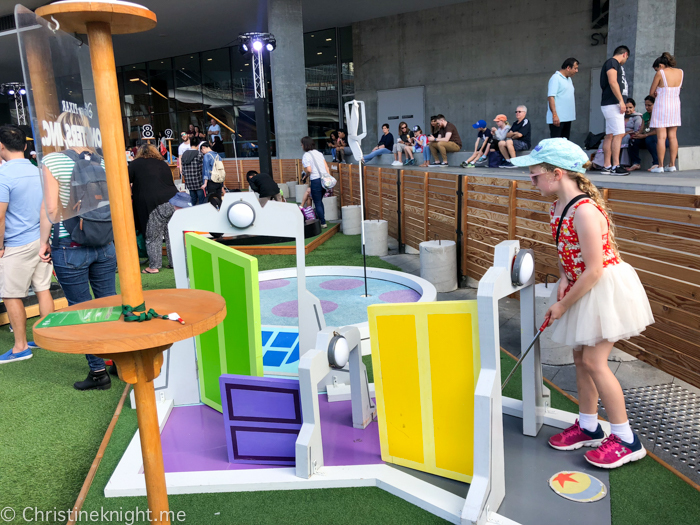 Throughout the year the Powerhouse Museum hosts temporary exhibitions plus a wide range of kid-focussed activities and workshops with a strong focus on science and coding, particularly during the school holidays. 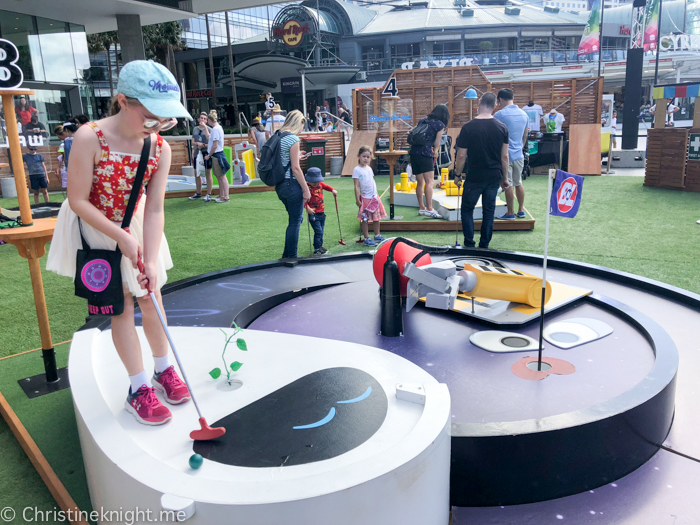 The focus on science and technology in a very family-friendly environment makes the Powerhouse Museum a top choice for things to do with kids in Sydney. Check out their calendar for upcoming events. 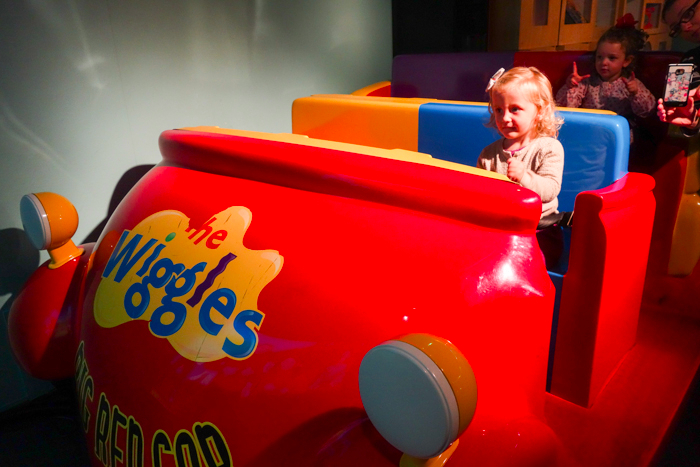 Get info on visiting the Wiggles Exhibition here. 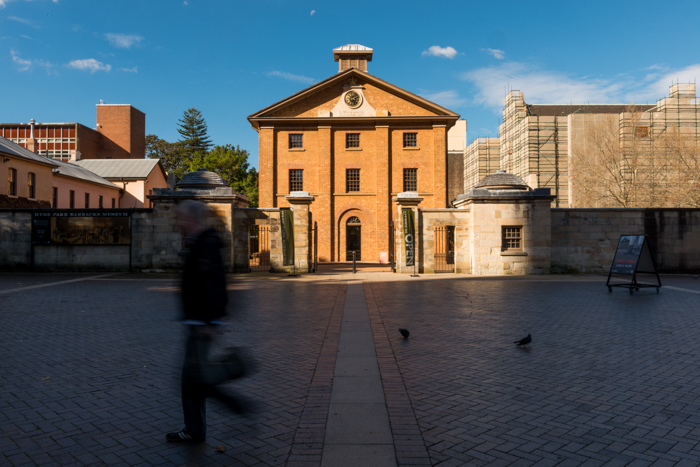 Located on the site of the first Government House of NSW, the Museum of Sydney tells the story of Sydney’s history and its people. 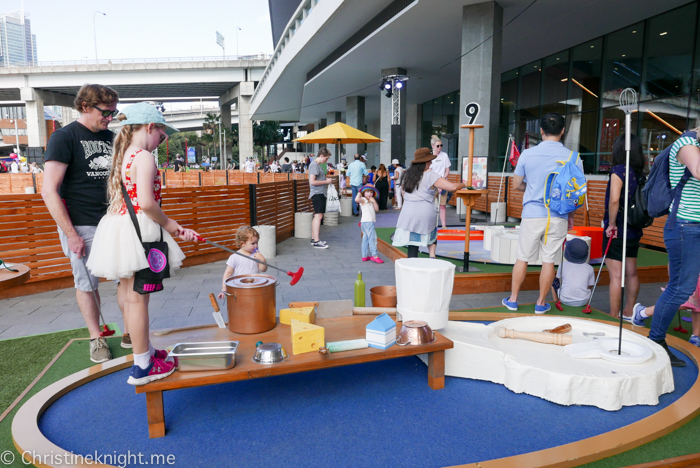 The Museum of Sydney offers family-friendly exhibitions and programs year-round (check what’s on here) and kids eat free with each adult meal purchased at the downstairs restaurant, The Governors Kitchen. Get more info on the Museum of Sydney here. Housed inside the sandstone buildings that contained the original Water Police Court (1856), Water Police Station (1858) and the Police Court (1885), the Justice and Police Museum features 1890s holding cells, offices, charge room and courts, forensic evidence, historic weapons and forensic photography. 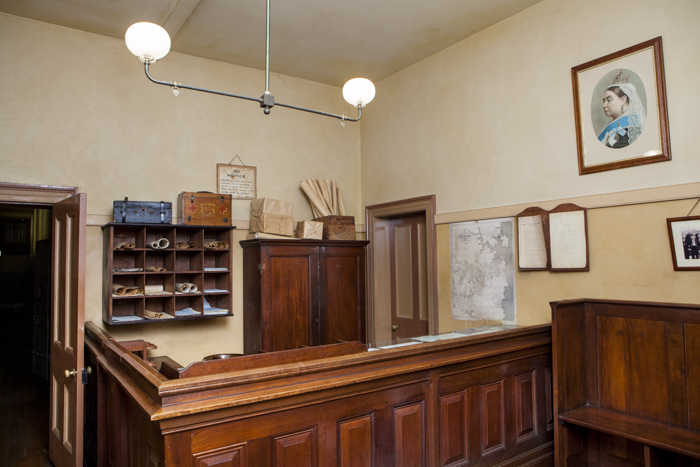 The Justice and Police Museum runs family-friendly programs throughout the year for kids to learn about the law, hear true life tales and take park in mock trials. Get info on events here. Find out more about visiting the Justice and Police Museum here. 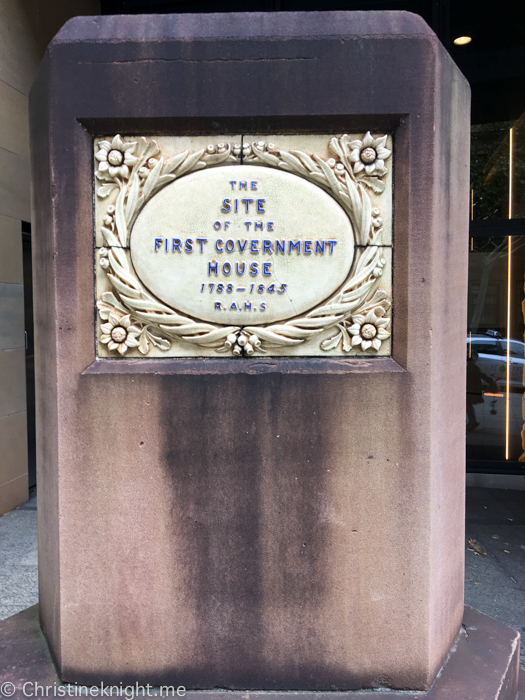 This UNESCO world heritage site was built in 1819 at the top of Macquarie Street to house convict men and boys. Among with 10 other sites in Australia, Hyde Park Barracks represents “the best surviving examples of large-scale convict transportation and the colonial expansion of European powers through the presence and labour of convicts”. Tens of thousands of people passed through the barracks, during the world’s largest and longest-running transportation of convicts. The Hyde Park Barracks runs family-friendly programs year-round to engage children in its history such as their “Convict Escapades” event, where kids can experience life as a convict. Get info on upcoming events here. 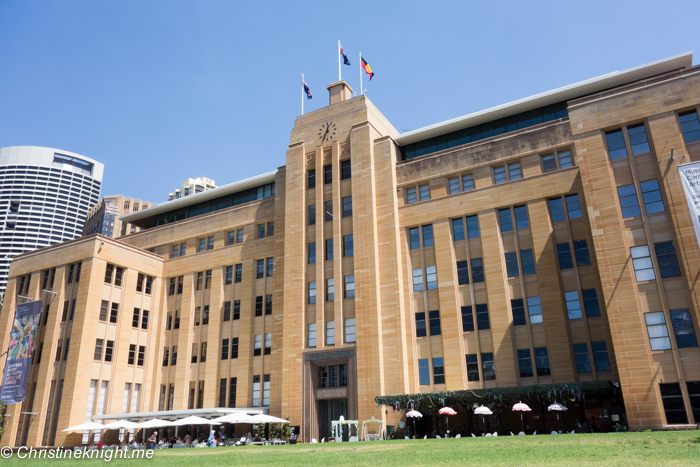 Find out more about visiting the Hyde Park Barracks Museum here. 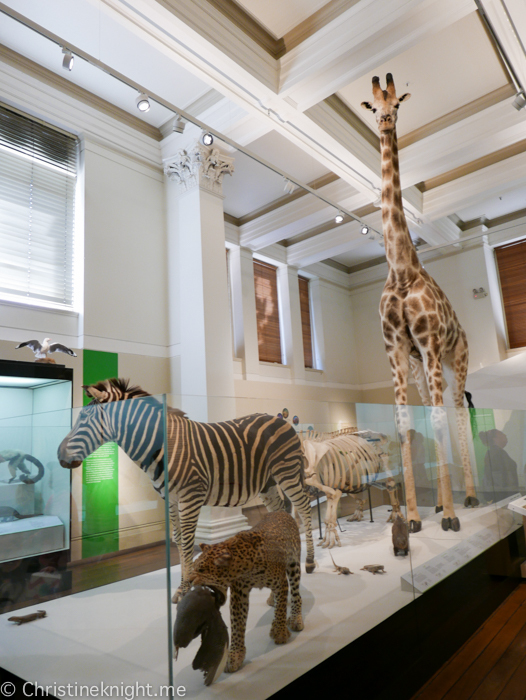 When it opened in 1897, The Australian Museum became the first museum in Australia, with an international reputation in the fields of natural history and anthropology. 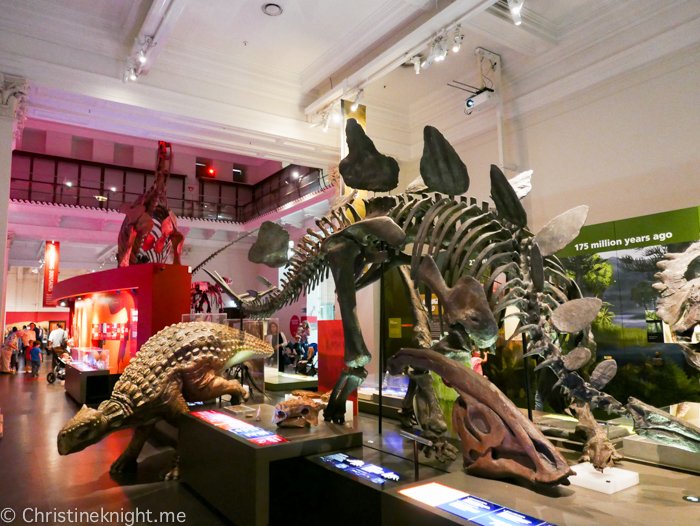 The museum’s dinosaur exhibition, containing 10 complete dinosaur skeletons and eight life-sized models is very popular with kids. 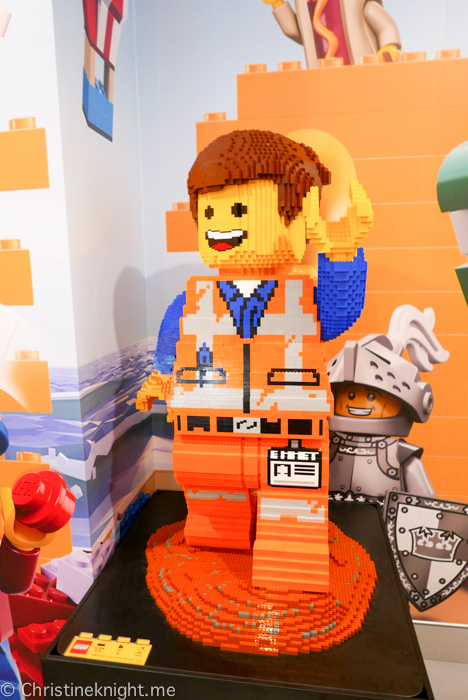 The dedicated Kidspace area is a hit with littles aged five and under (as well as the slightly bigger kids who still like to sneak in!) 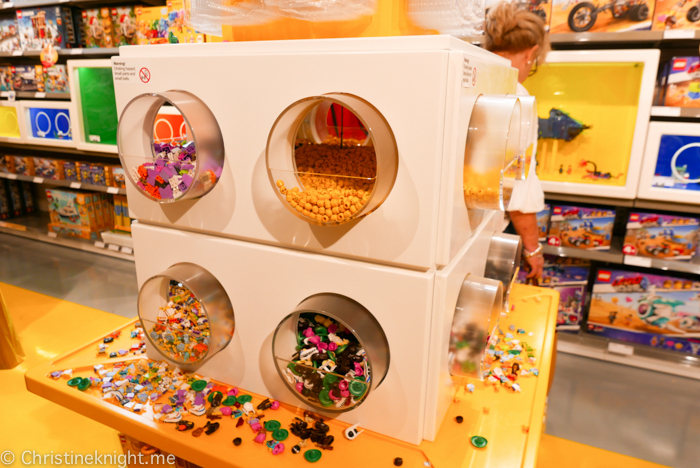 while older kids will love the Search & Discover research centre. 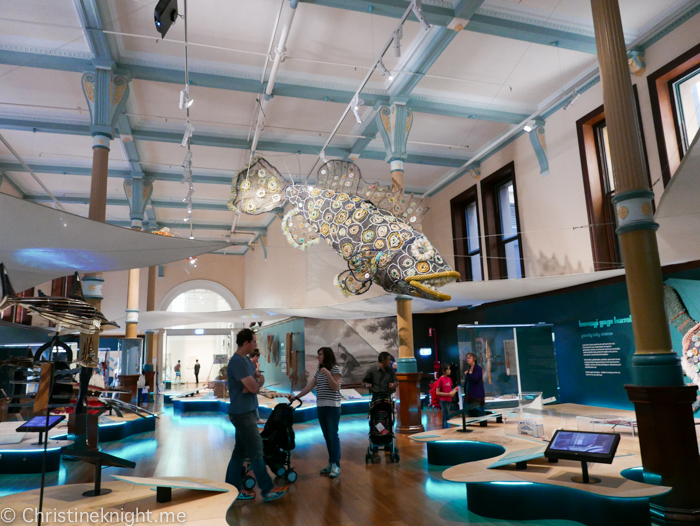 The Australian Museum also runs family-focussed programs year round for kids aged 9 months and up. 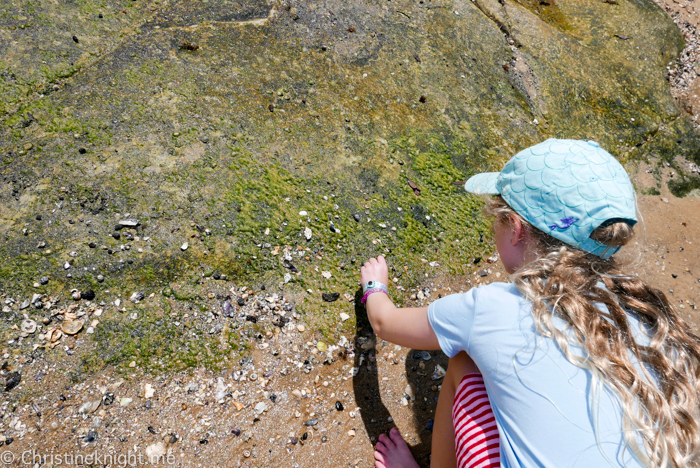 School aged kids always have a large range of science-based activities to choose from during the school holidays. Read more about visiting the Australian Museum here. The gardens and Domain are gorgeous all year round. Wrapped around Farm Cove just south of the Sydney Opera House, the gardens, which were established in 1816, occupy one of Sydney’s most spectacular waterfront positions. 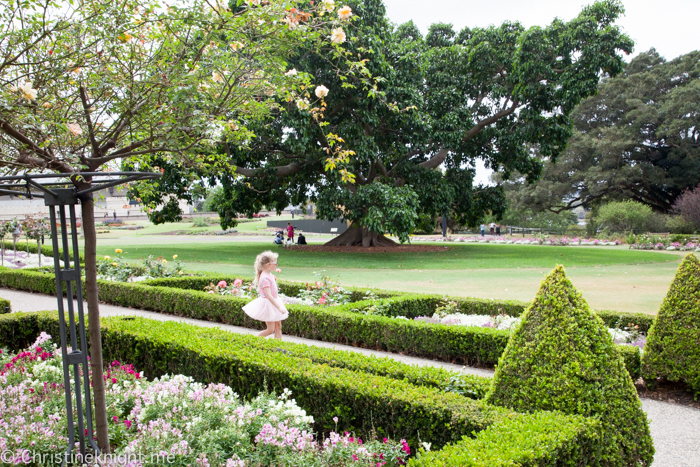 A relaxing day exploring the gardens is one of the best things to do in Sydney with kids. 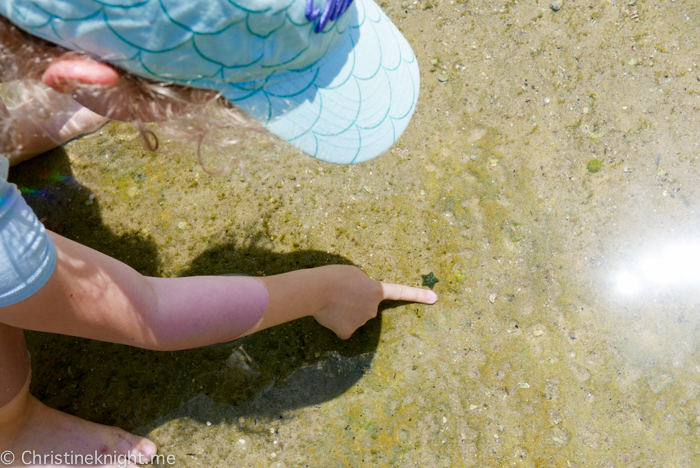 The Royal Botanic Gardens runs plenty of family and kids’ programs all year ’round (check their calendar for upcoming events) but we have the most fun practicing cartwheels on the shady lawns, watching eels in the pond and climbing rocks and trees. Stroll through five levels of masterpieces including an extensive collection of Aboriginal art, European masters, Asian art and visiting exhibitions. 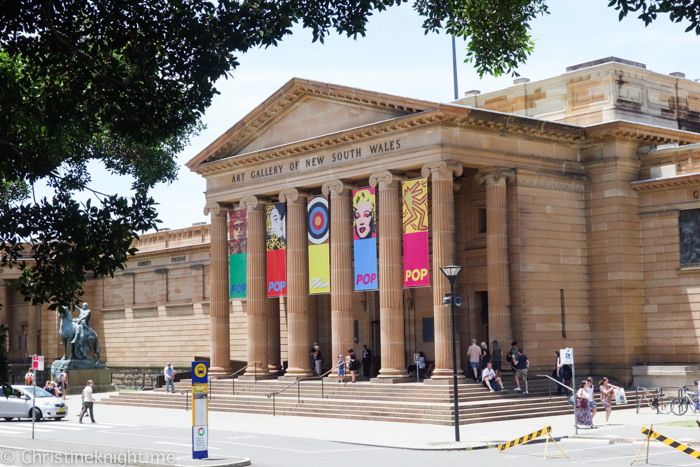 The general galleries at the Art Gallery of NSW (AGNSW) are all free to enter. Children can use online booklets to explore artworks or download free audio tours that have been created just for kids. 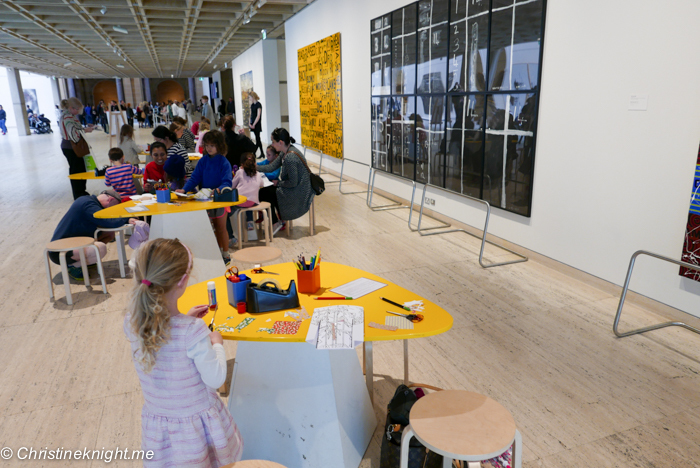 The AGNSW frequently runs free activities for kids on Sundays and school holidays. 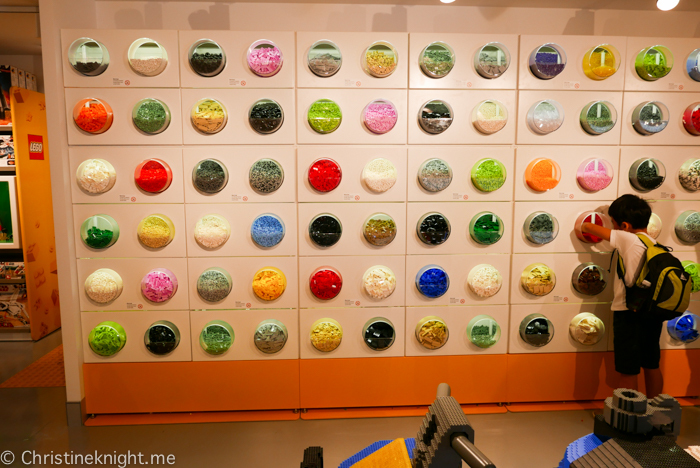 As you’ve probably noticed, this is a great place to visit if you’re on a budget! 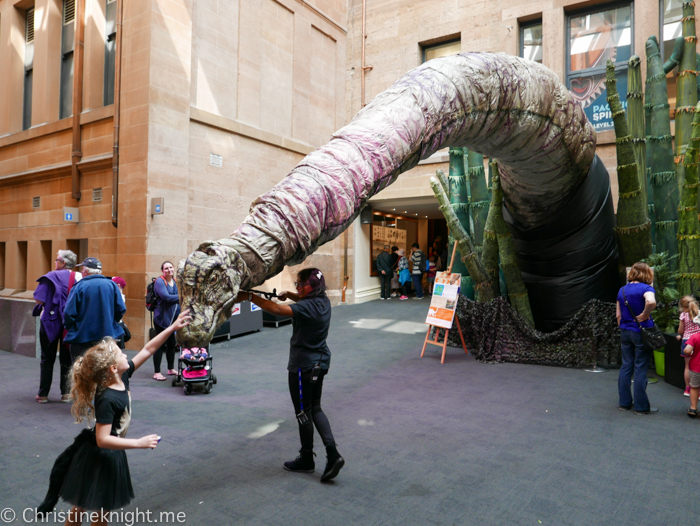 The AGNSW is full of free things to do in Sydney with kids, making it one of our most-visited spots year-round. Get info on visiting the AGNSW with kids here. Wander through galleries of exciting modern art from leading Australian and international artists at the Museum of Contemporary Art Australia (MCA). Grab a coffee at the rooftop cafe and sculpture terrace and enjoy the stunning harbour view. 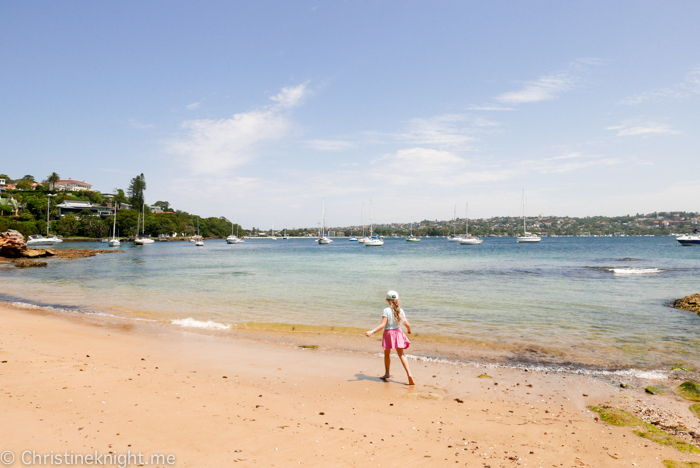 How lucky are Sydney kids to enjoy this view every day? 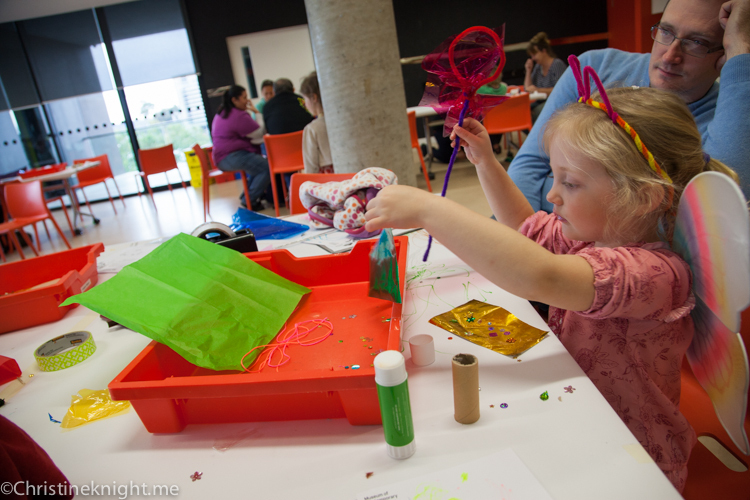 The MCA runs lots of free and small donation activities for kids throughout the year too, from their monthly Sunday Family Fun Days to a drop in activity room and school holiday crafts. The Sydney Opera House is a performance venue on Bennelong Point, well-known for its distinctive series of “shells” covering the roof. 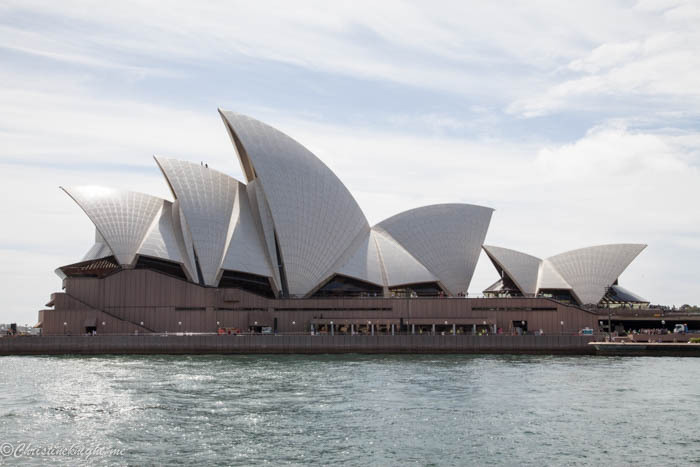 The Sydney Opera House opened in 1973 and is a UNESCO World Heritage site. 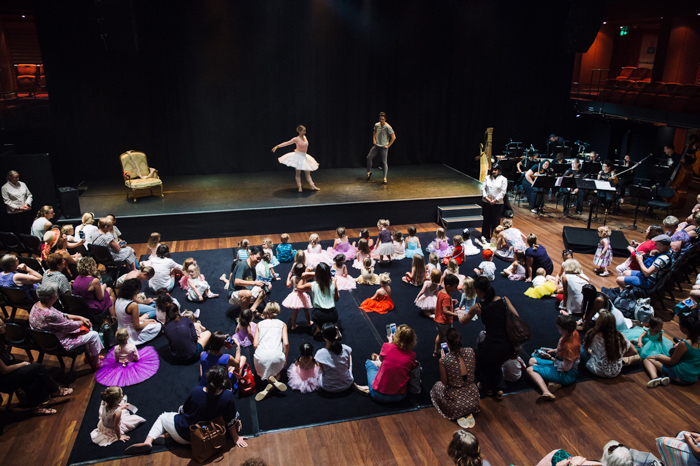 The Sydney Opera House offers a great program of shows for Sydney kids of all ages (check their calendar beforehand) and it’s usually possible to get last-minute tickets. 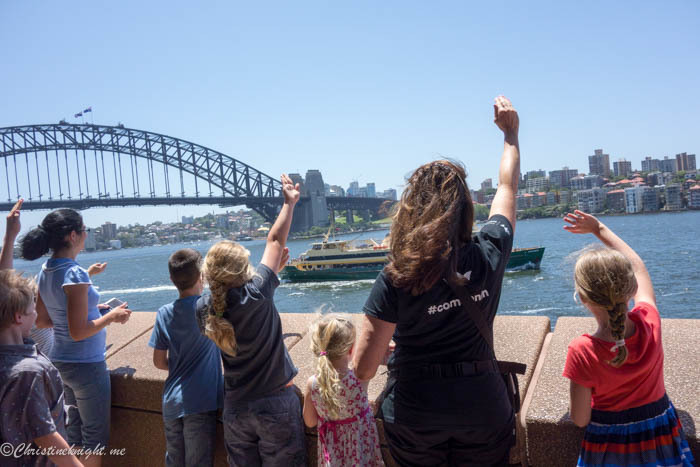 The Junior Adventure Tour also takes kids behind the scenes on a family-friendly tour of the Sydney Opera House. If there aren’t any shows on, it’s still fun to walk around the outside, including up the famous steps, and inside the box office area to take a peek. 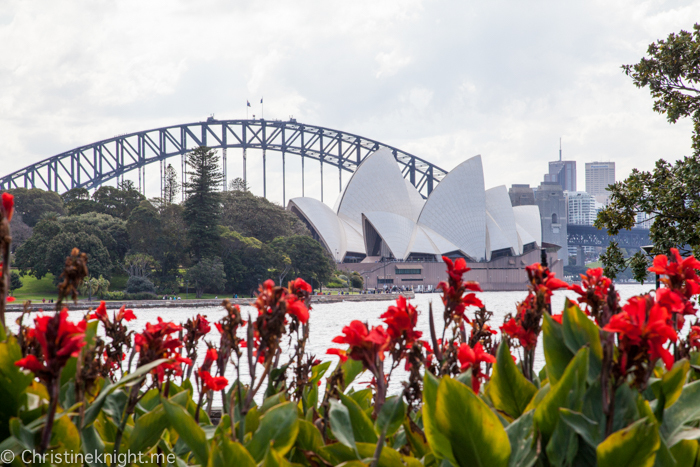 A visit to the Opera House is a must when visiting Sydney with kids! Get more info on the Junior Adventure Tour. 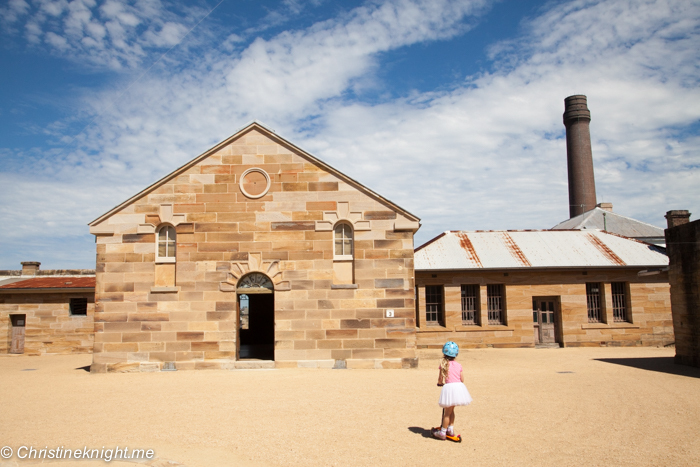 Take a ferry from Circular Quay to Cockatoo Island and step back in time at one Australia’s World Heritage-listed convict sites. Bring a picnic lunch and scooters for the kids, who will also enjoy the free Convict Clues Challenge. 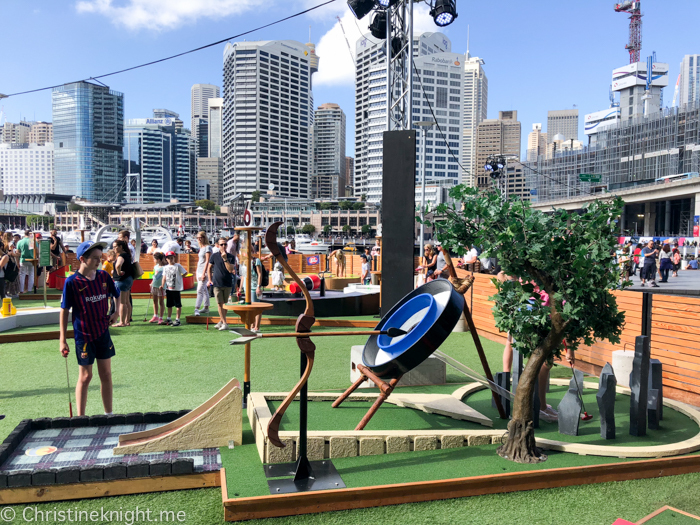 Get more info on a day at Cockatoo Island. Australia’s oldest park is located in the centre of Sydney’s CBD. 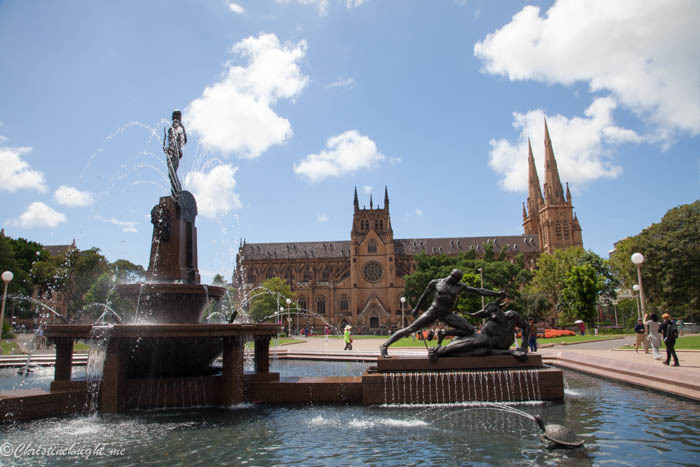 Divided by the major traffic artery Park Street, in the northern section you’ll find the Archibald Fountain and various themed gardens, while the southern section is home to the ANZAC Memorial building and visitor centre and the pool of reflection. Hyde Park is the perfect spot for a picnic or just a rest under one of the many large fig trees that give the park shade. 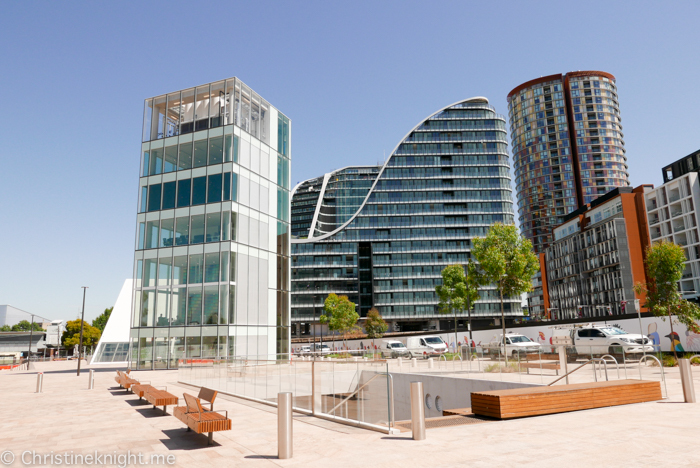 Sydney’s newest harbour precinct is the result of a transformation from a disused container terminal into a stunning 22-hectare waterfront destination. 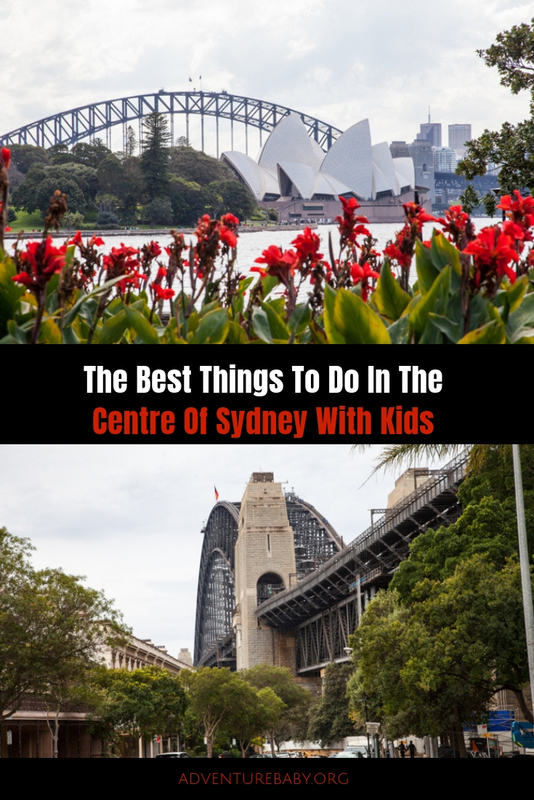 Pack a picnic lunch and sit on the hill facing the Sydney Harbour Bridge, or unleash the child within and roll all the way down to the bottom. Kids will adore climbing the large rocks around the waters edge or scooting up and down the wide path. 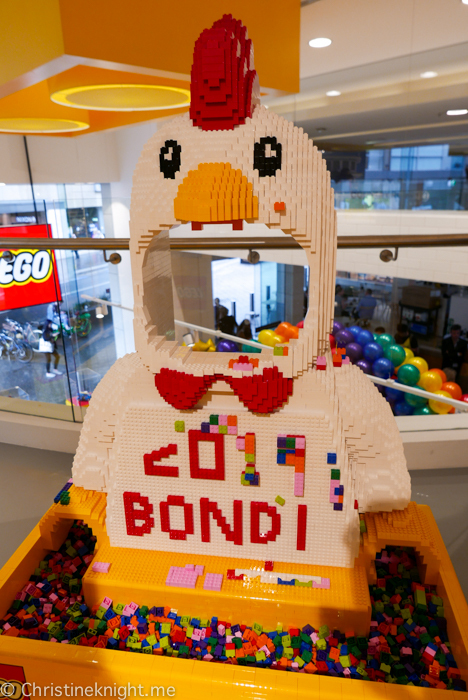 Check the Barangaroo calendar for upcoming events. 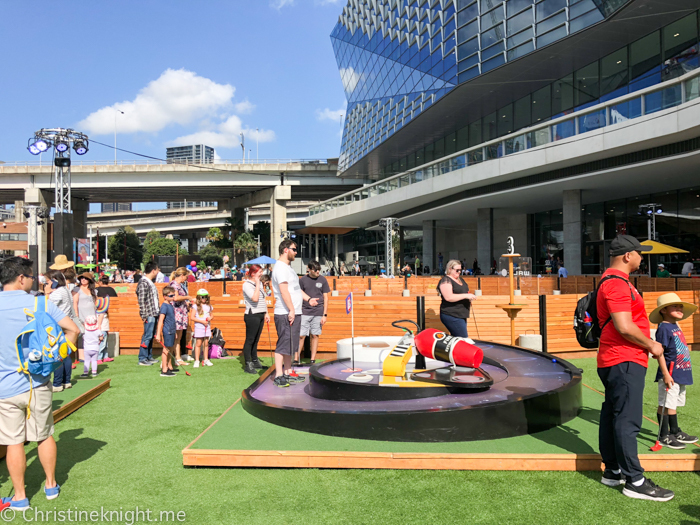 Sydney’s tallest structure and the second tallest observation tower in the Southern Hemisphere is also a great spot to take kids. The Sydney Tower Eye – which you might hear locals call Centrepoint Tower, AMP Tower, Westfield Centrepoint Tower or Sydney Skytower rises 309m in the sky, giving visitors a birds-eye view over Sydney. 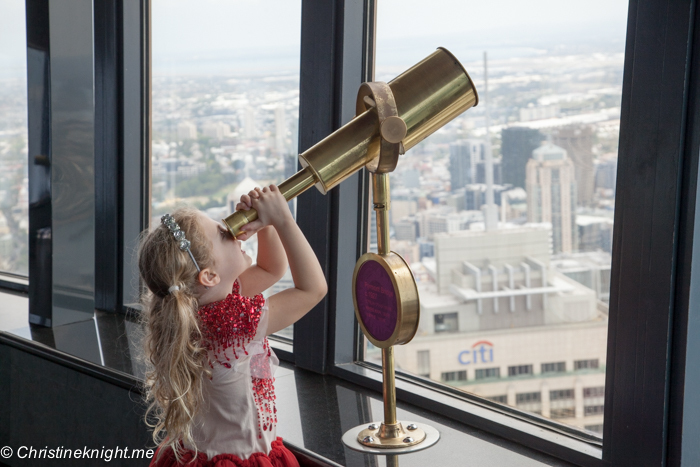 Little ones will enjoy peering out of of the telescopes on the enclosed Sydney Tower Eye Observation Deck while older visitors can step outside as part of the SKYWALK experience (an additional cost). Get more info here. 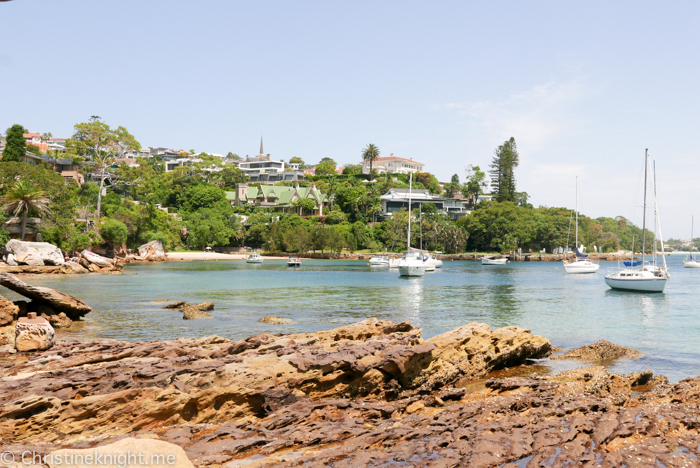 A recreational precinct in Sydney where you’ll find waterfront restaurants, wildlife, tall ships, one of the best playgrounds in Sydney and plenty more to entertain the kids in this one neighbourhood. 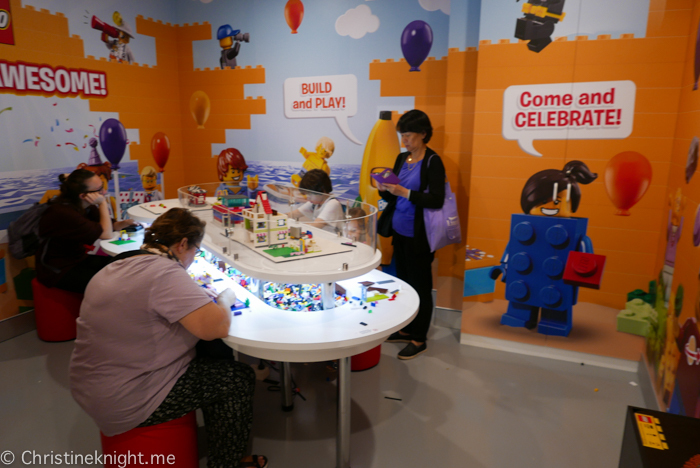 During school holidays there are usually plenty of free activities for kids, too. Check their calendar for upcoming events. 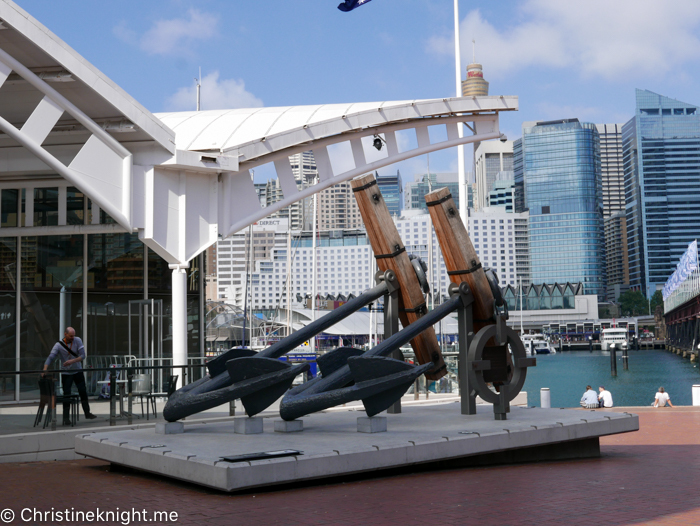 The Australian National Maritime Museum (ANMM) is Australia’s national centre for maritime collections, exhibitions, research and archaeology. Grab a free ticket from the front desk for admission into the permanent indoor galleries and under 5s play area “Mini Mariners”. For entry into our fave spot, the “Kids on Deck” craft area, visiting exhibitions and the ships, a paid ticket is required. 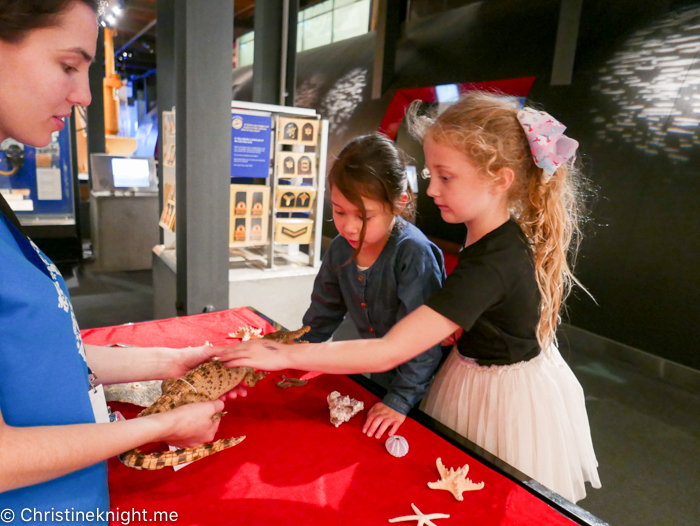 The ANMM runs lots of programs for kids all year round including live shows, “Mini Mariners” for kids aged 2-5 and the cabinet of curiosity that contains all kinds of wonders for kids to touch, like the tooth of a blue whale. Check their calendar for upcoming events and look out for when Bailey, the museum dog, is scheduled to make an appearance. 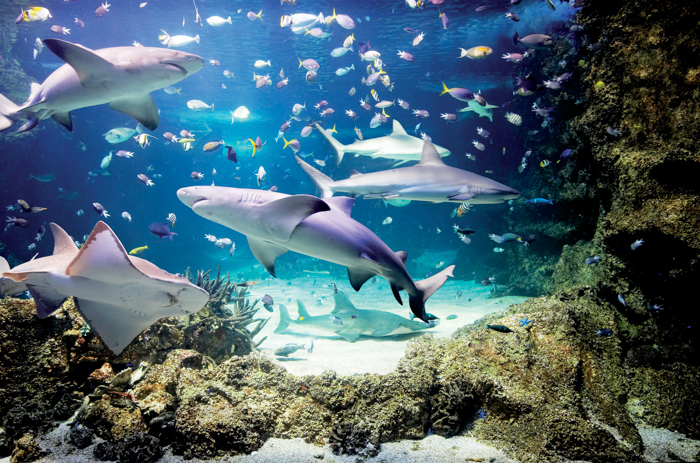 Get up close to a more than 700 species of Australian aquatic life in 12 themed zones at SEA LIFE Sydney Aquarium. An impressive 13,000 animals live in the aquarium in six million litres of water, including dugongs, rays, tropical reef fish and sharks. A popular exhibit is Penguin Expedition, allowing guests to sail past a colony of King and Gentoo Penguins on a boat ride. 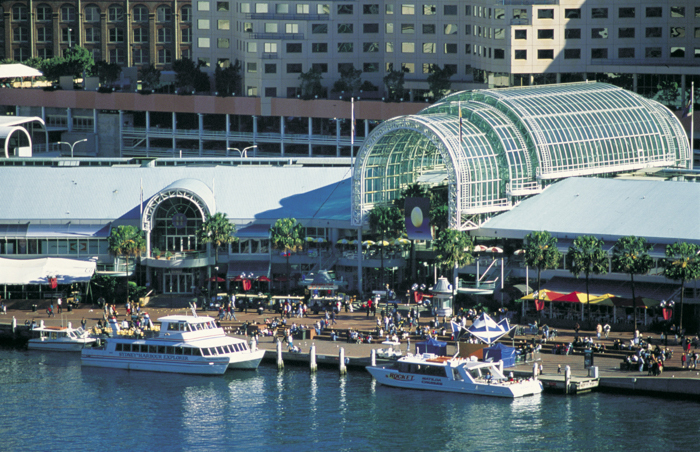 The SEA LIFE aquarium is top kids attraction in Sydney and can get busy on public holidays and school holidays. 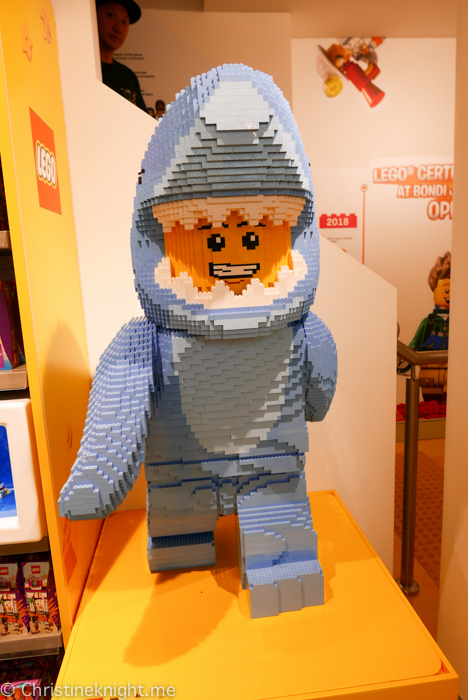 Get more info on Penguin Expedition and on SEA LIFE Sydney Aquarium. Meet iconic Australian animals at Wild Life Sydney Zoo. This small zoo is the perfect size to take young kids, and is easy to navigate with a wide, flat path, perfect for strollers. 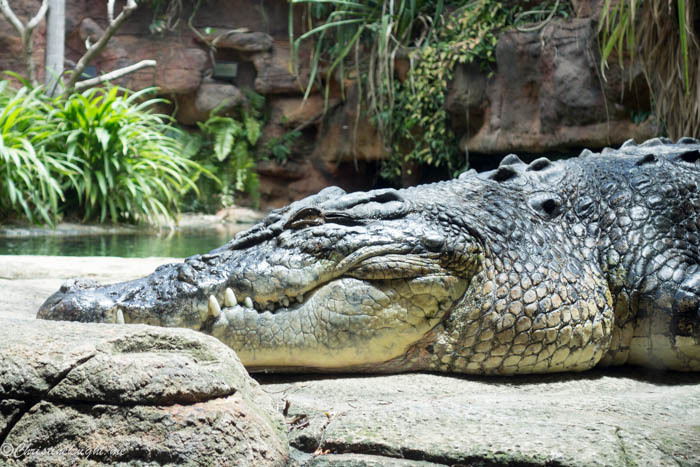 Get up close to the Cassowary, echidna, sugar gliders, koalas and kangaroos, plus a giant croc! 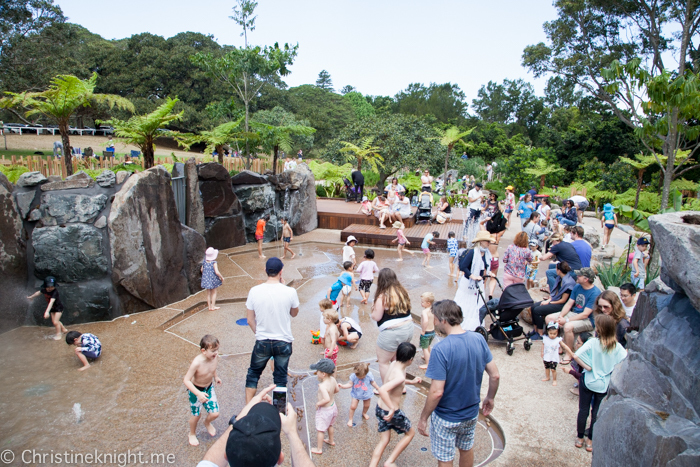 Get more info on Wild Life Sydney Zoo. A wax museum where visitors can take a selfie with Barak Obama in the oval office, or shake it off with Taylor Swift. Aussie legends like Steve Irwin and Ned Kelly are also photo-ready. 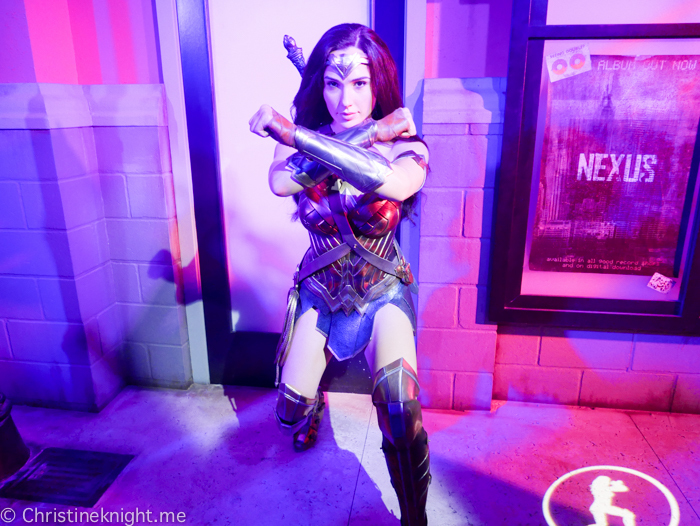 The Justice League exhibition is especially fun, an immersive and interactive experience to make you feel like you’re in the movies with your favourite stars. 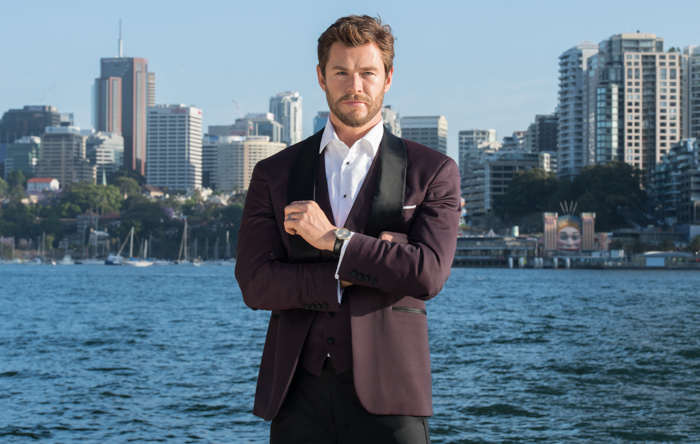 Get more info on visiting Madame Tussauds Sydney here. Image courtesy of Madame Tussauds. A calming place to let kids wander past waterfalls and exotic plants, through pavilions and up hidden pathways. Count the koi carp swimming in the lakes, try Chinese tea in the teahouse and dress up in traditional Chinese costumes* at the Chinese Garden of Friendship. 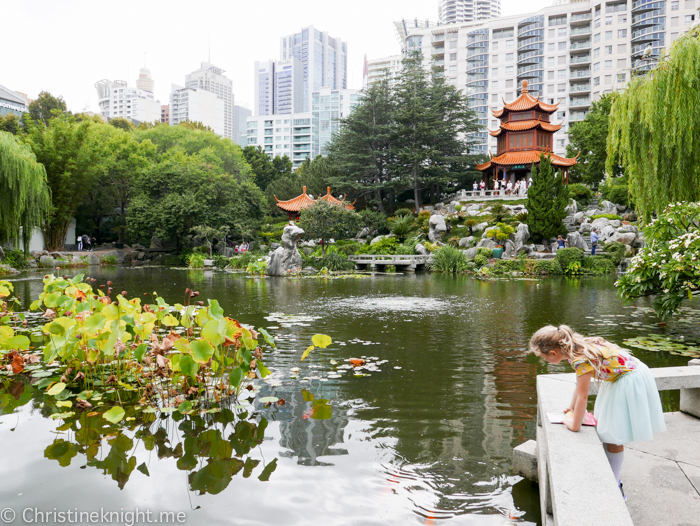 Get more tips on a day at the Chinese Garden of Friendship here. 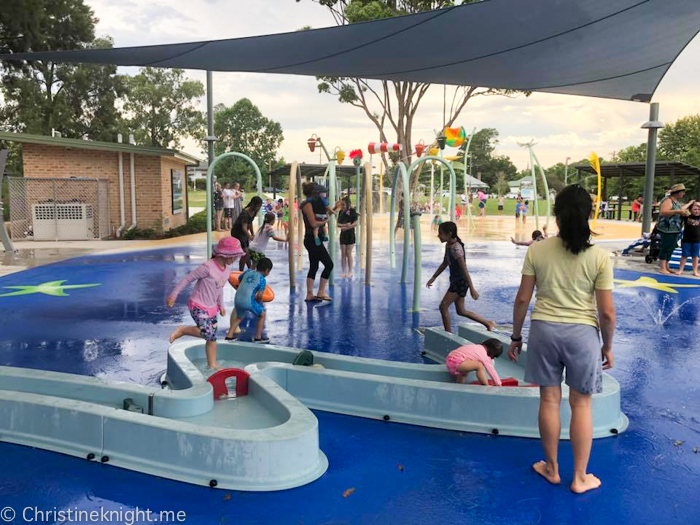 The most centrally-located Sydney playground features a 21-metre flying fox, water play area with pumps and buckets and plenty of slides, climbing structures and swings. 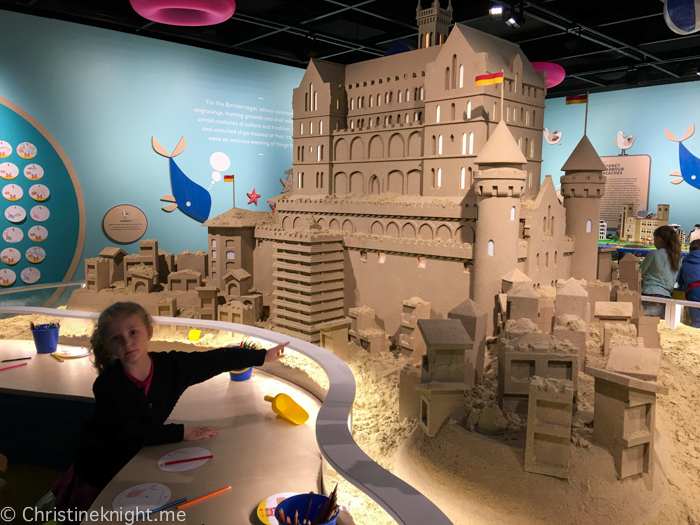 It’s a must for kids visiting the city. 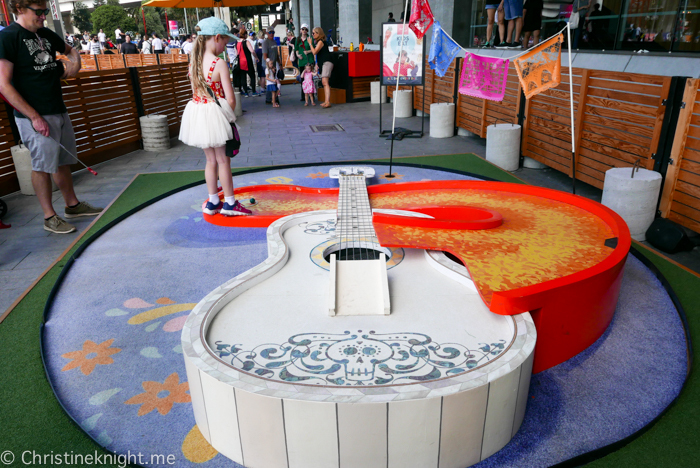 Get more info on the Darling Quarter Playground. Take your pick from carts brimming with dim dum, dumplings, noodles and spring rolls. Yum cha is one of the most kid-friendly dining experiences you can have, and the Fisherman’s Seafood Restaurant is the place to try it. 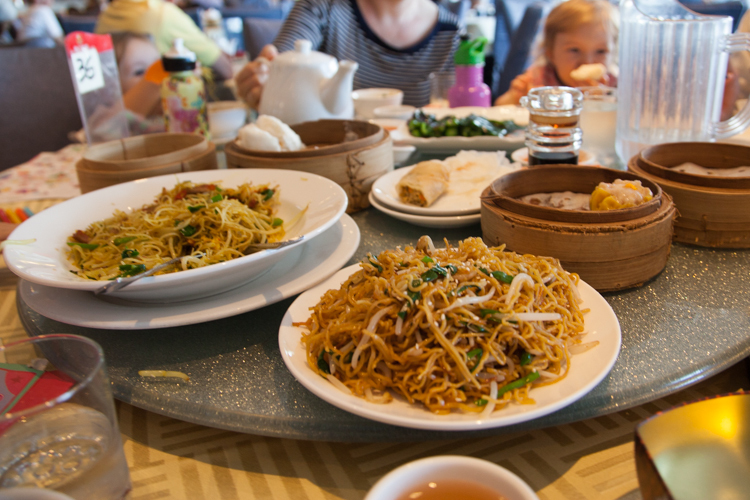 Get more info on Yum Cha at Fisherman’s Seafood Restaurant, Pyrmont here. 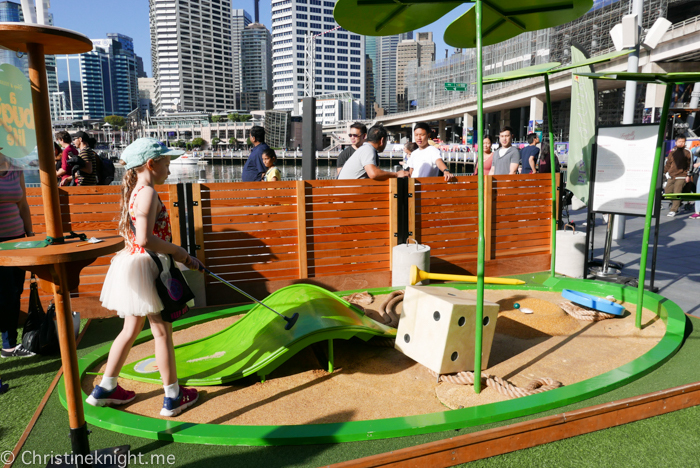 This beautiful playground in Pyrmont has shiny, well-designed equipment, a water play area, sand pit with shade cloth, new, well-maintained bathrooms (including baby change facilities) and a cafe with shaded seating. Street parking is available. Pirrama Park features grasslands, wide avenues for scooting and entry into the harbour for swimming. 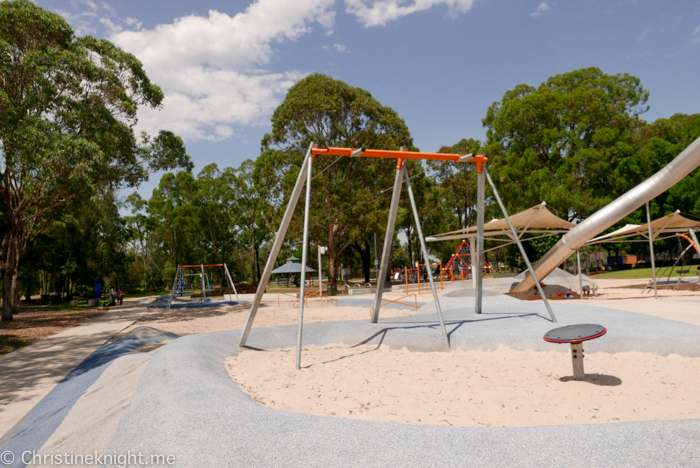 Get more info on Pirrama Park Playground here. 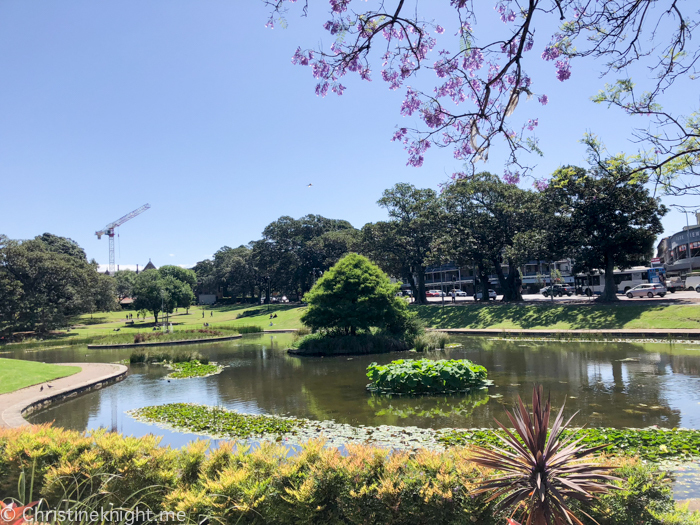 A 9 hectare green space connecting to Sydney University, Victoria Park features a beautiful lake, playground for kids of all ages and plenty of shady trees, right in the middle of the city. Get more info on Victoria Park here. 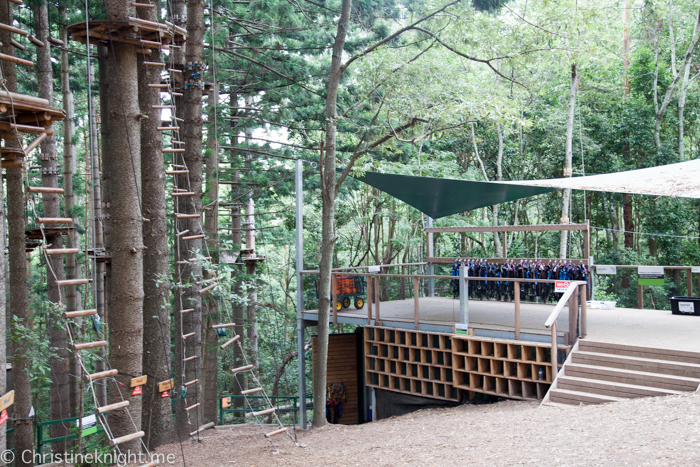 The Fairfield Adventure Playground has been on our list to check out for quite a while. It’s a gem of a spot in South-West Sydney and worth a drive out to if you’re not a local. Especially designed to provide a play space for kids of a variety of ages, the Fairfield Adventure Playground brings the “wow” factor in spades. 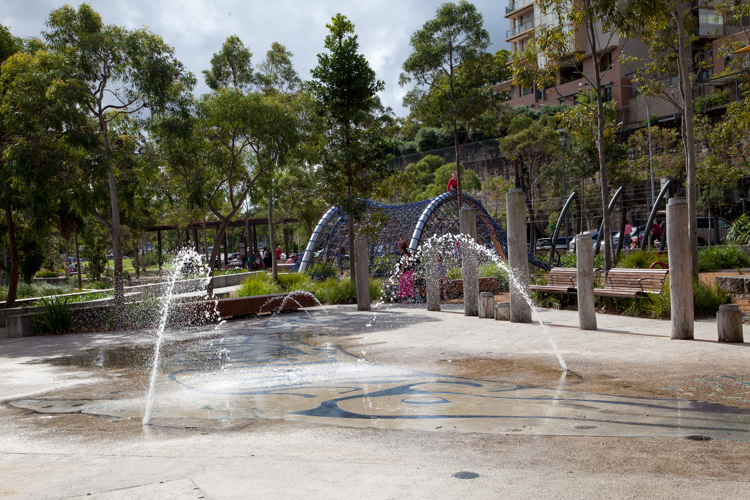 The park opened in 2015 after a $1.4 million council investment. With the star attractions designed specifically for teens, this is a unique playground that provides a much-needed recreational space for older kids. 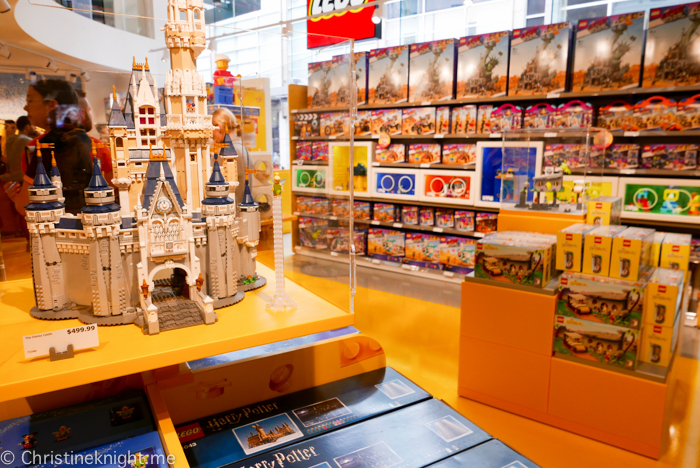 The park is divided into three sections, aimed at three different age groups. Next to the car park and across from the Fairfield Leisure Centre is the main equipment area, designed for older kids. 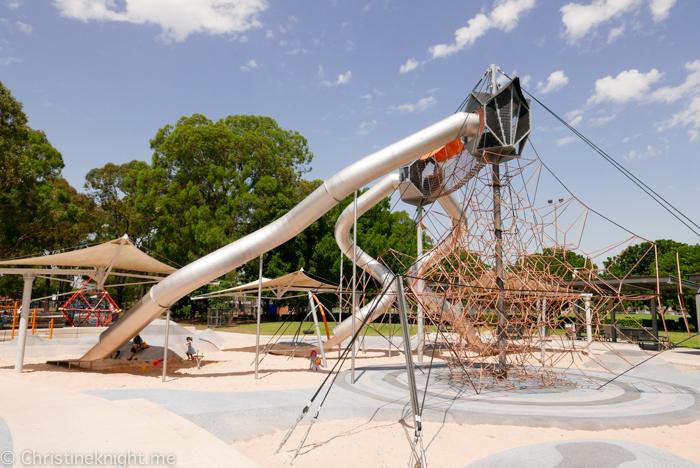 It features an 11 metre high giant climbing net, sky bridge and three-slide combination, one of the tallest of its kind in Australia. The three long tube slides are terrifyingly tall. 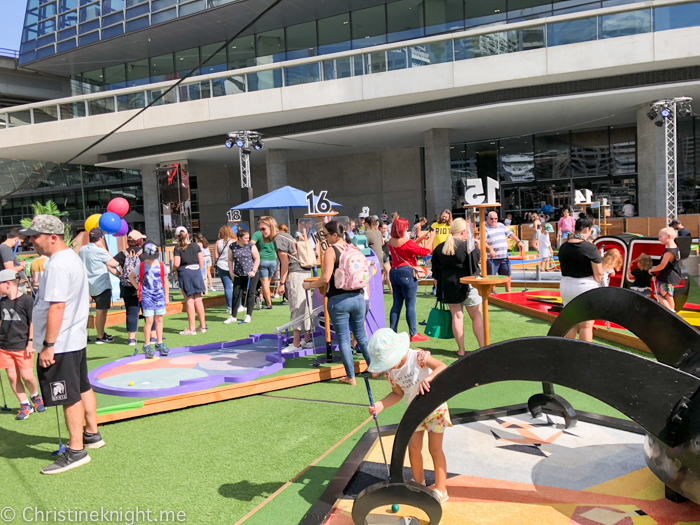 There is also a 33-metre-long double flying fox, a small trampoline swings, a balancing rope, a sandpit and two spinning wheels. 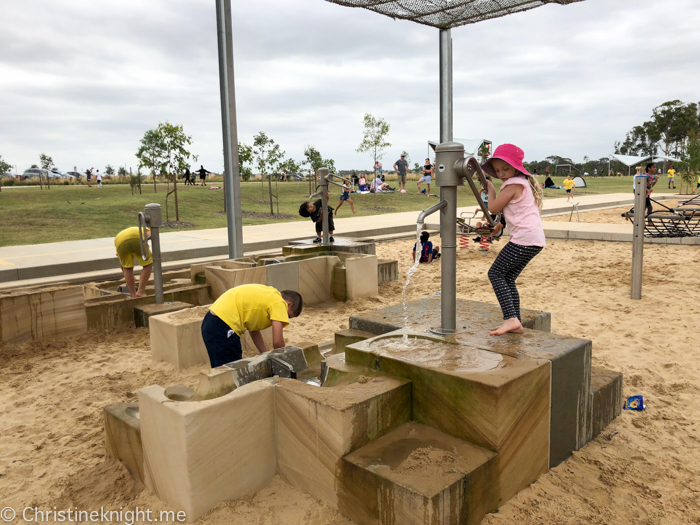 The sand at the bottom of the climbing structure is ideal for younger kids to enjoy playing with if their older siblings are in the mighty silver climbing frame, so bring a bucket and spade. 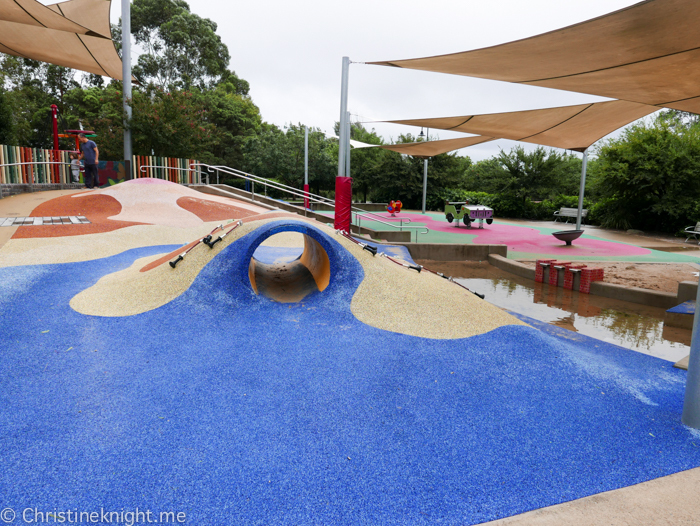 Behind the main play area there is a beautifully-designed nature playground that is perfect for primary school kids. 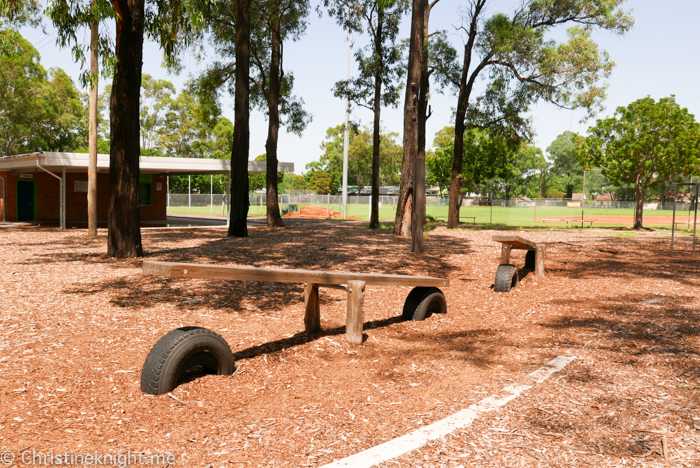 Made with a mix of industrial pieces like tyres and metal, with lots of natural wood, it was inspired by nature and designed to help kids keep active and fit. 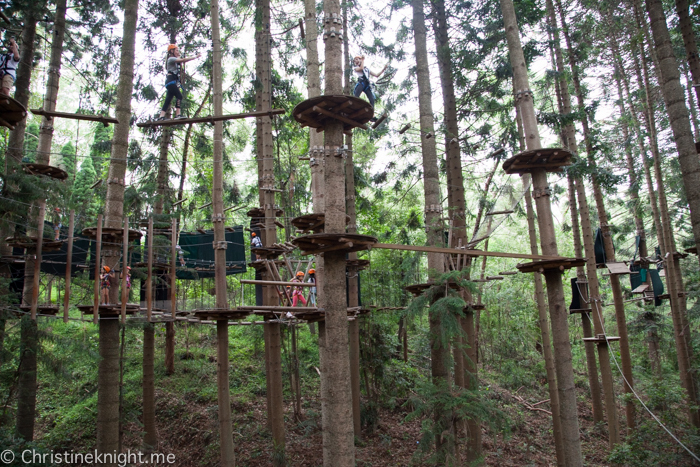 It features suspended bridges and platforms, a double flying fox and climbing frames. Between the nature-play area and teens zone, there is an area that suits littlies too, with a climbing frame and slippery dip and a cone-shaped merry-go-round contraption. With all of the trees and sand around the park there is plenty to occupy the little kids here. Facilities: bathrooms (including a disabled toilet), sheltered picnic areas, bbqs, sporting grounds and a fitness circuit. The park is not enclosed so keep a close eye on littlies. 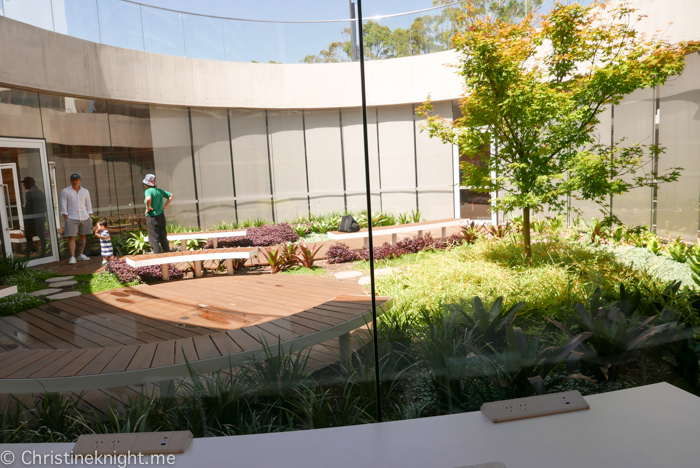 There is not much shade in the main teen area, however the nature playground has plenty of trees. 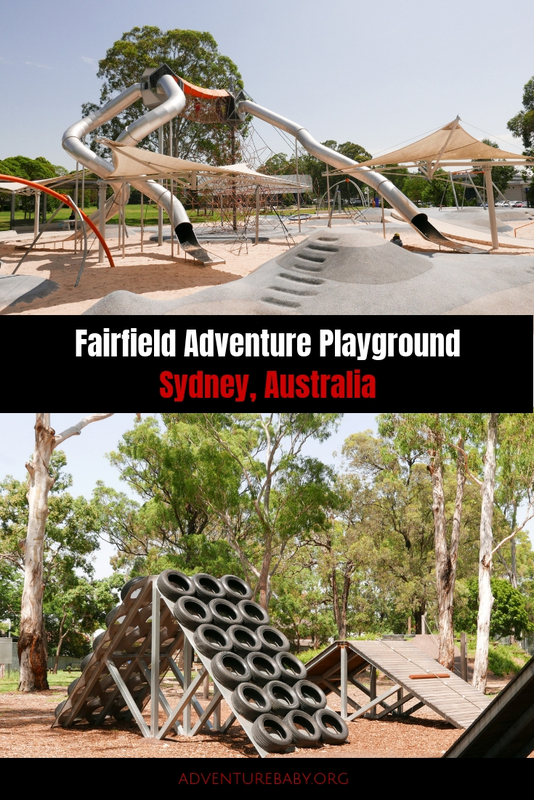 Fairfield Adventure Playground is a 10 minute walk from Fairfield Railway Station, which is on the Sydney Trains T2 Inner West & South and T5 Cumberland lines. The station is both wheelchair and stroller accessible. There is a bus stop nearby and plenty of free all-day parking available. 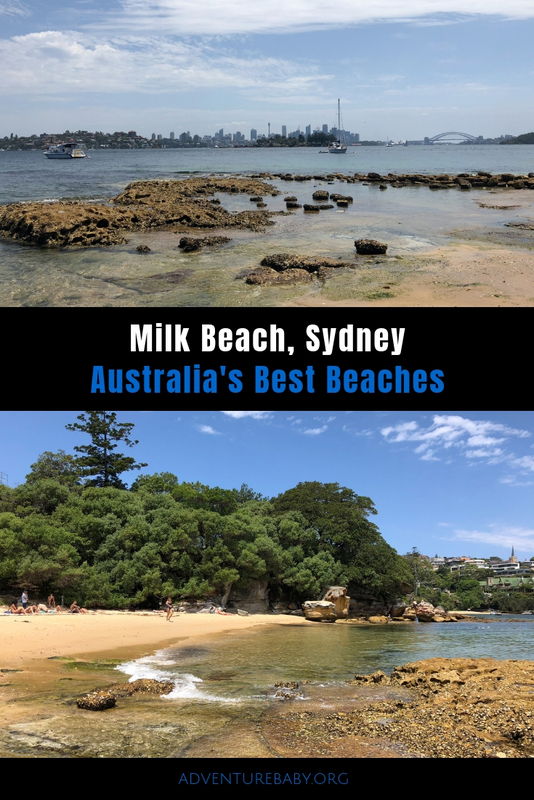 Milk Beach is located at the base of Hermit Bay in the Sydney National Park, in Sydney’s Eastern Suburbs. 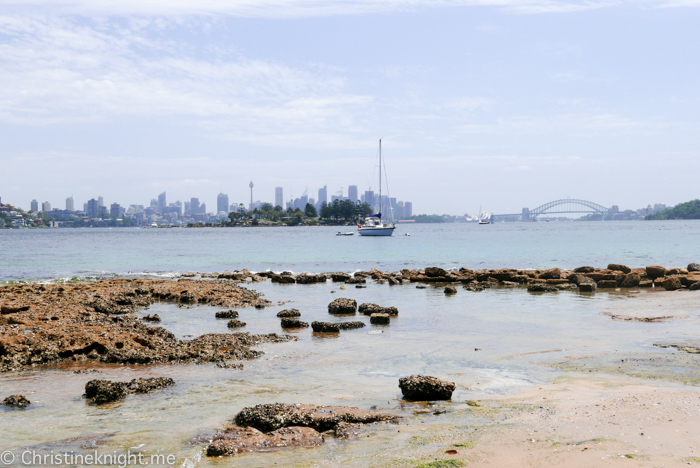 A small, isolated beach, Milk Beach is known for its breathtaking views of Sydney in the distance. The beach has calm water thanks to protection on both sides, its gentle waves making it great for kids to splash around, or for bringing novelty pool floaties. 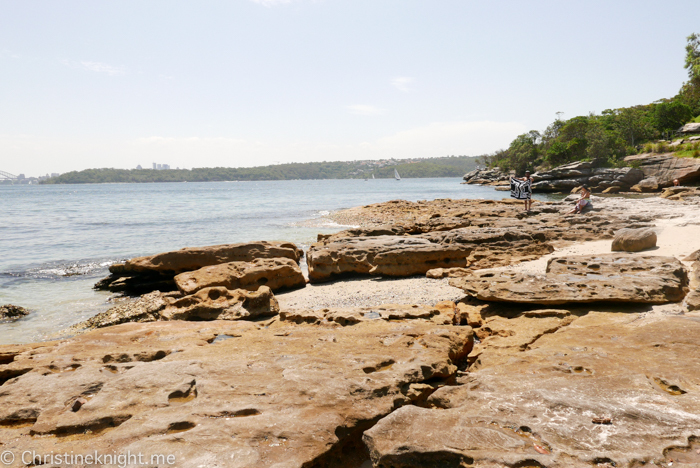 There is a rock shelf to the right of the beach which is often full of sun-seekers but is also great for little rock pools. Watch out for sharp barnacles if you wander this way. 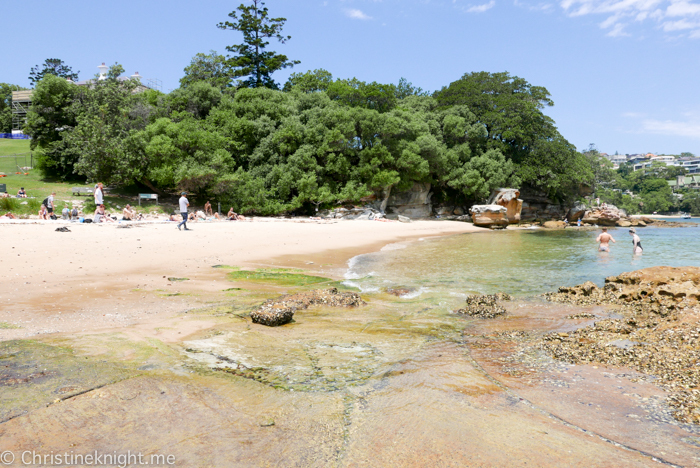 Also to the right of the beach is a large rock pool area that is great for wading in – it is only around ankle deep. 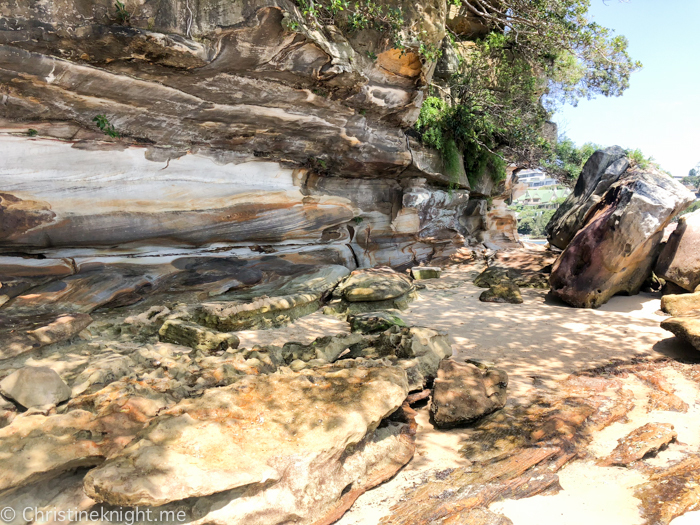 To the left of the beach are rocks that are great for climbing on and around, and a gorgeous wave rock feature. 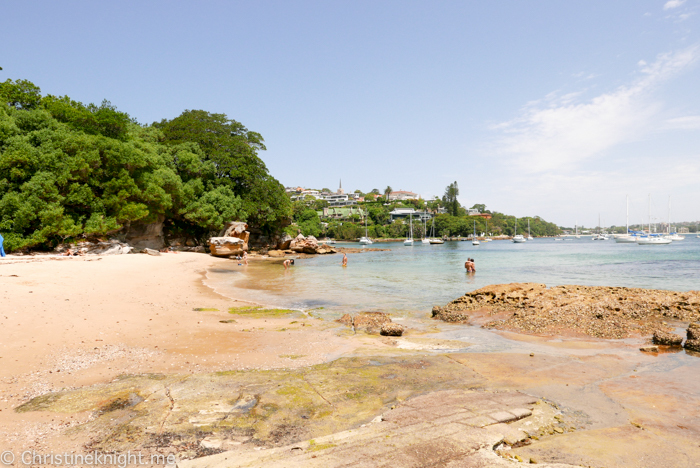 Milk Beach is great for snorkelling, so BYO flippers and goggles. There are no cafe or toilet facilities at Milk Beach so bring a picnic lunch and visit the bathrooms at either Nielsen Park or Shark Beach if needed. There are picnic tables in the park area behind the beach. 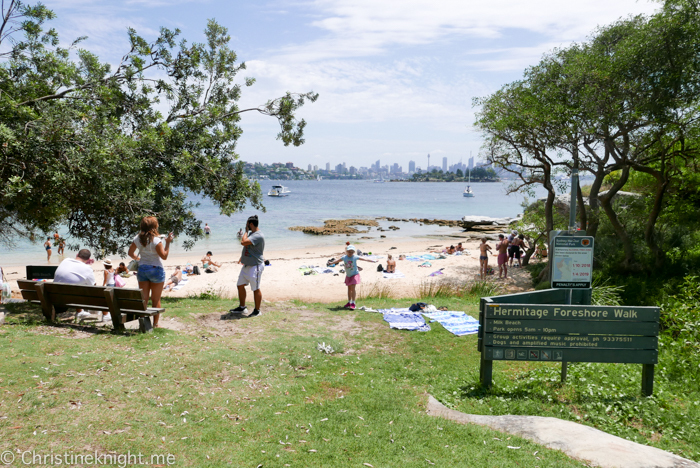 While Milk Beach can be reached by taking the Hermitage Foreshore Walk, the easiest way is to park on Vaucluse Road as near as possible to Strickland House. Walk down the driveway entrance to Strickland House, pass the house and keep walking down the track to the right and you will reach the beach. Parking is limited so if you’re heading there on a weekend, consider taking a bus. The 325 stops nearby. Check out these gorgeous kid-friendly beaches around the world! 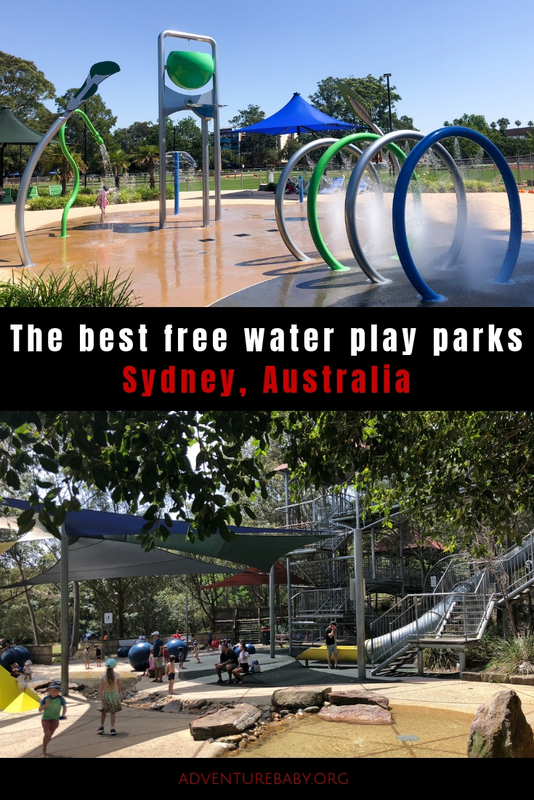 When it’s molten outside, there’s only one thing to do – head to one of these free water parks in Sydney to cool off, pronto! 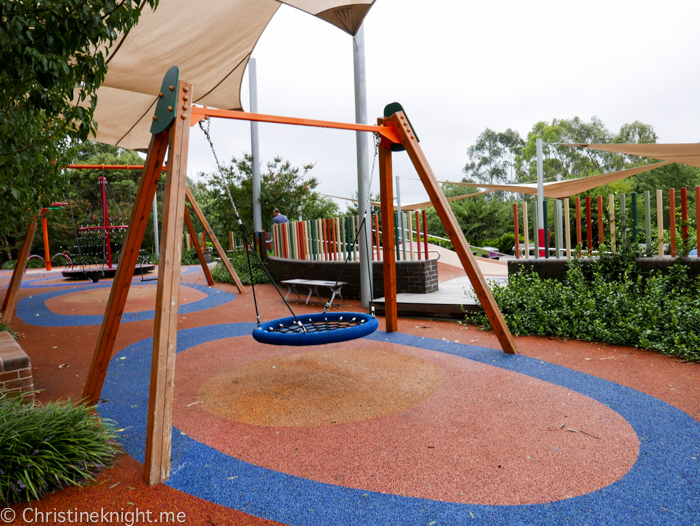 The Canterbury-Bankstown area’s first all-abilities playground opened in late 2018, a joint project between Variety, the Children’s Charity, and the Touched by Olivia foundation. 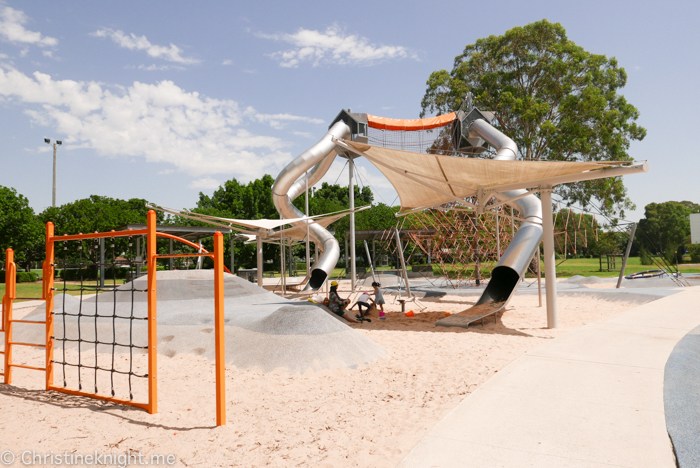 The fully-fenced playground features picnic and bbq facilities, bathrooms, Variety Livvi’s Place includes a sensory zone, flying fox with accessible seats, a climbing net, trampoline, swings with accessible seats, water play area, a climbing tower with ground level play features, two nest swings, roller table, accessible carousel, slides, a nature trail, sand play and a lizard log carved from wood. Get more info on visiting Variety Livvi’s Place here. 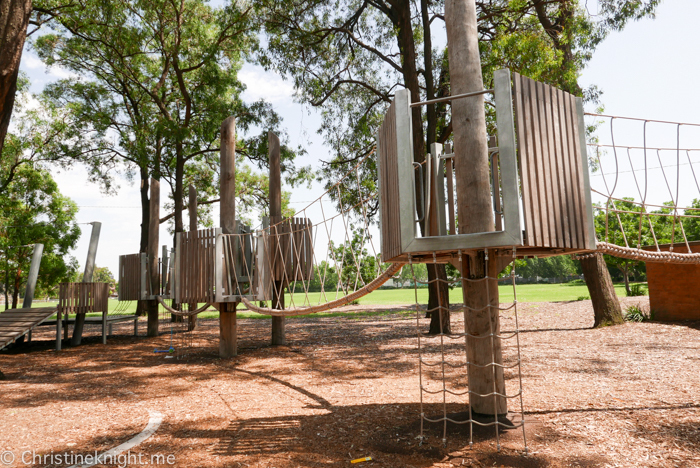 A great spot to take kids in summer, Putney Park features climbing equipment for kids of all ages plus two shallow pools connected by a pebble creek and a large climbing web. Read more about Putney Park here. 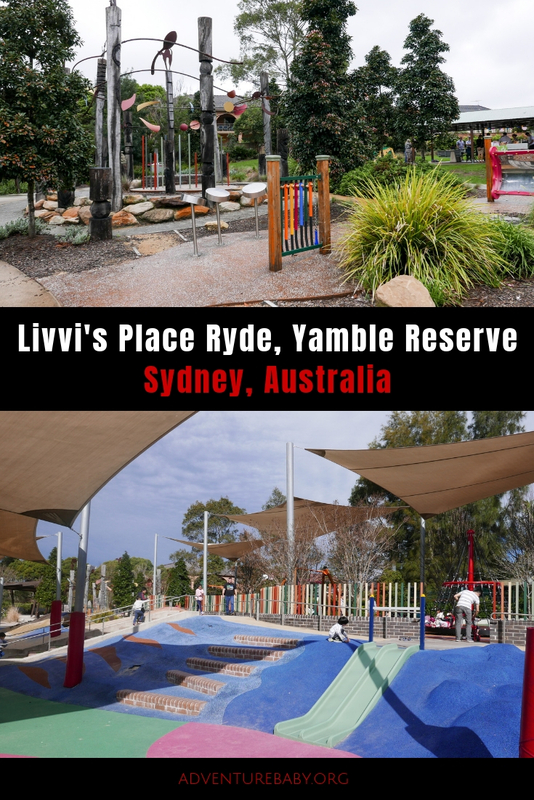 Livvi’s Place is a full-enclosed playground located in Yamble Reserve, Ryde. 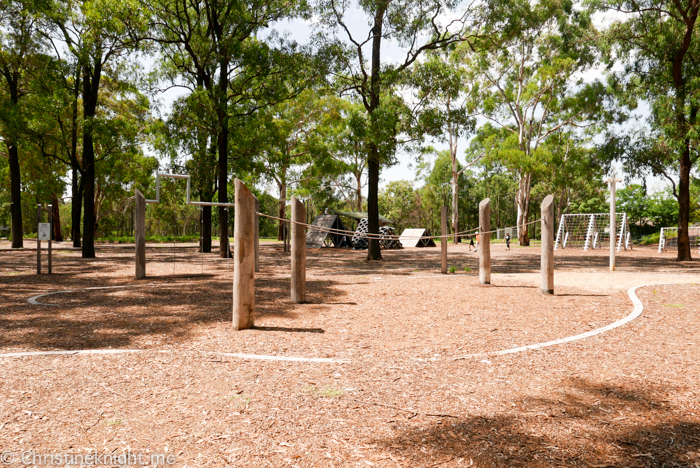 The reserve features formal gardens, deciduous trees, picnic shelters, large green grassed areas, barbecues and the excellent all-abilities playground, Livvi’s Place. 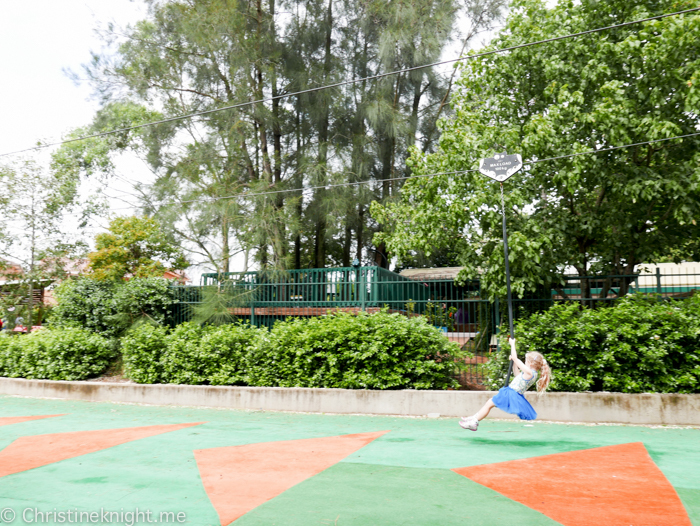 Livvi’s Place playground includes a water pump play area, dual flying fox, nest swing, musical instruments, climbing frame and tunnels. Read more about Livvi’s Place Ryde here. 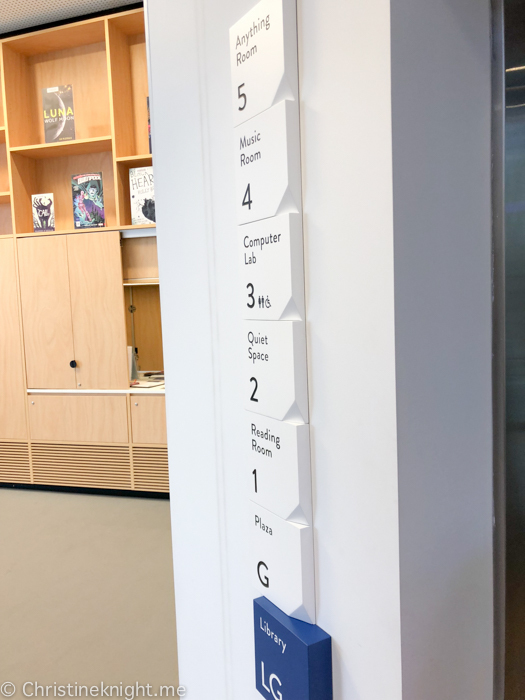 The underground Green Square Library opened in late 2018. 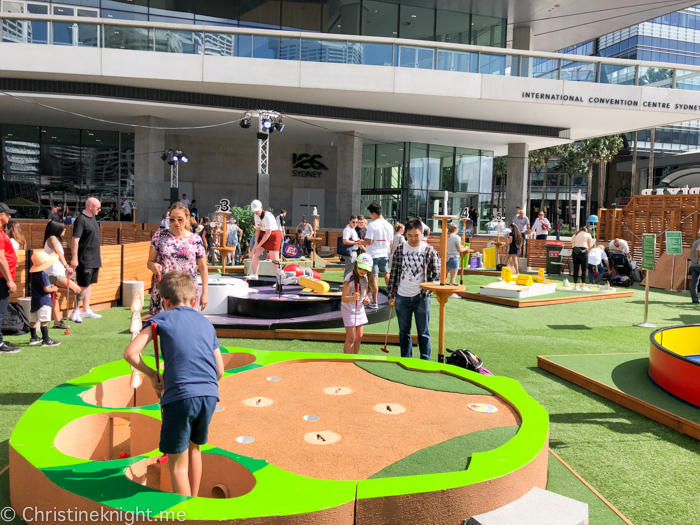 It features a water play area in the outside plaza, public artworks, dedicated kids zone with books and DVDs, vintage game stations for rent, a piano for hire, a sunken garden, kid-friendly cafe and take-home makerspace kits for kids aged 5+. 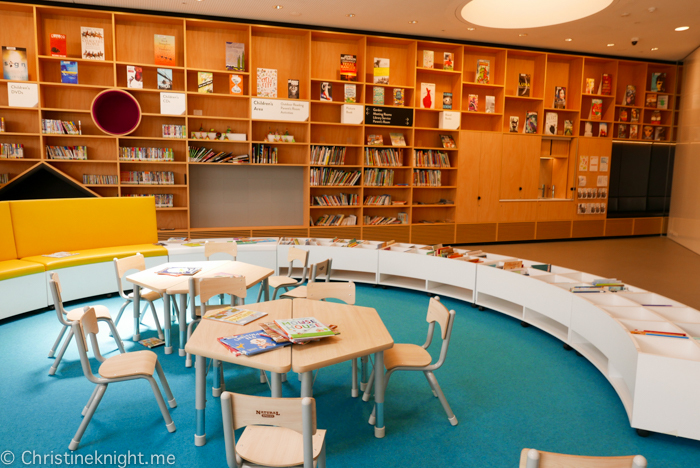 The library also runs school holiday workshops and story time sessions. 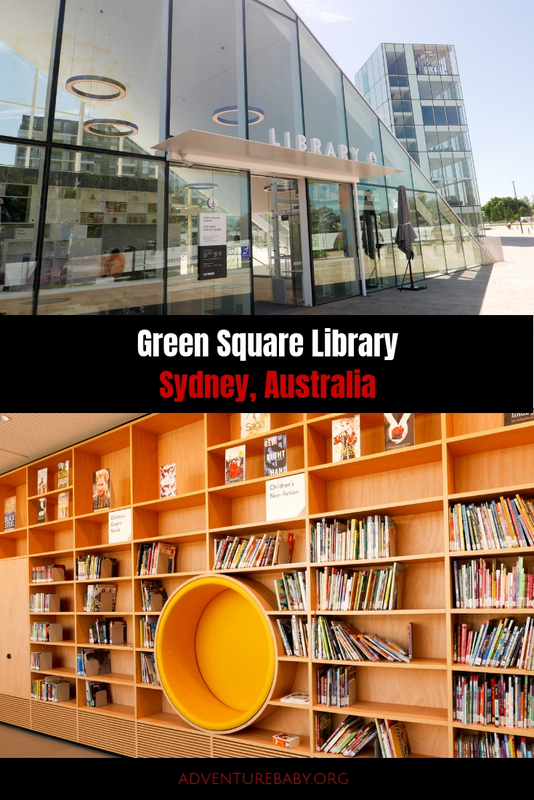 Get more info on Green Square Library here. 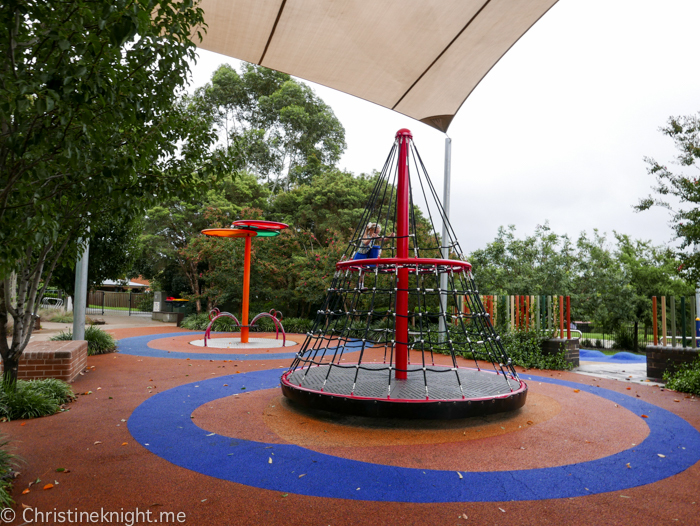 Bigge Park in Liverpool, a south-west suburb of Sydney, received a $5 million upgrade a few years back. 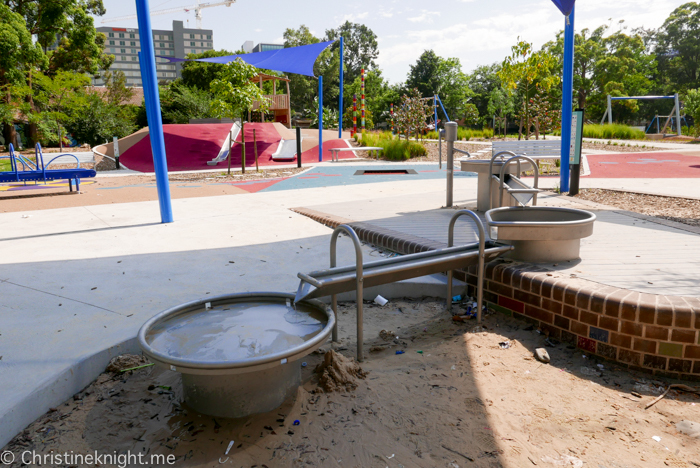 The upgrade included a fantastic free water play area, much of which is covered by shade cloth, and an excellent water tipping bucket. 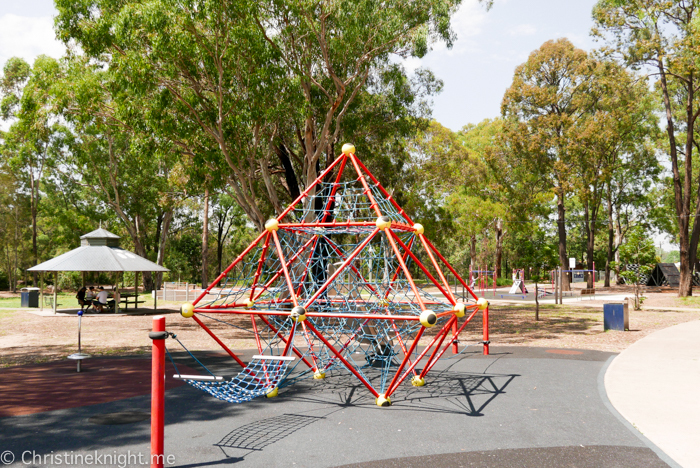 Bigge Park also includes an accessible playground, a regular playground and climbing equipment. Get more info on visiting Bigge Park. 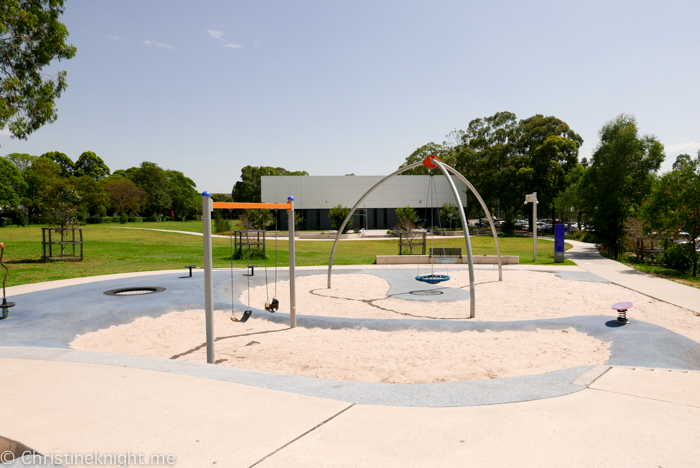 A lovely park with seperate playgrounds for kids of different age groups, a water play area and BBQ facilities. Read more about visiting Mary O’Brien Reserve here. 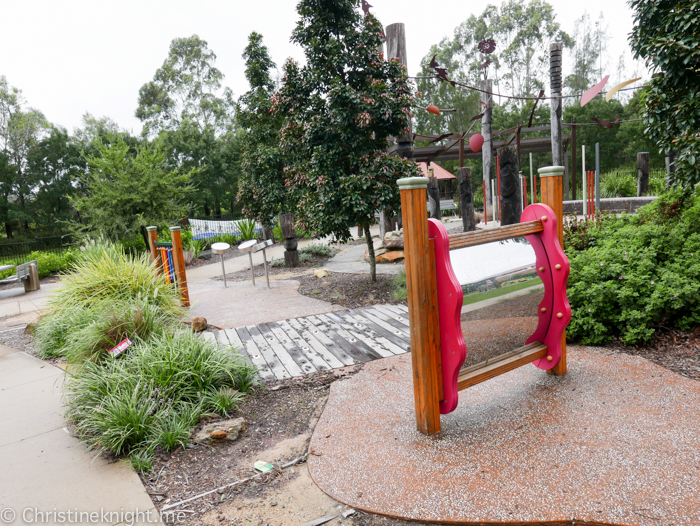 The Ian Potter Children’s Wild Play Garden opened in Centennial Park in October 2017. 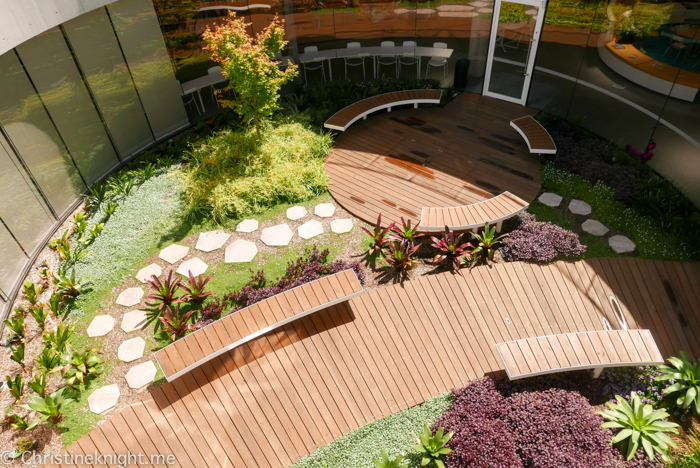 The 6500sq m nature-based play area features a 7m-high climbing tower, wooden bridge, water play area and an open play area where kids are encouraged to use sticks and natural materials to make their own shelters, artworks and games. 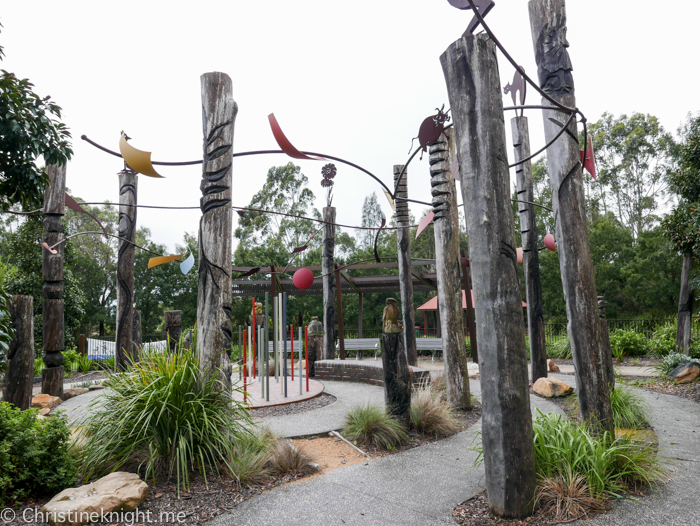 Get more info on visiting the Ian Potter Children’s WILD PLAY Garden here. 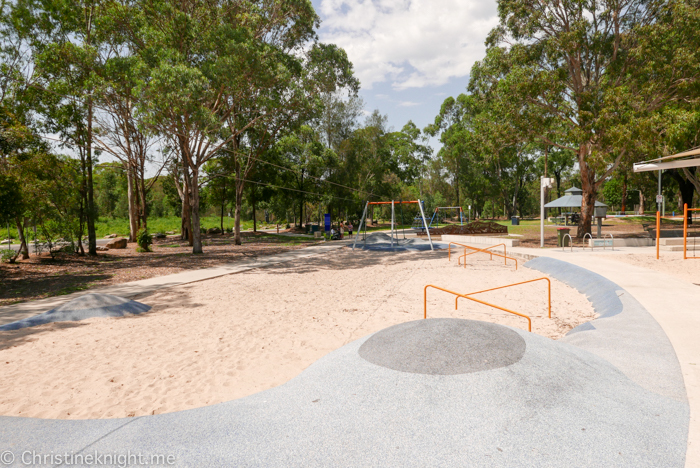 A gorgeous spot for families with one of the biggest playgrounds in Sydney set among three hectares of rolling hills and big open spaces. 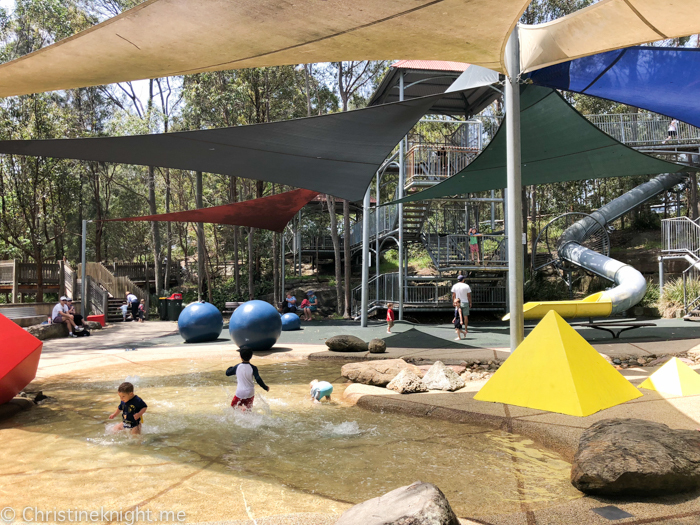 The playground caters for kids of all ages and abilities with a fantastic water play area (the largest outdoor water play facility in NSW), moving play elements, high and steep landforms and hidden and confined spaces. 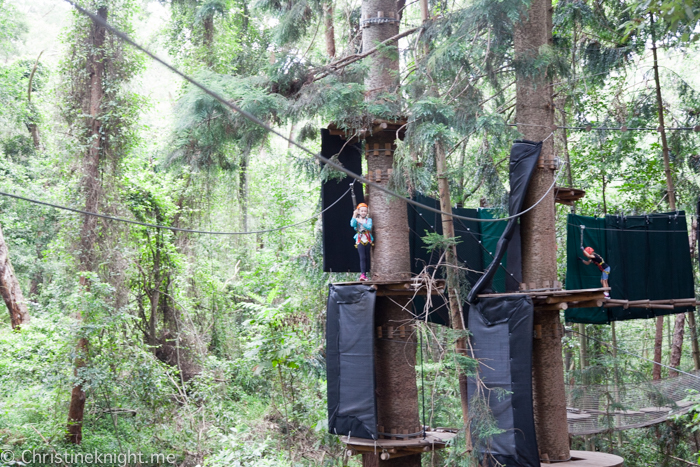 There’s a double flying fox, mega-swing, tunnel slides, scramble wall, spinning play disk, Viking swing and a multi-level tree house to be discovered and enjoyed. 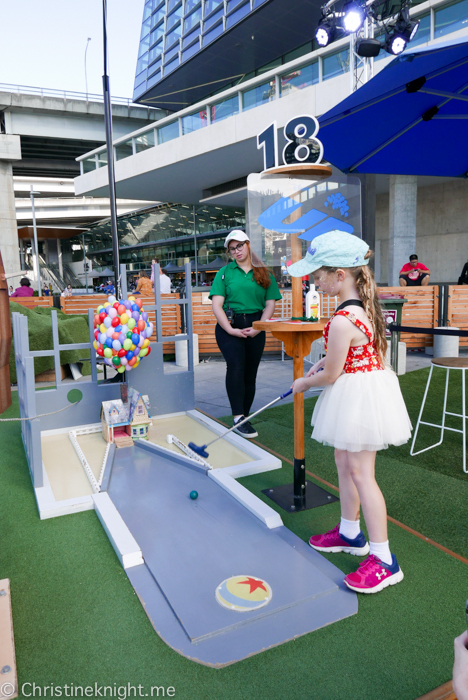 Get more info on Blaxland Riverside Park. The site of the 2000 Sydney Olympic Games is now a monument to sporting legends and a peaceful parkland. 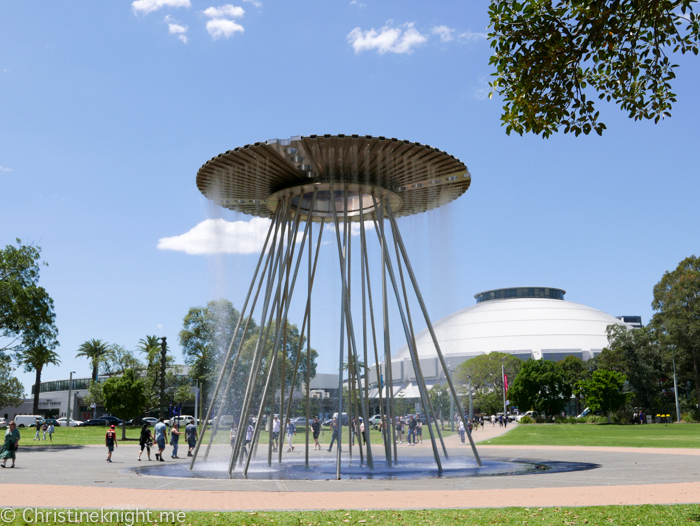 Visit Cathy Freeman Park to see the Olympic Cauldron that was used throughout the games and has been transformed into a water feature that kids love to play under in summer, located next to a shady playground and vast grassy field. 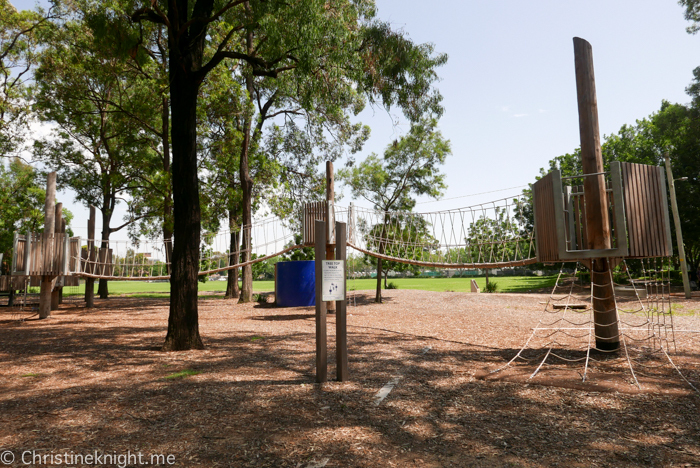 Get more info on Cathy Freeman Park here. 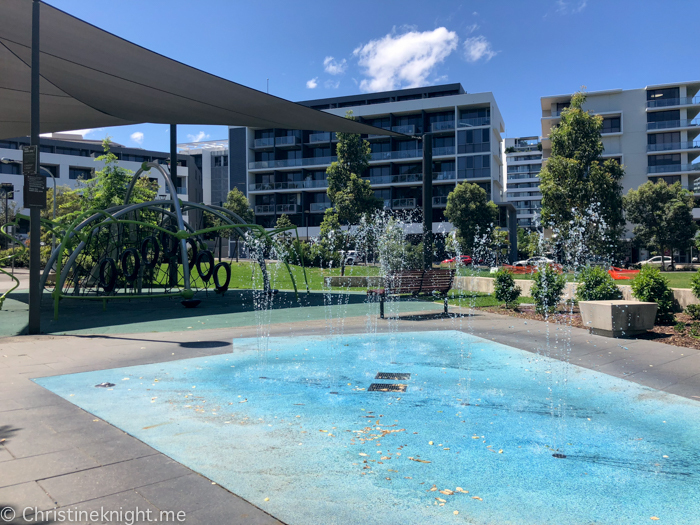 The Plough and Harrow park is part of the massive Western Sydney Parklands that spans across the suburbs of Abbotsbury, Eastern Creek, Prospect and Horsley Park. The entire parklands covers 5,280 hectares, and includes several playgrounds, events centres and sporting venues. 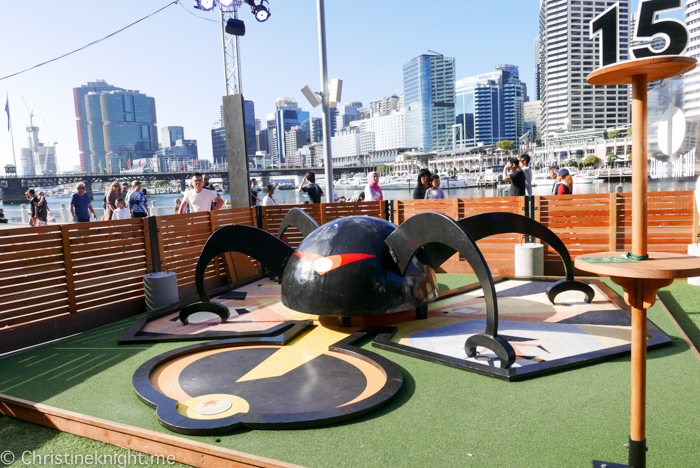 The playground features include a hamster wheel, flying fox, sand pit, little kid play area, large climbing spiderweb, basket swing, big kid swings and a water pump feature. Get more info on the Plough and Harrow here. 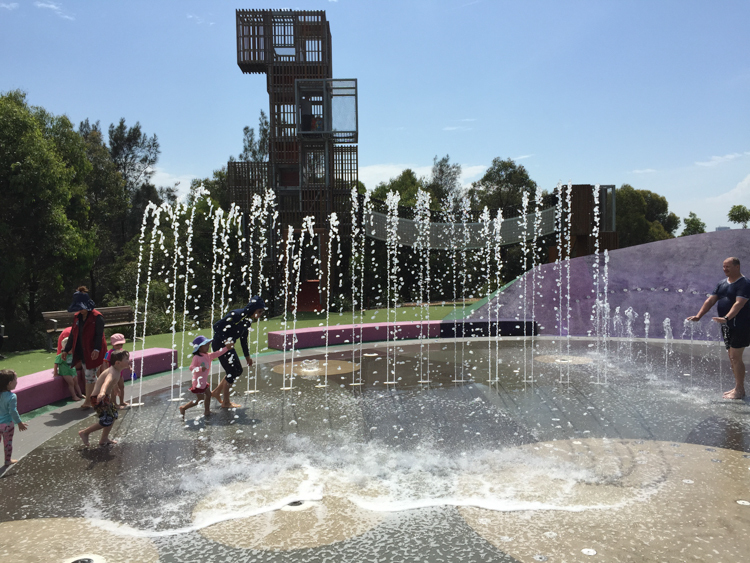 Our go-to when it’s hot, this playground has an undercover water play area that is a fave of ours. 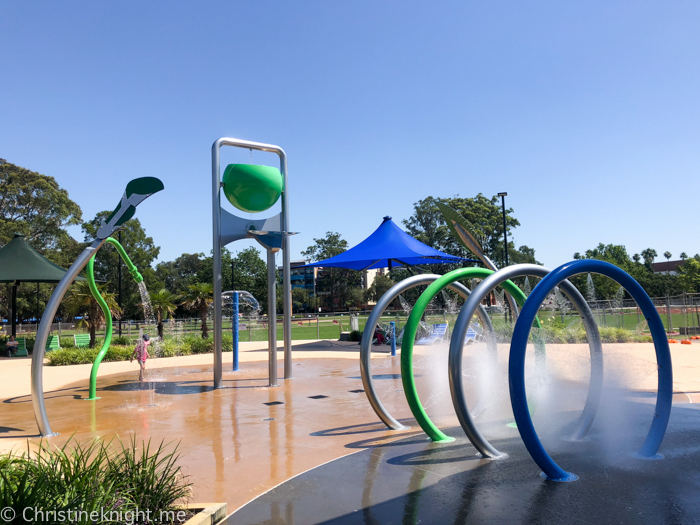 The splashpad features a large variety of water jets and water guns. 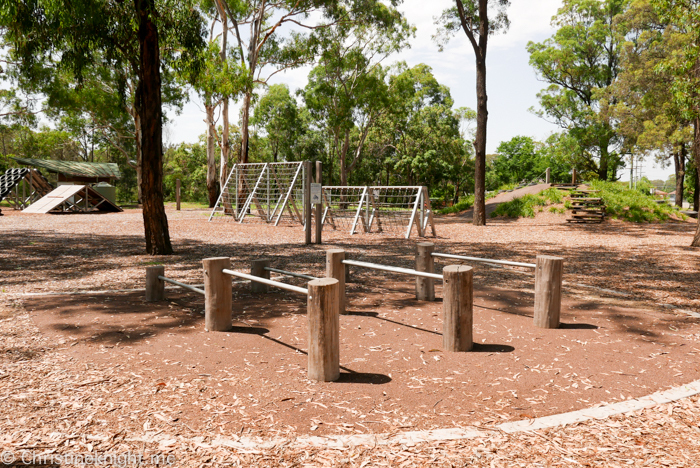 James Ruse Reserve Playground also features climbing structures and is close to cafes. 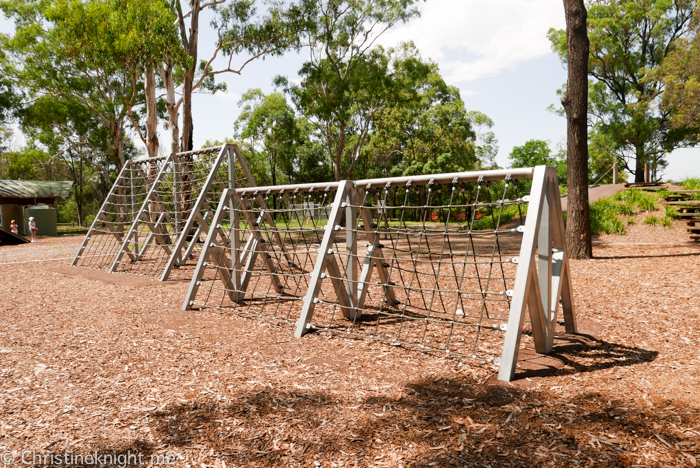 Get more info on the James Ruse Reserve Playground here. 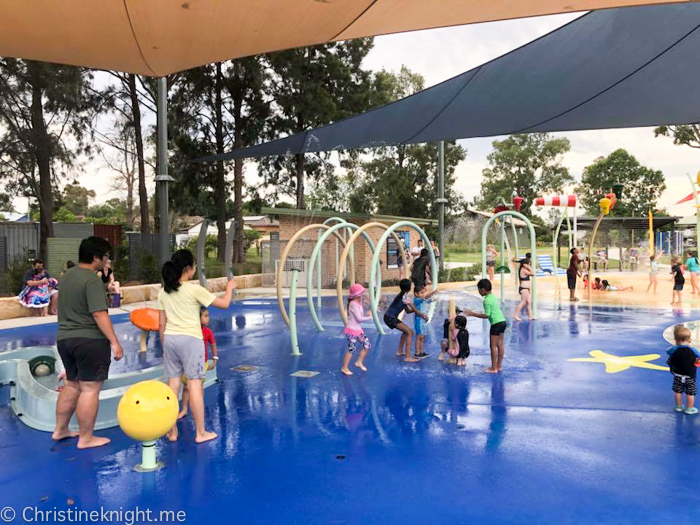 Opened in 2017, Bungarribee is a 200-hectare recreational space that features walking and cycling tracks, 20 barbecues, 13 picnic shelters and a playground with a climbing tower, flying fox, plenty of slides, swings and a water play area. 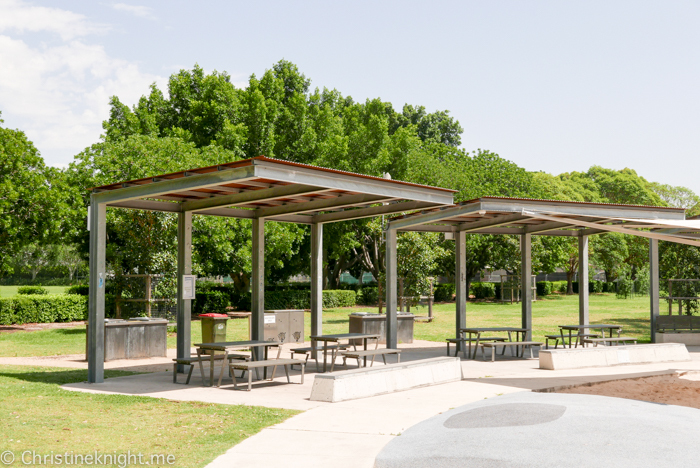 Since reviewed, shade sails have been put up in the park. 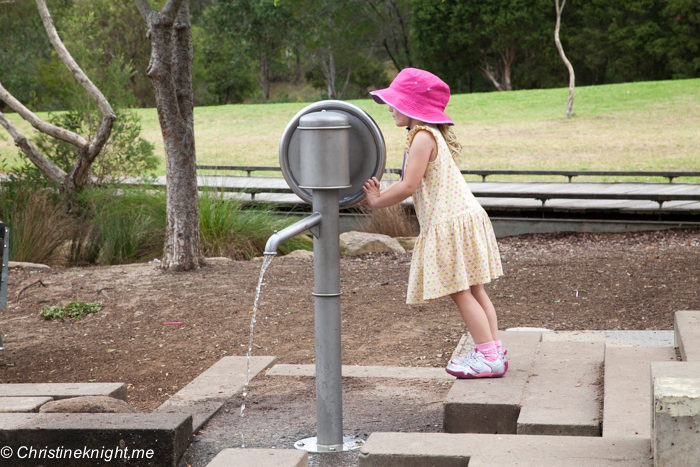 Get more info on visiting Bungarribee Park. 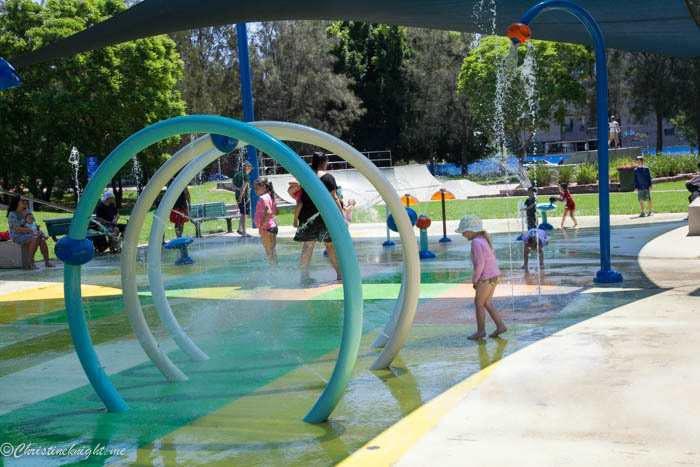 Opening in December 2018, Curry Reserve brings much-needed water play to Western Sydney. The water park features a large splash pad with 36 play features for all inclusive, accessible fun, suitable for kids of all ages. 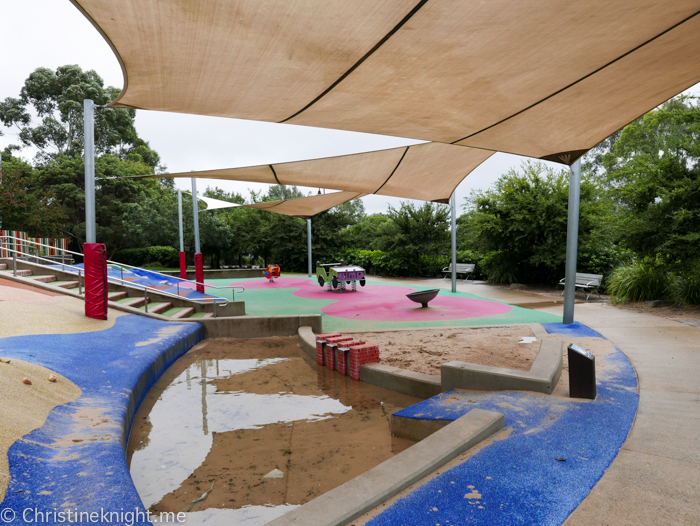 The low water play canal area is great for little kids, there is a shade cloth covering much of the water play area, and there’s shade and seating for parents supervising. The park is accessible for wheelchairs. 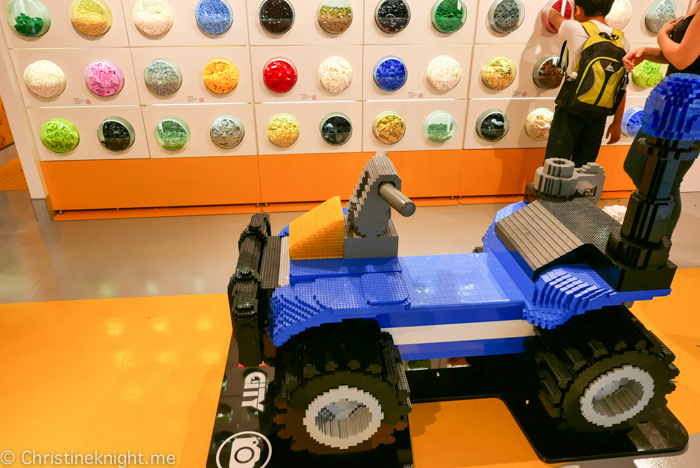 Thanks to Have Wheelchair Will Travel for reporting on the park and pics. 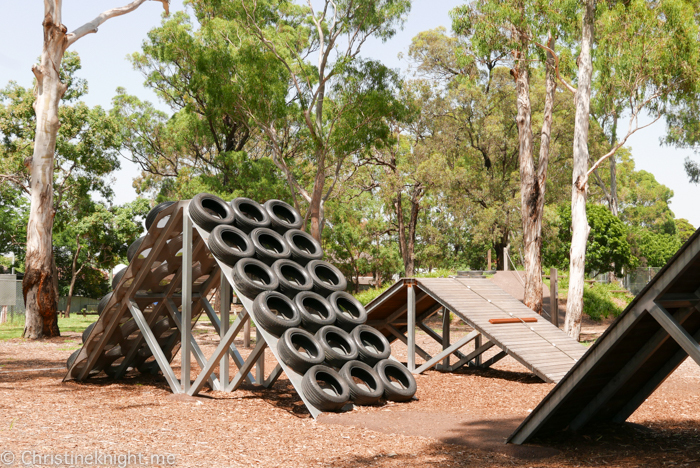 Livvi’s Place is a full-enclosed playground located in Yamble Reserve, Ryde. 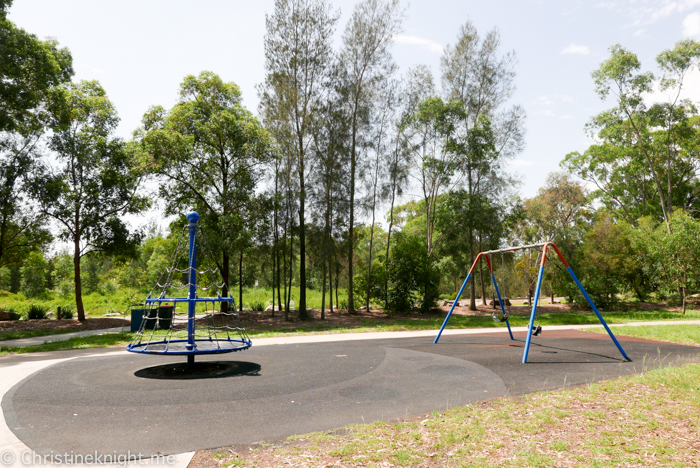 The reserve features formal gardens, deciduous trees, picnic shelters, large green grassed areas, barbecues and the excellent all-abilities playground, Livvi’s Place. 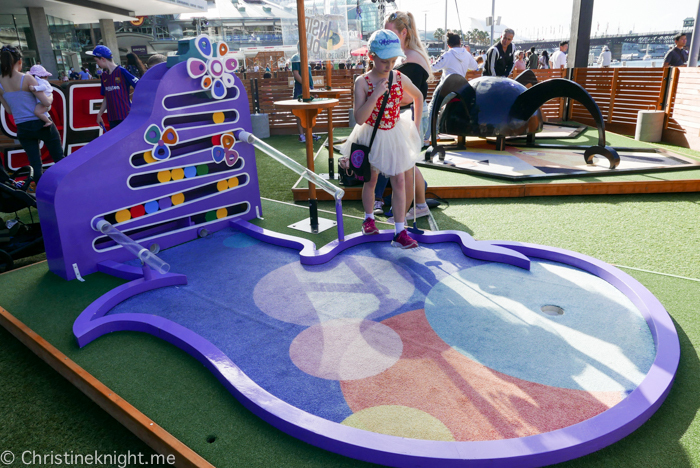 The all-inclusive playground was designed to allow children of all abilities to play, learn and socialise, with a combination of traditional and purpose-built play equipment and landscaping. Livvi’s Place includes themed play zones, designed to stimulate and calm children with physical, intellectual and emotional disabilities, as well as give them some sensory features, too. 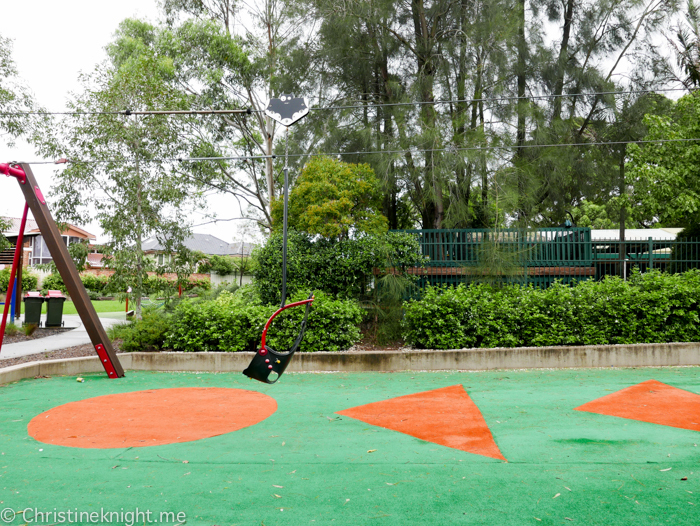 The playground features a dual flying fox, accessible carousel, climbing net, water pump and play feature, tunnels, musical instruments and a nest swing. There are two free parking areas. Visitors with mobility restrictions are better off with the one off Clermont Avenue. Lastly, there is a fully accessible amenities block which includes both child and adult change tables. 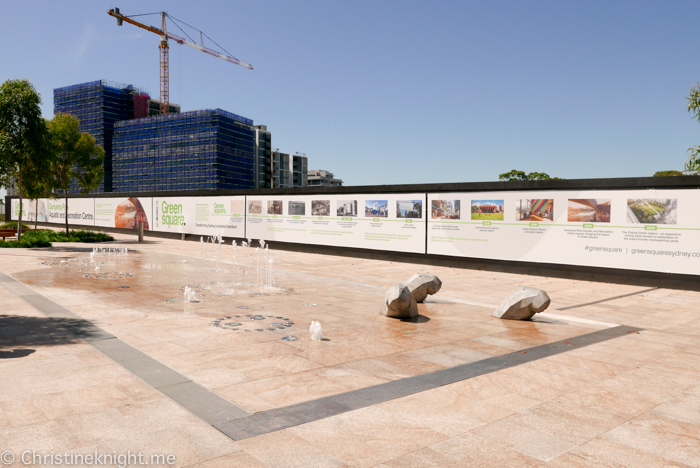 Green Square, located in Sydney’s inner-south, is on its way to becoming Sydney’s most densely populated suburb. 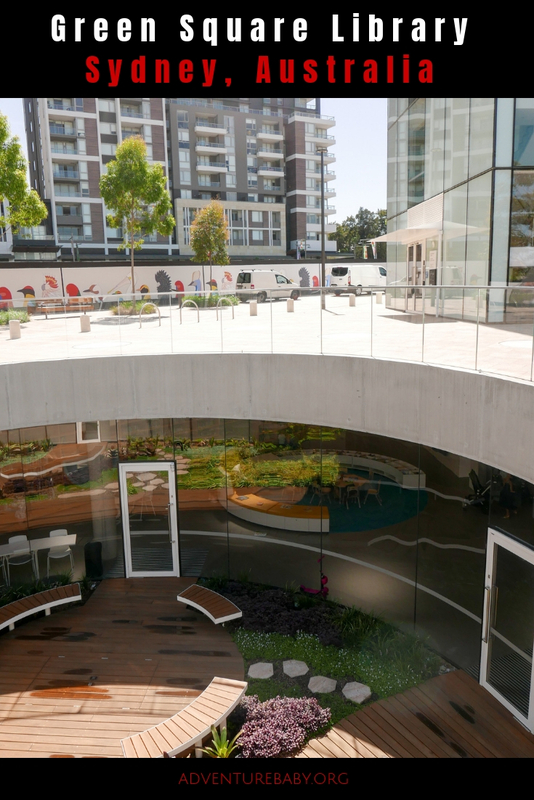 As 90% of its residents live in apartments, a library located underground is a genius solution to the eternal issue of space. 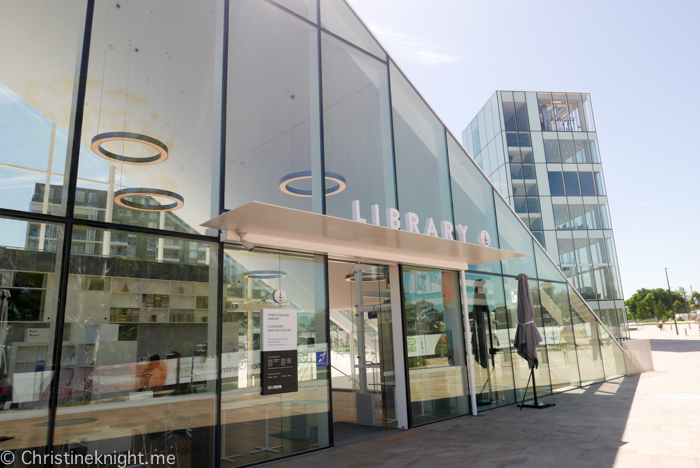 The new Green Square Library was designed by architect Stewart Hollenstein. 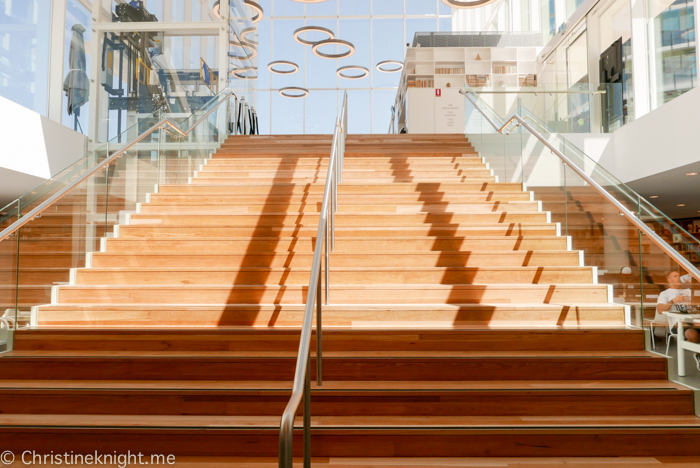 It has a stunning subterranean design, with a glass pyramid entry that juts up above the ground and leads down into the main library level. 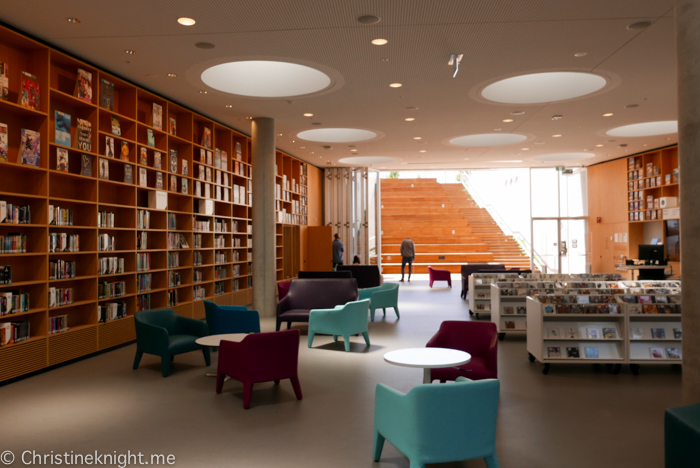 The library is bright and light, thanks to a central sunken garden, amphitheatre and large circular lights. 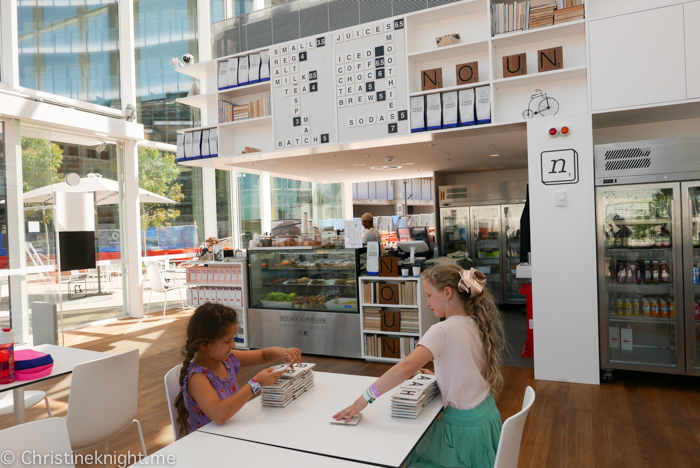 We loved the kid-friendly cafe at the entrance, where Jenga and ceramic letter tiles are on offer for kiddies to play with and caffeine is on offer for the adults. 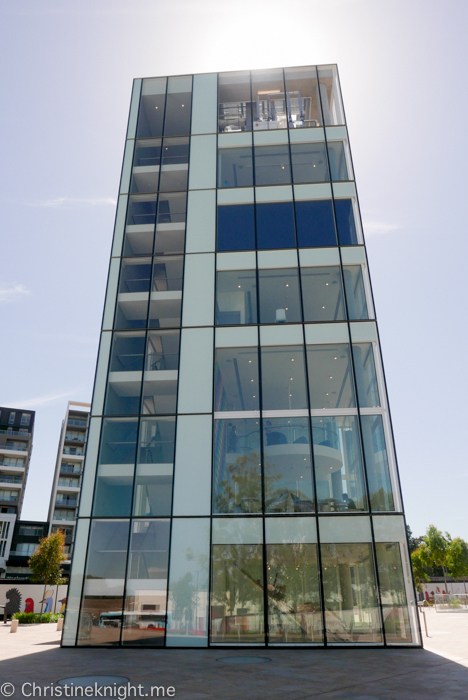 A 6-storey glass tower contains five levels of additional public resources, including a music and piano room that is available for hire. The library also offers the public a new collection of acoustic, electric and bass guitars that can be used for free, plus classic video game consoles pre-loaded with games. Choose from Atari, Sega, Nintendo and the C64Mini and let your retro self run wild. If robotics or electronics are your thing, ask the library staff about the take-home makerspace kids, suitable for ages 5+. The kits have the ability to create instruments with a modular synthesiser kit or turn a banana into a touchpad to play online games. The library also has its own computer lab which offers workshops in areas like coding, robotics, 3D printing, Adobe Creative classes for beginners to advanced in InDesign, Illustrator, Photoshop and Premiere Pro. Kids will benefit from the computer lab too, with the library’s school holiday and after-school programs where they’ll get to create with the makerspace collection or learn programming with MIT Scratch. 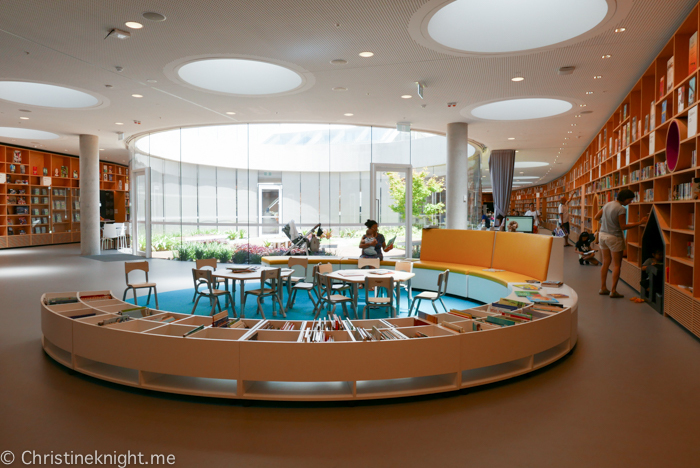 Down in the lower ground level of the library there is plenty of space to browse the books, particularly for kids. 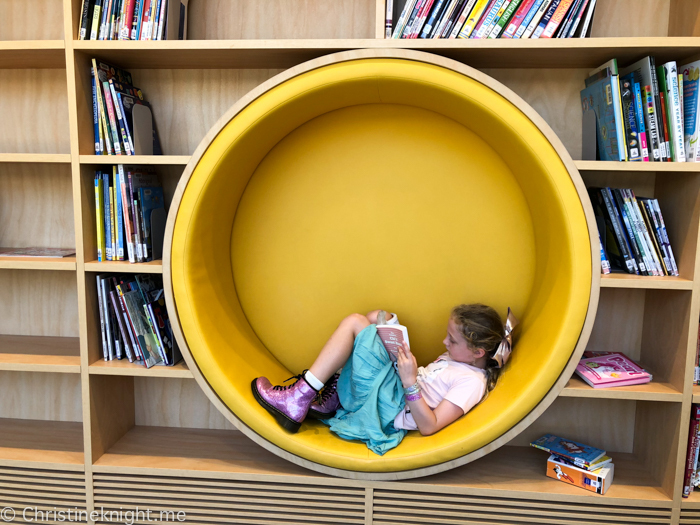 The littlest library patrons have been given their own dedicated space to read, play and create and the little wall nooks are cute and enticing. 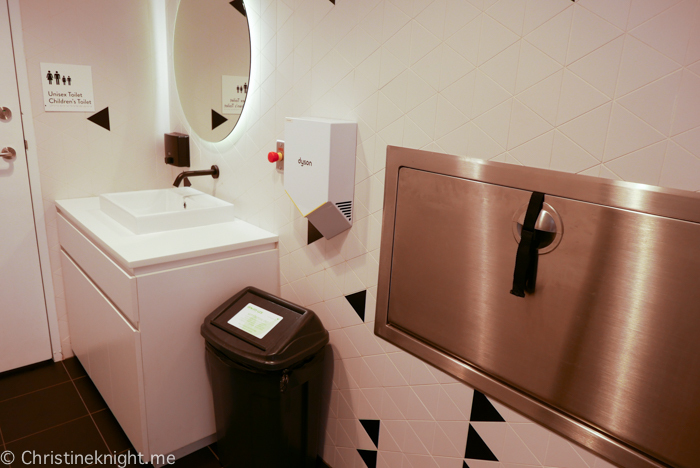 A family room is available with change table, padded seat and child and adult toilets. The sunken garden is also a hit with the kids. 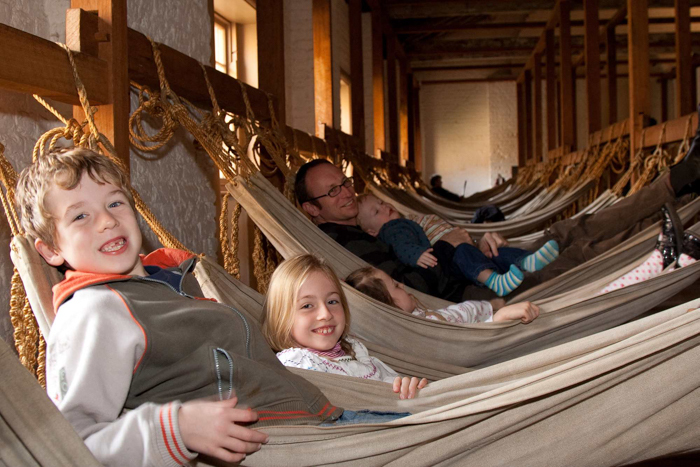 If kids aren’t your thing, try the reading room in the tower. 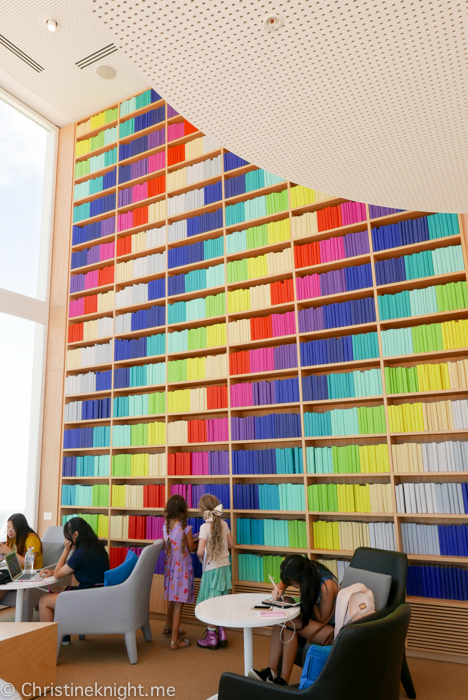 With its insanely colourful and need art installation on the wall, you’ll be hard pressed to focus on your book and not take pretty pictures instead. 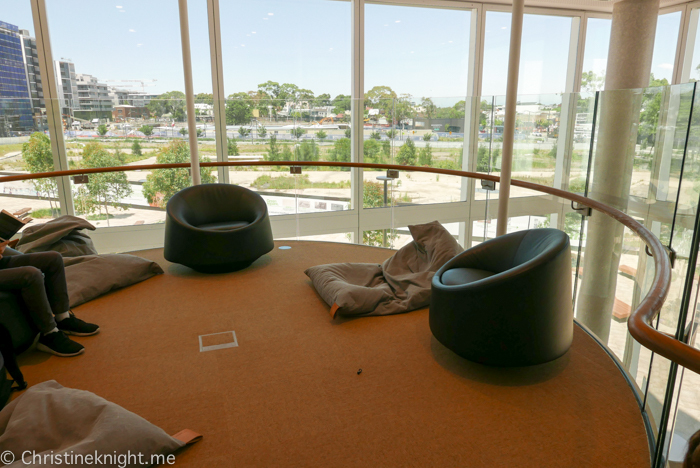 There is also an additional quiet reading level which is filled with bean bags to relax in. Books not your thing, but movies are? Borrow a GoChip Beam and enjoy hot movies and TV shows. Each small GoChip comes loaded with 5 movies or a TV series and can be wirelessly connected your device. 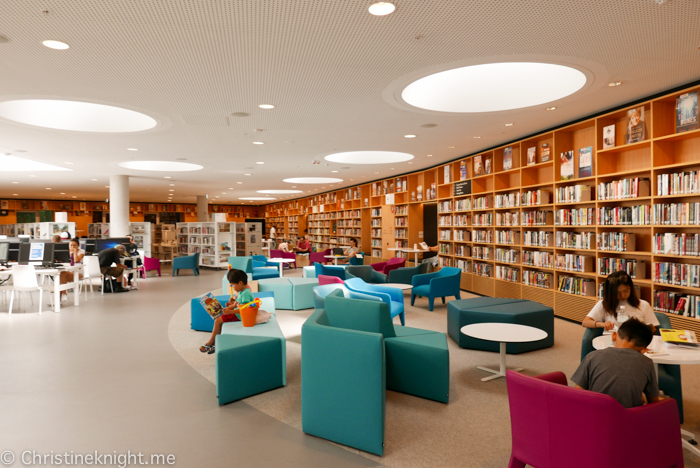 Connect to the library’s free wifi to enjoy your shows in the comfy air-conditioning. 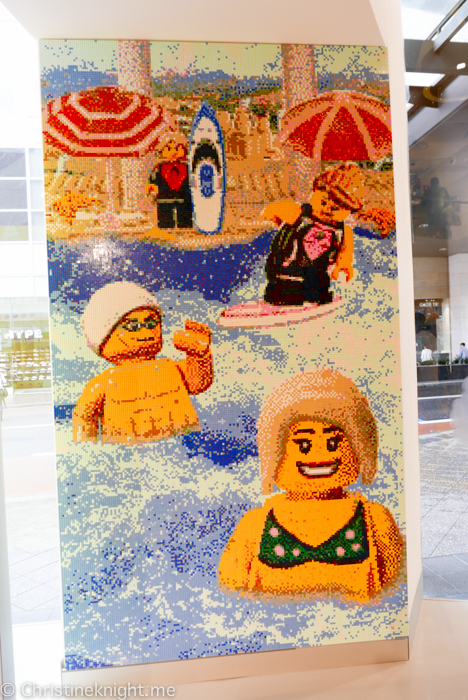 At the plaza level, a water play zone offers kids a place to run around and cool down in summer. We seeing loved the artwork Cloud Nation from both inside the library and at the plaza level. 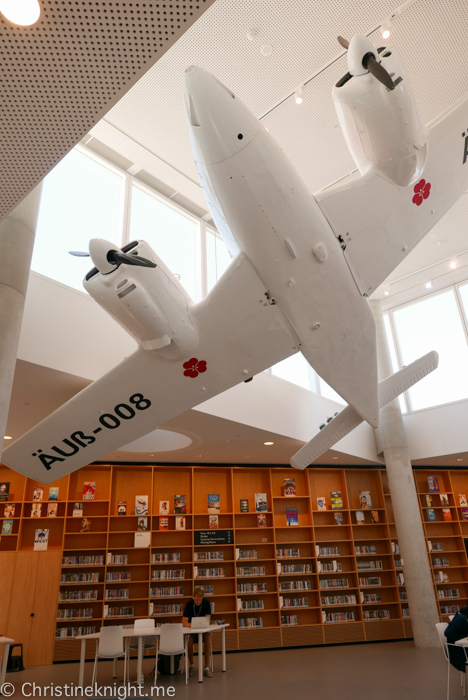 The artwork features a repurposed vintage aircraft which has been suspended from the library’s ceiling. 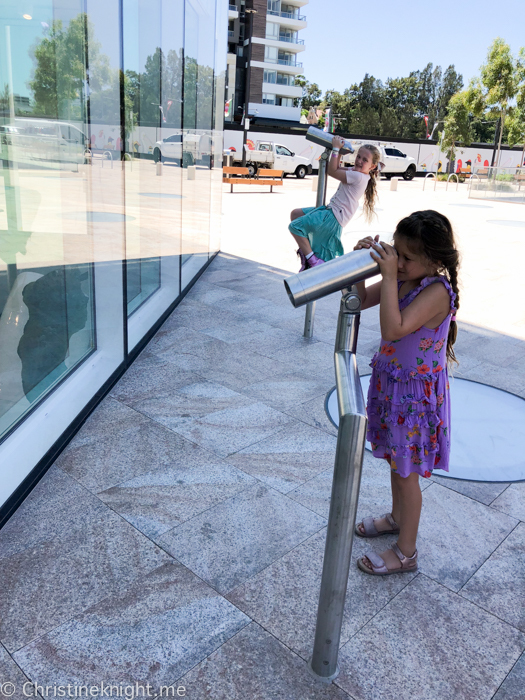 The wings of the plane have been outfitted with the most incredible miniature lands that visitors can inspect using the monoculars outside in the plaza. 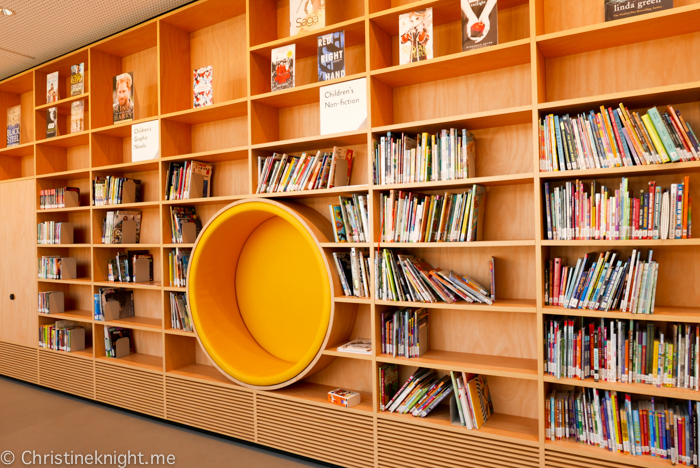 If you live in NSW you can join the library for free. The library is currently best accessed by train – it is right near the Green Square train station. If driving, be aware there is currently only limited 2 hour ticketed parking available.